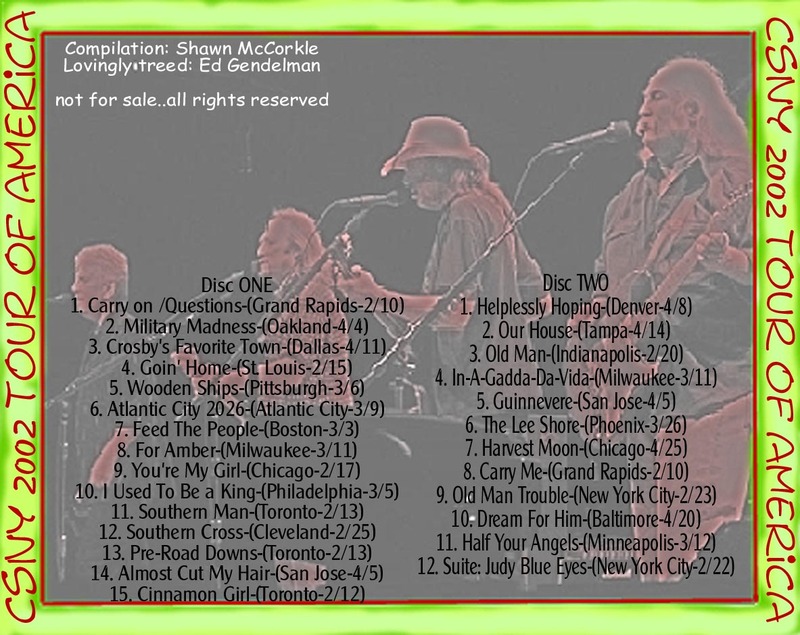 A short set from the ill fated festival. 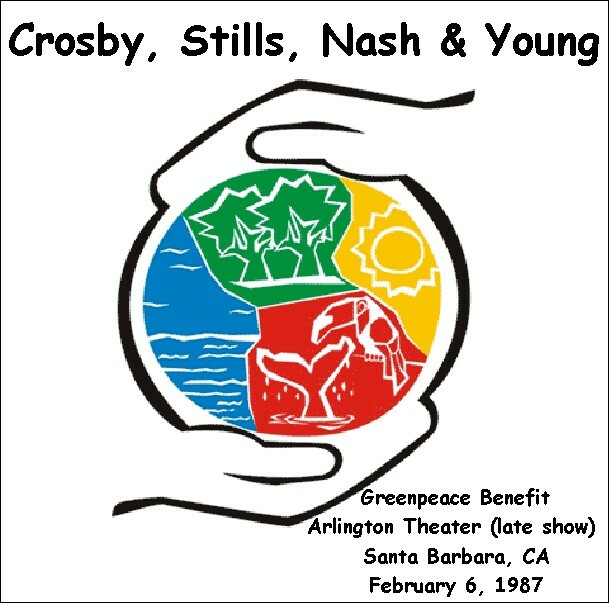 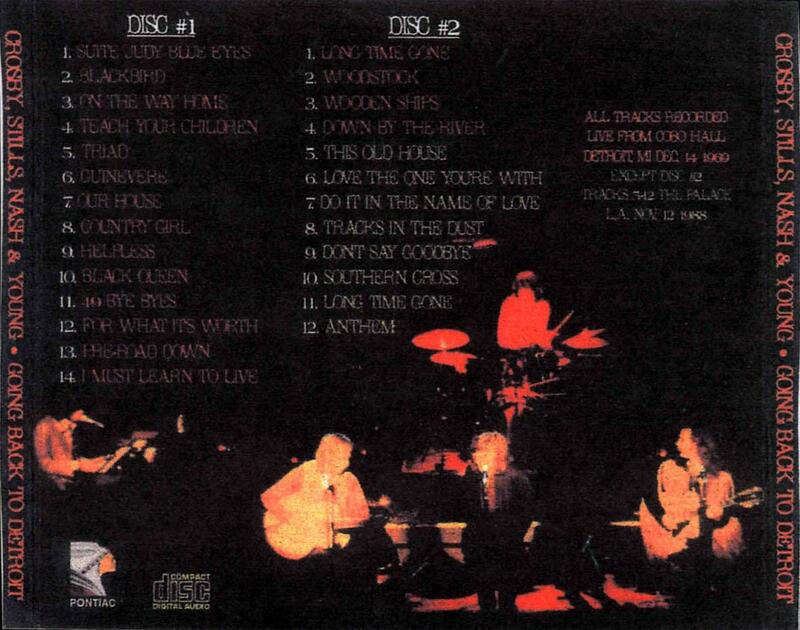 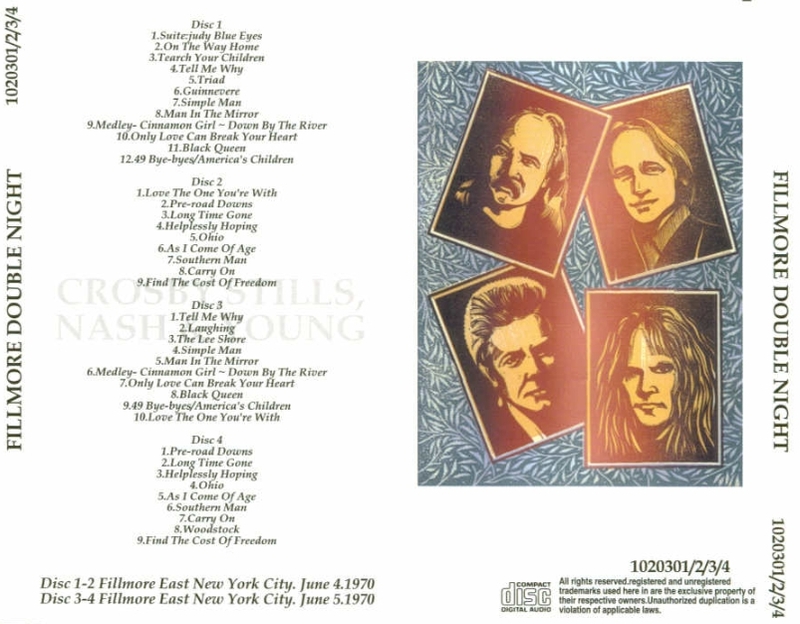 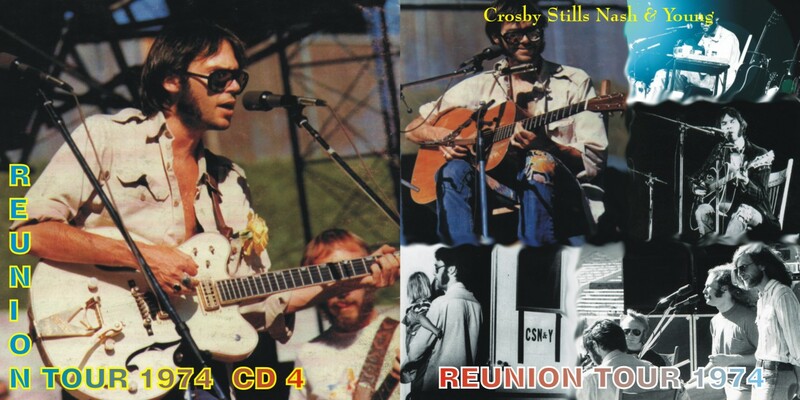 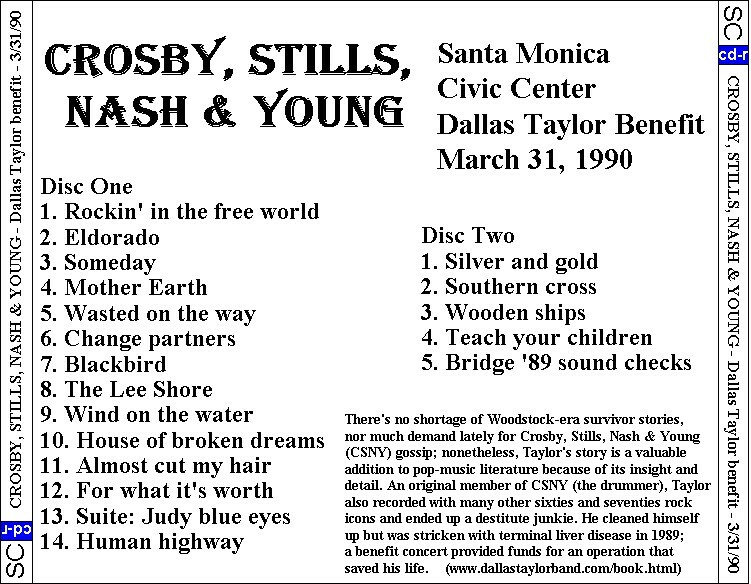 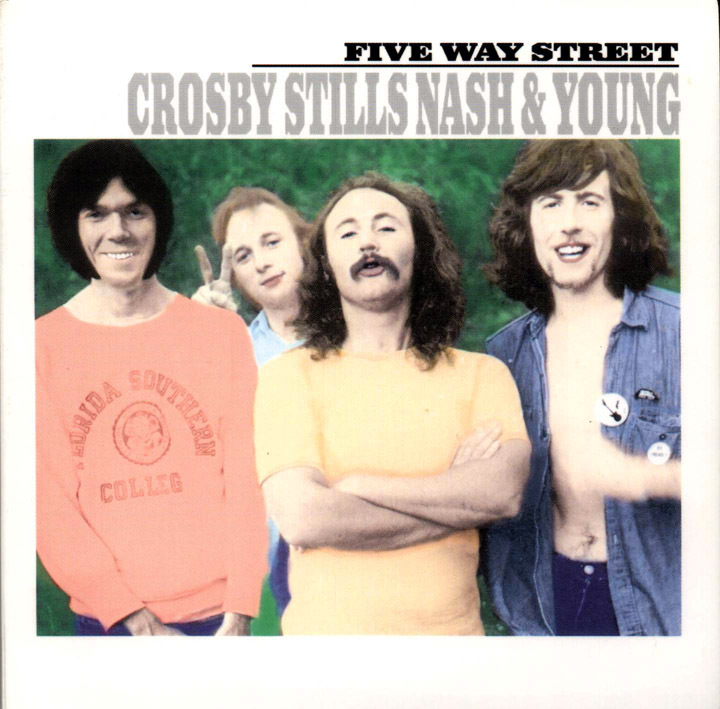 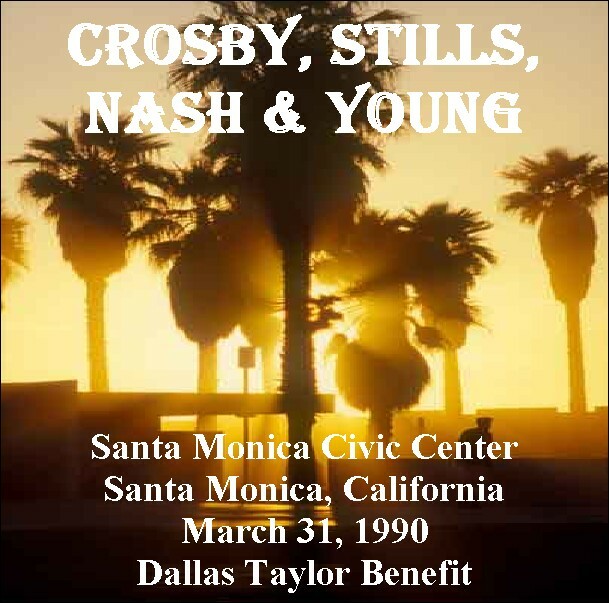 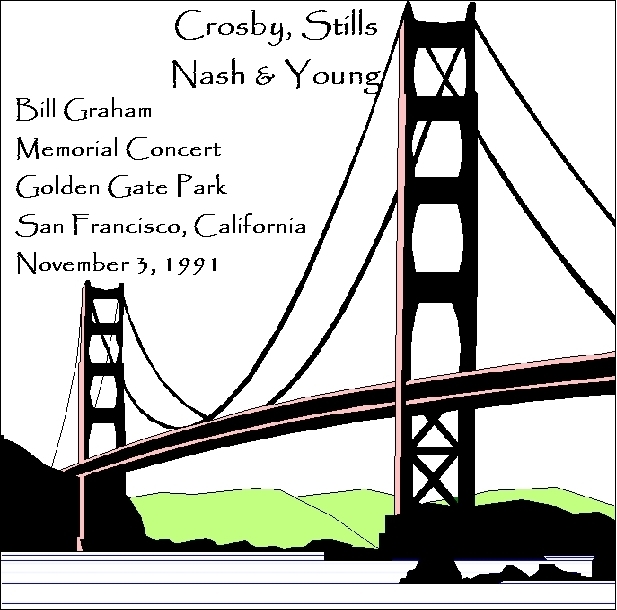 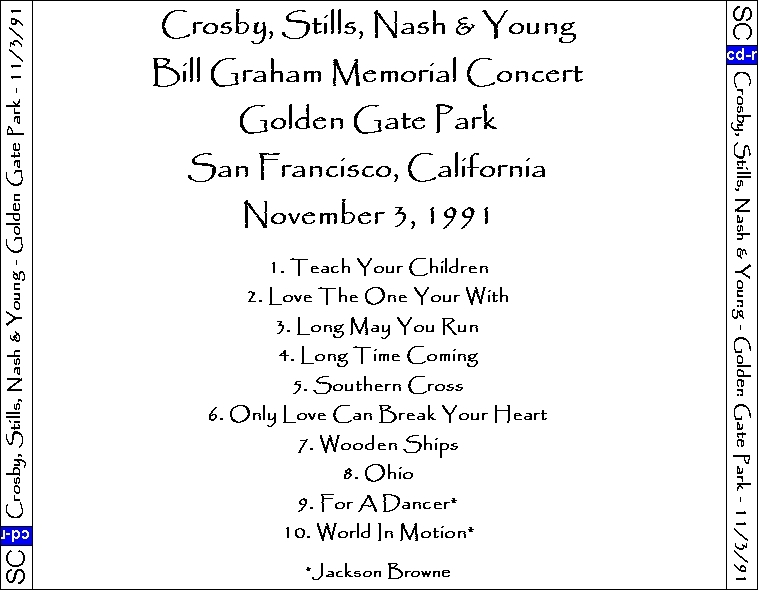 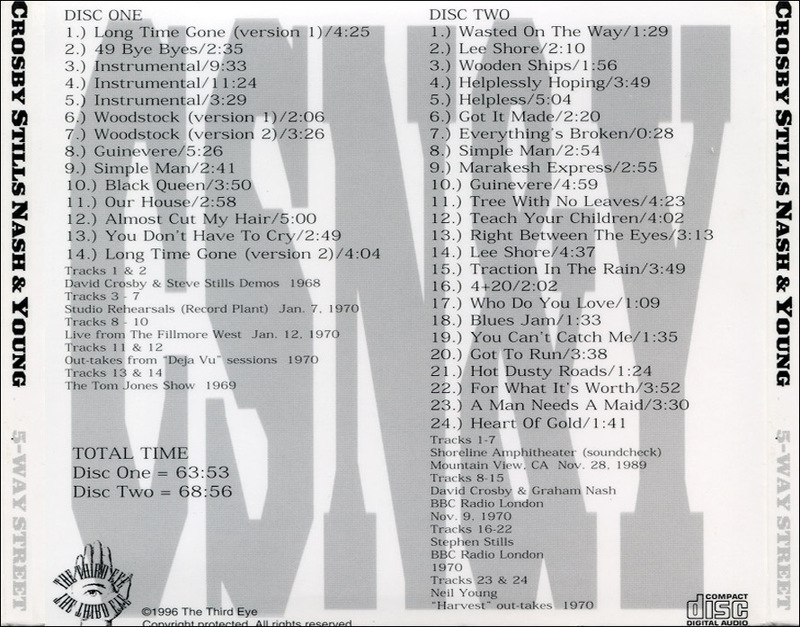 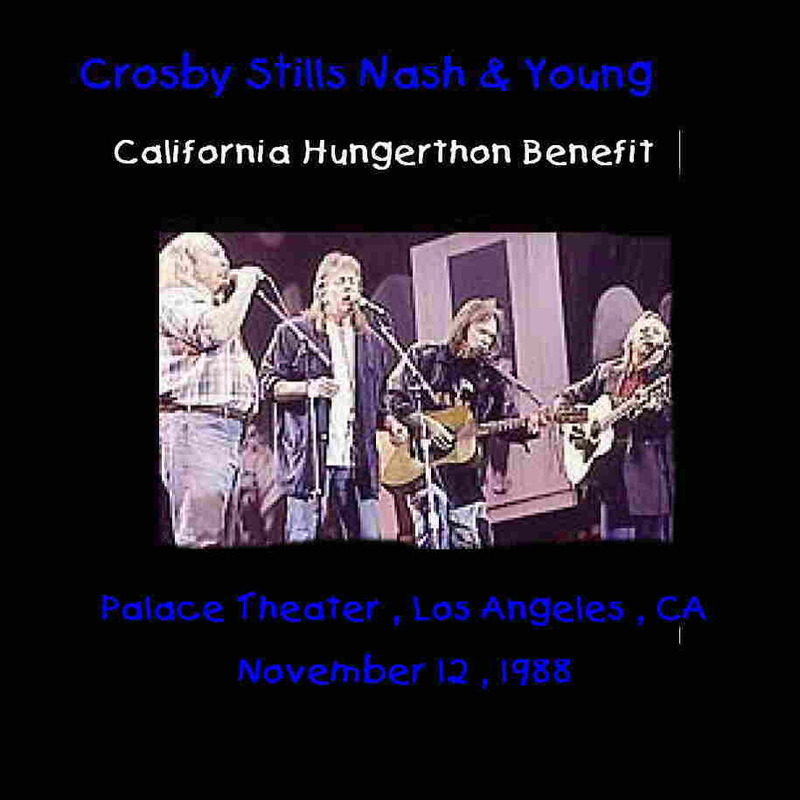 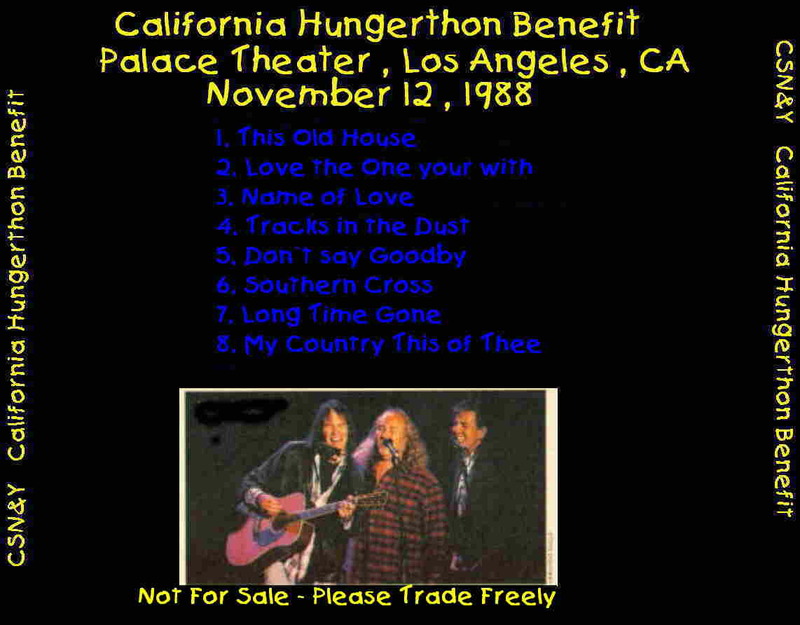 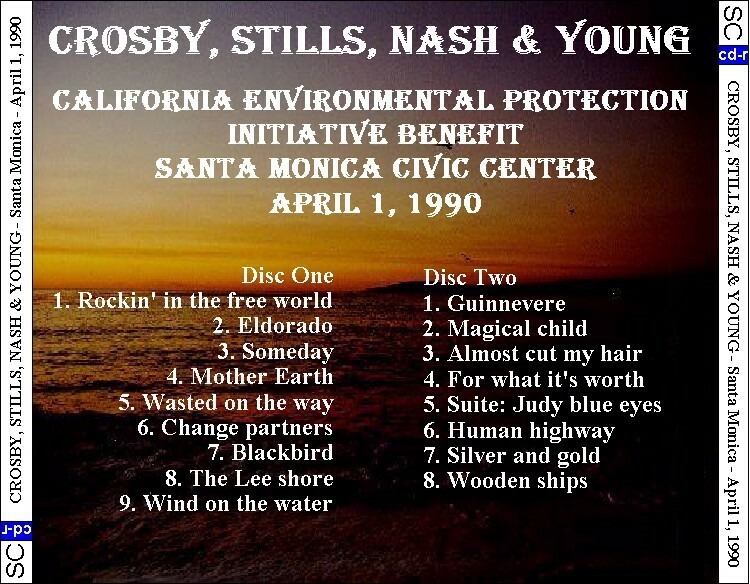 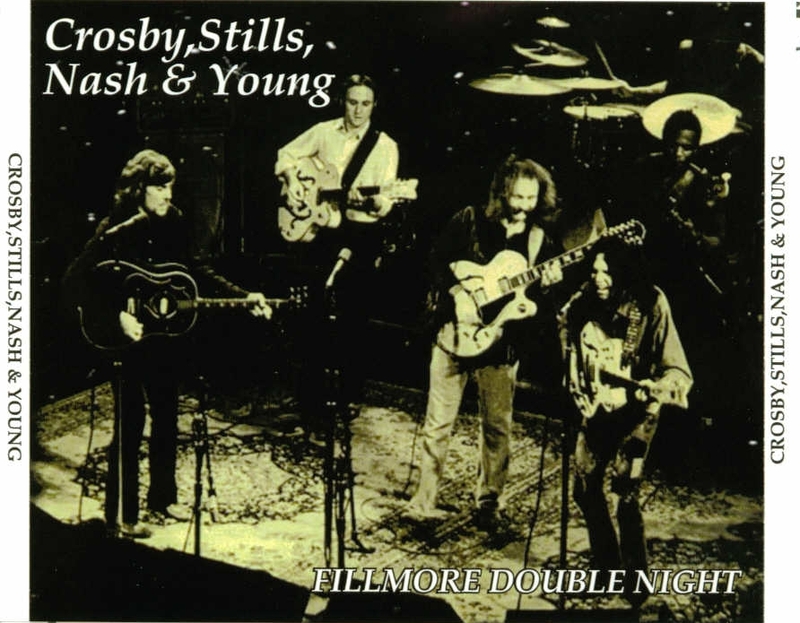 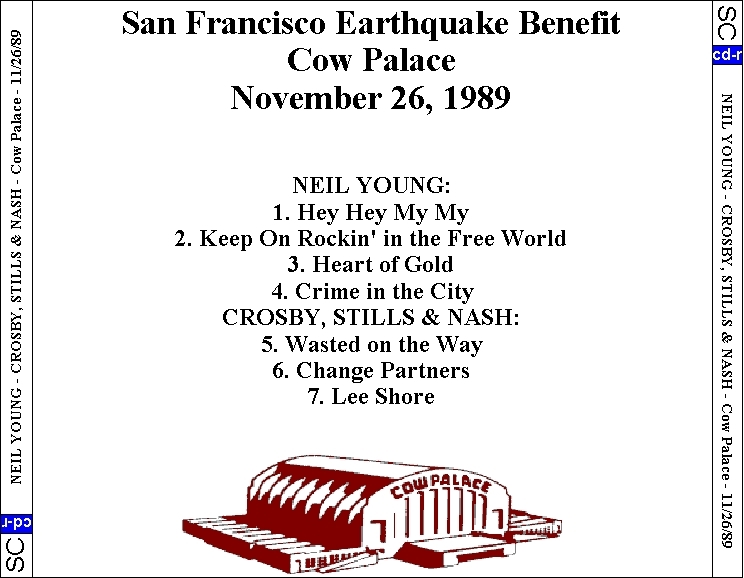 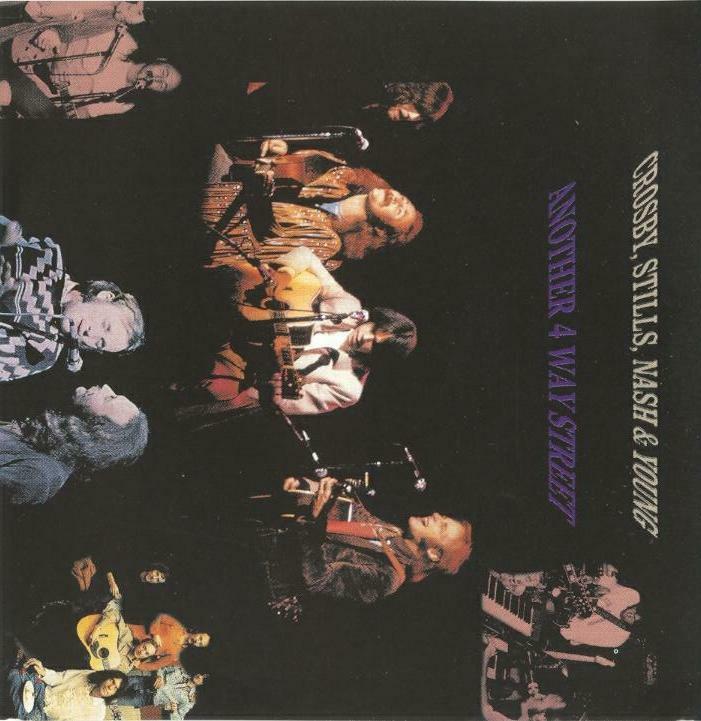 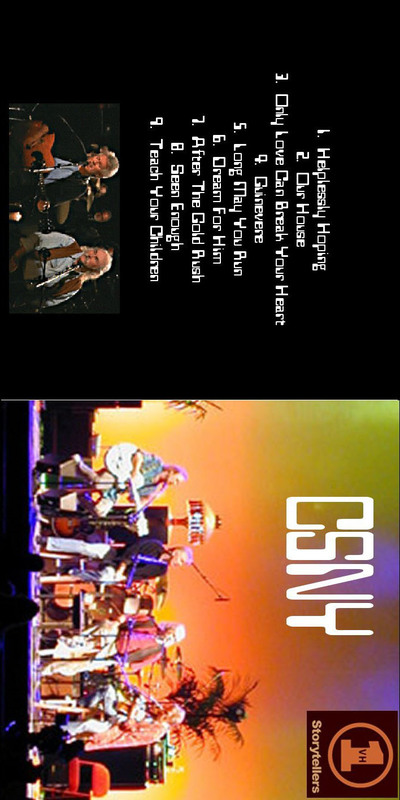 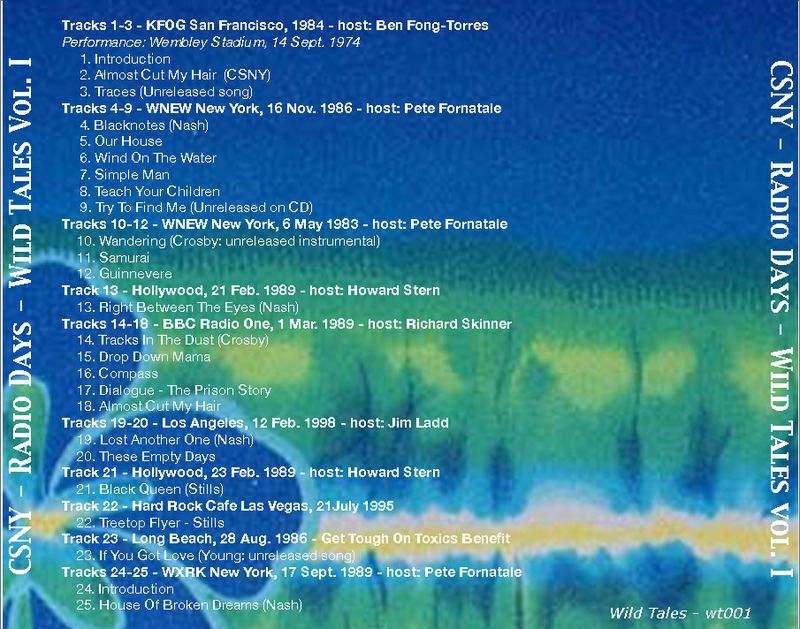 With filler from a November 1988 CSNY show. 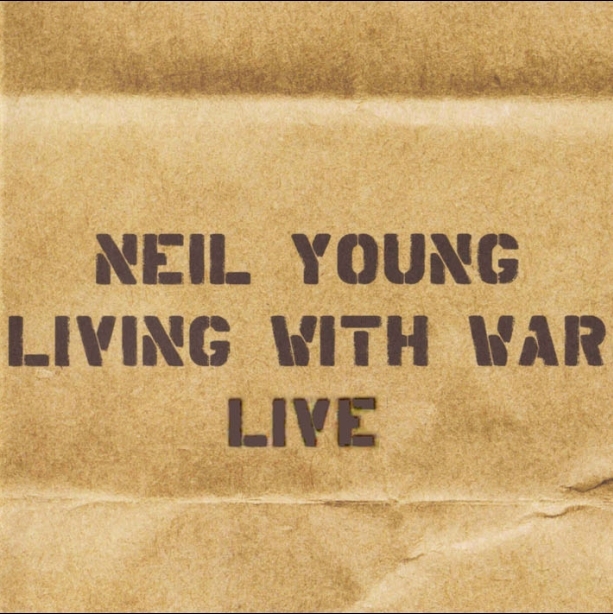 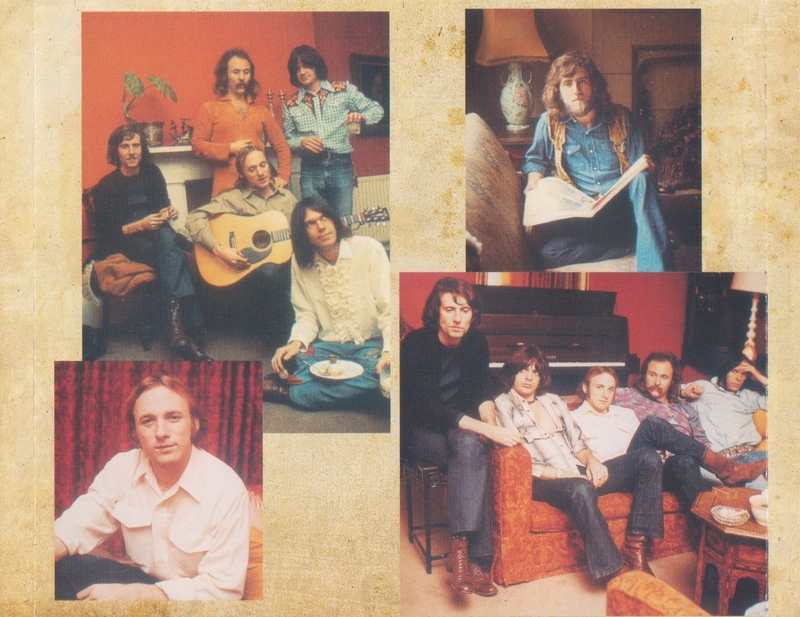 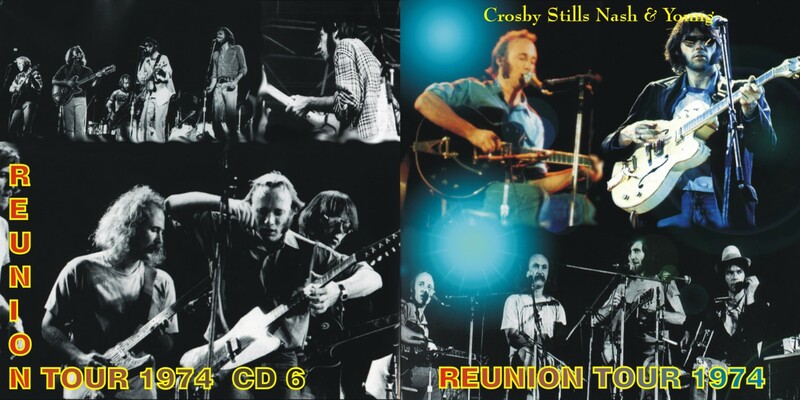 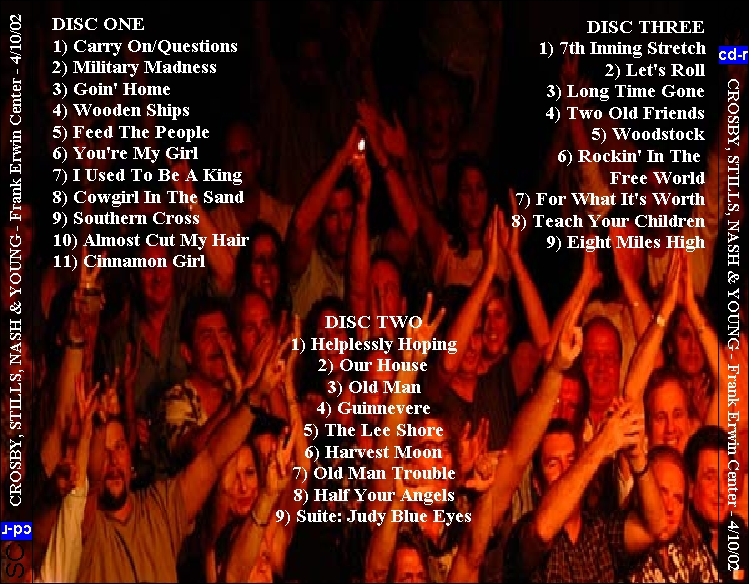 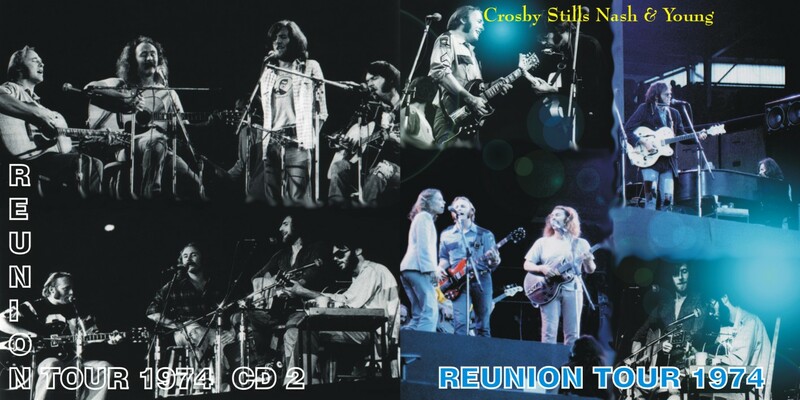 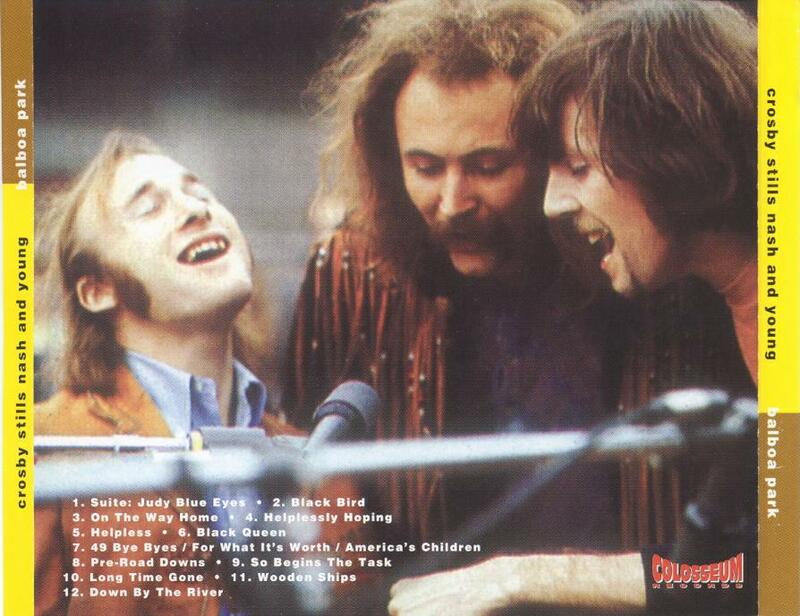 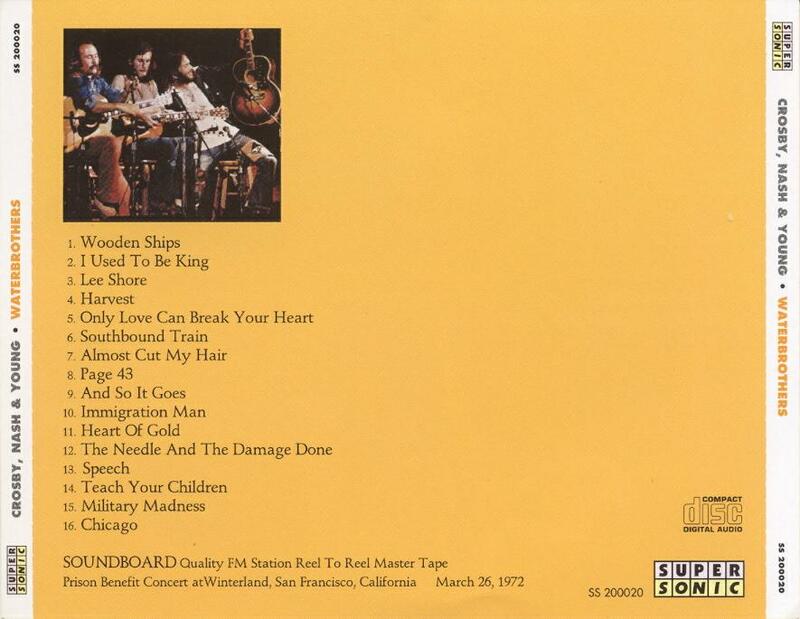 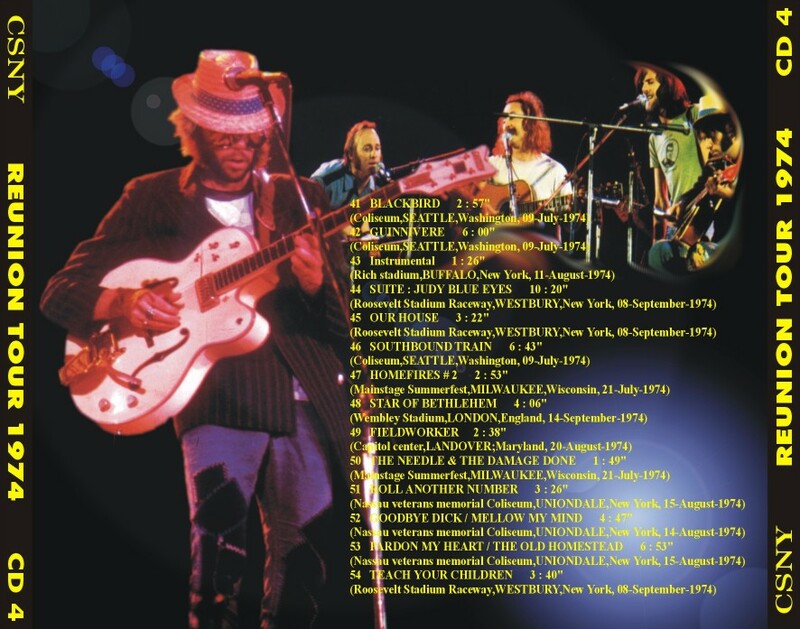 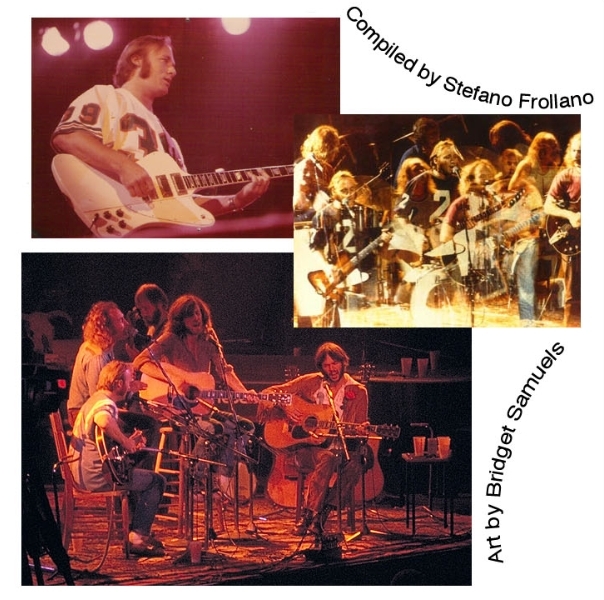 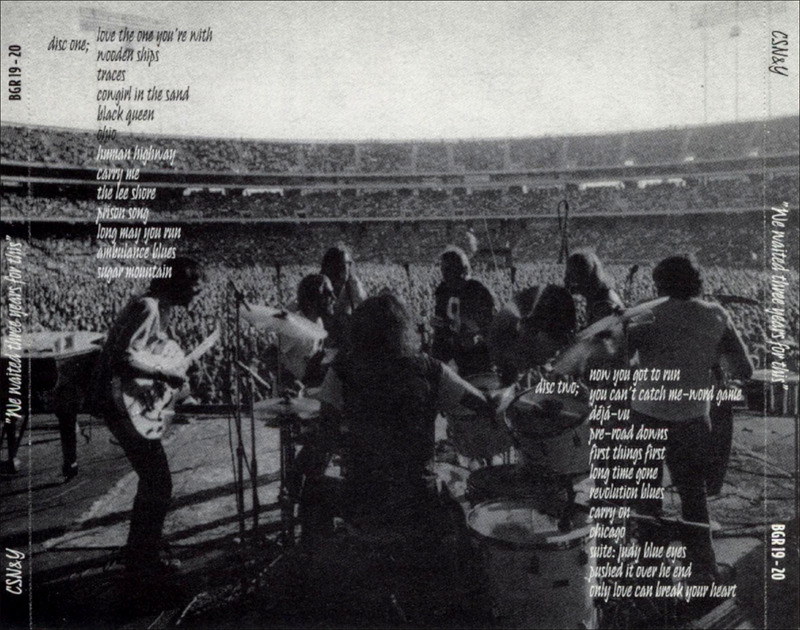 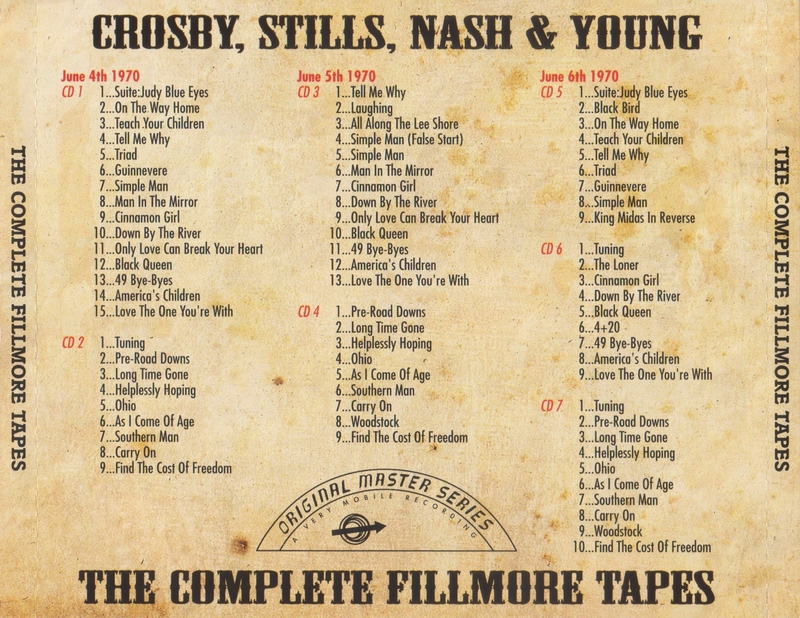 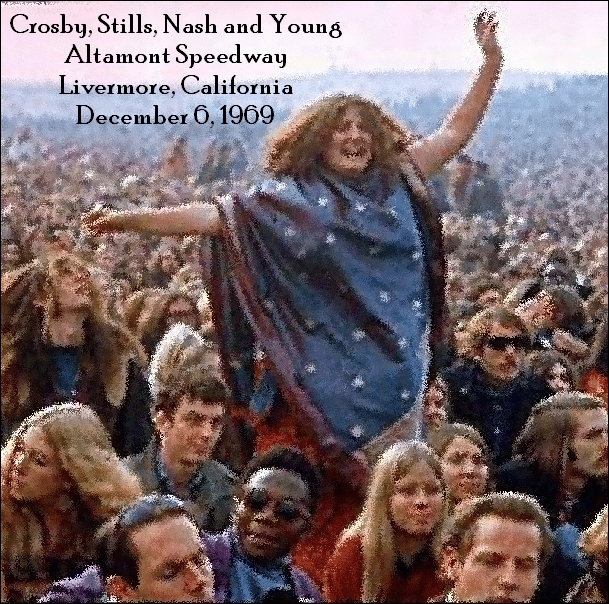 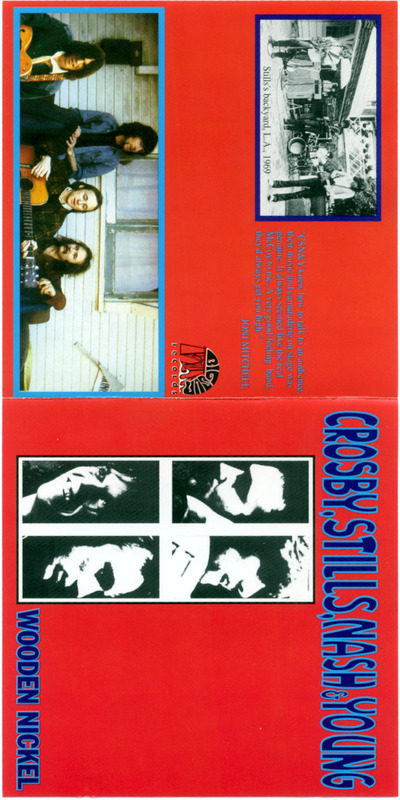 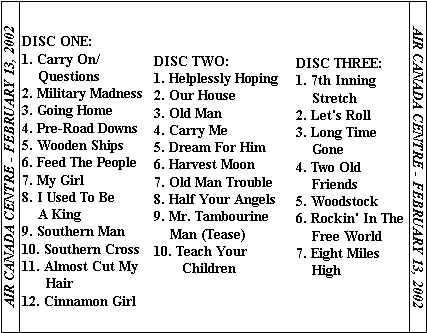 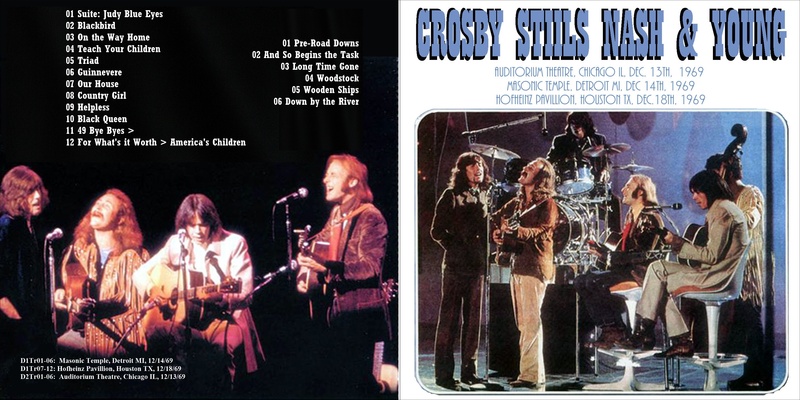 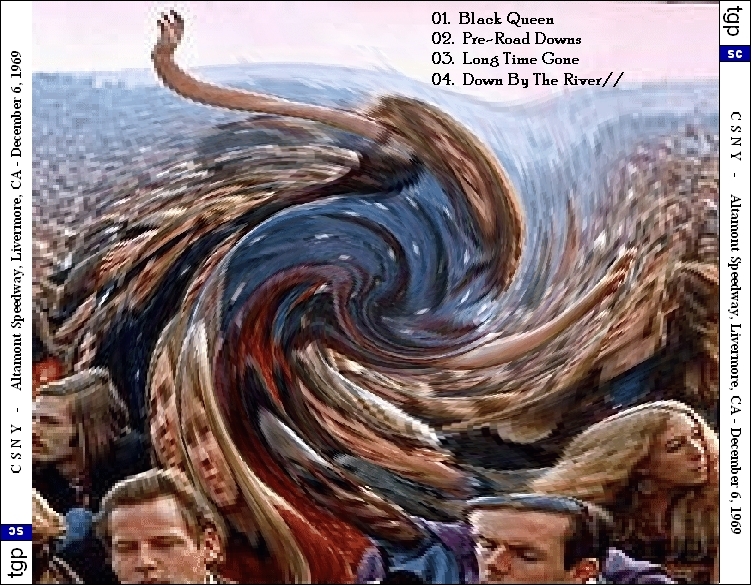 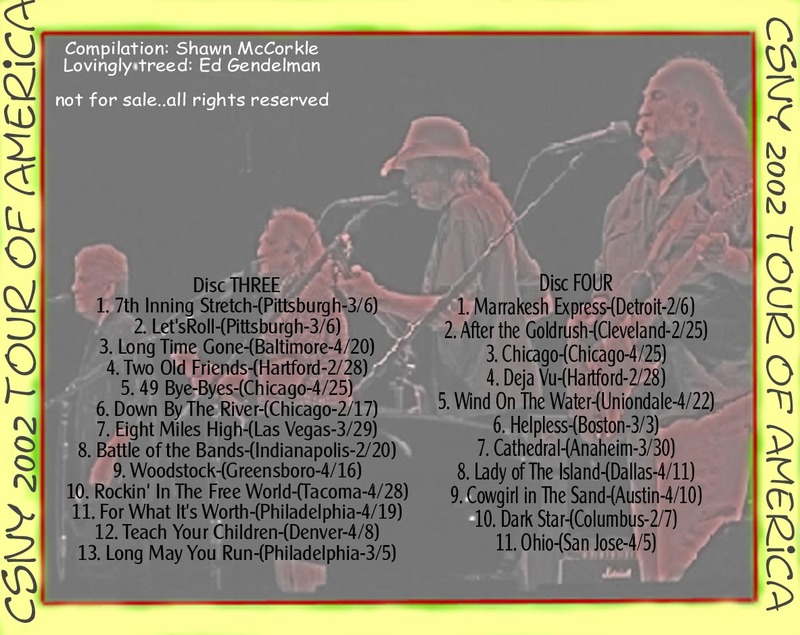 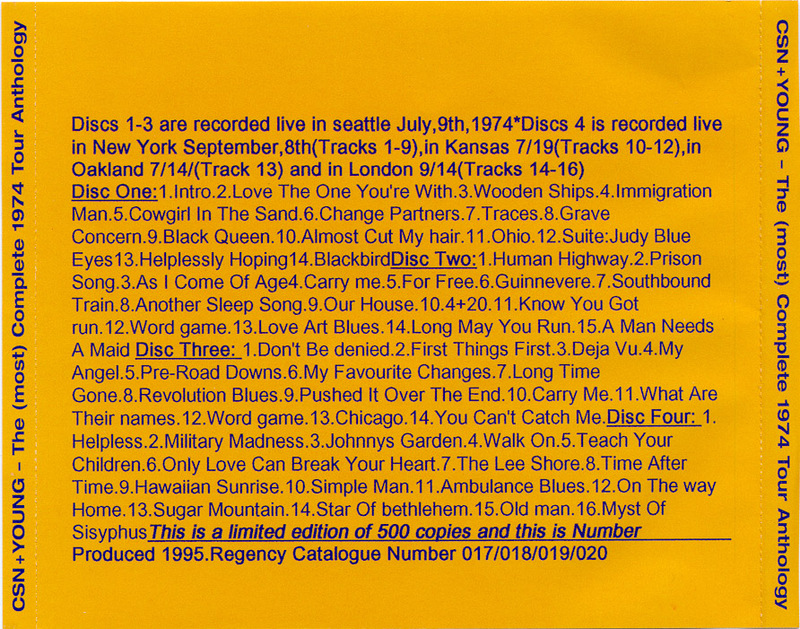 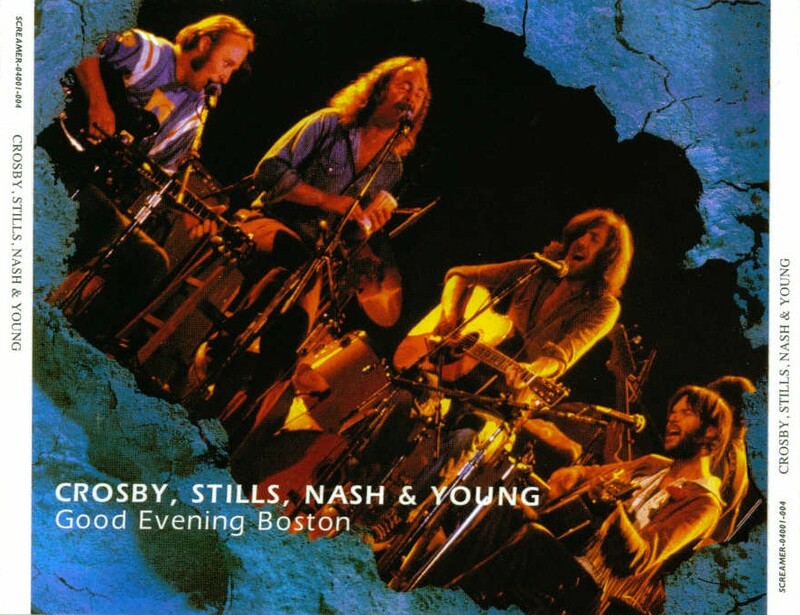 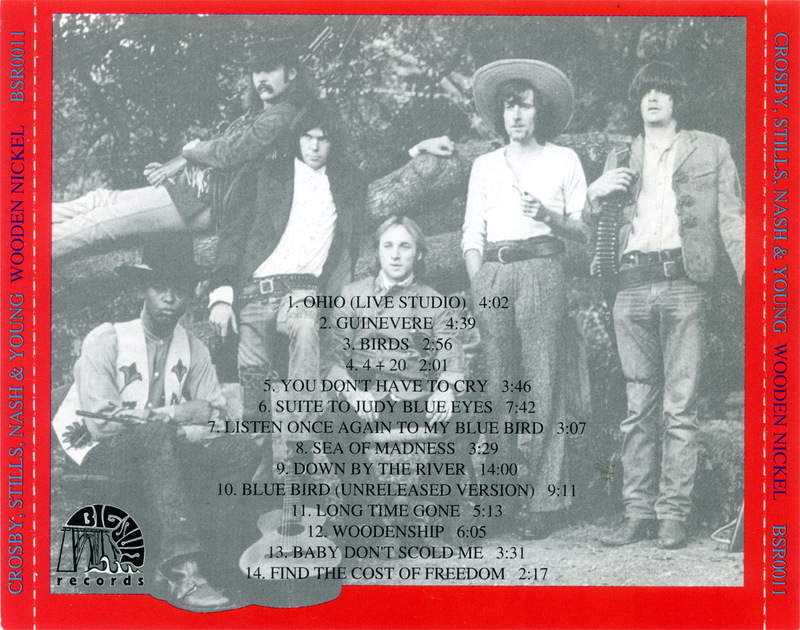 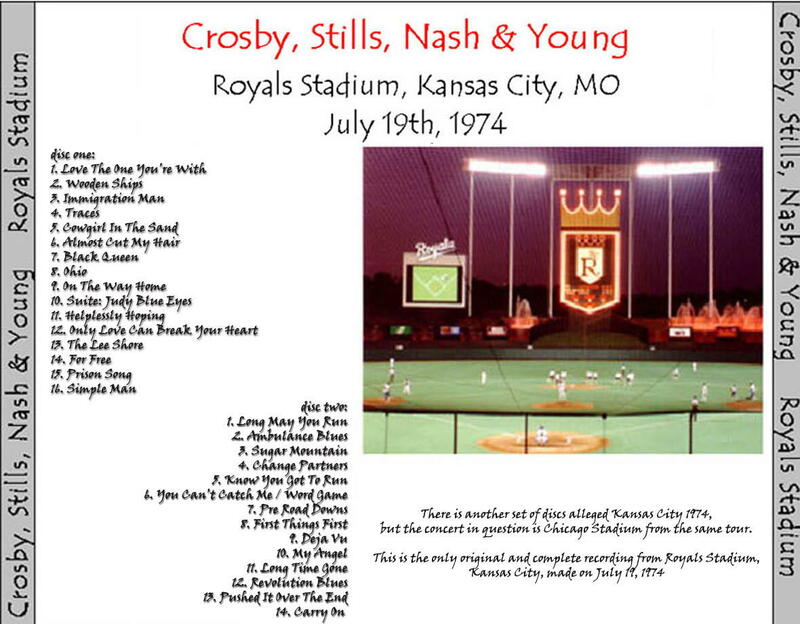 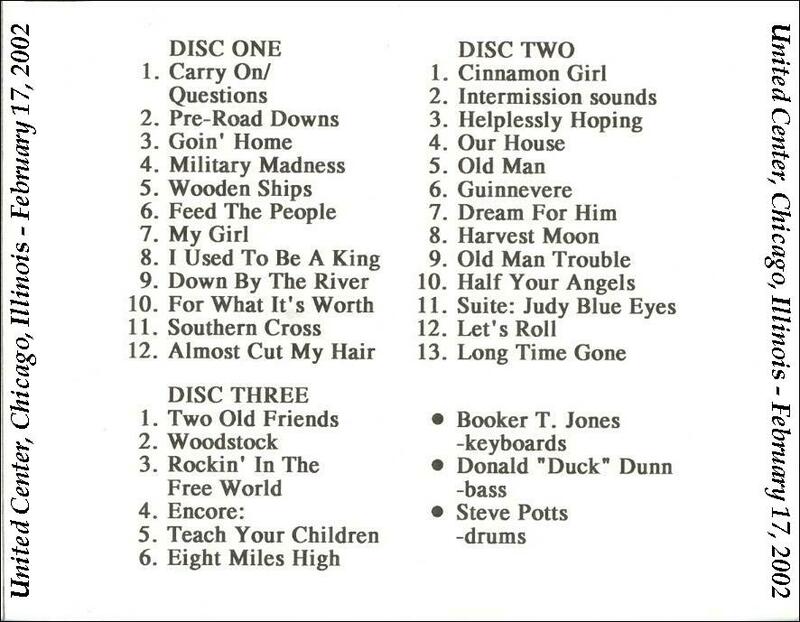 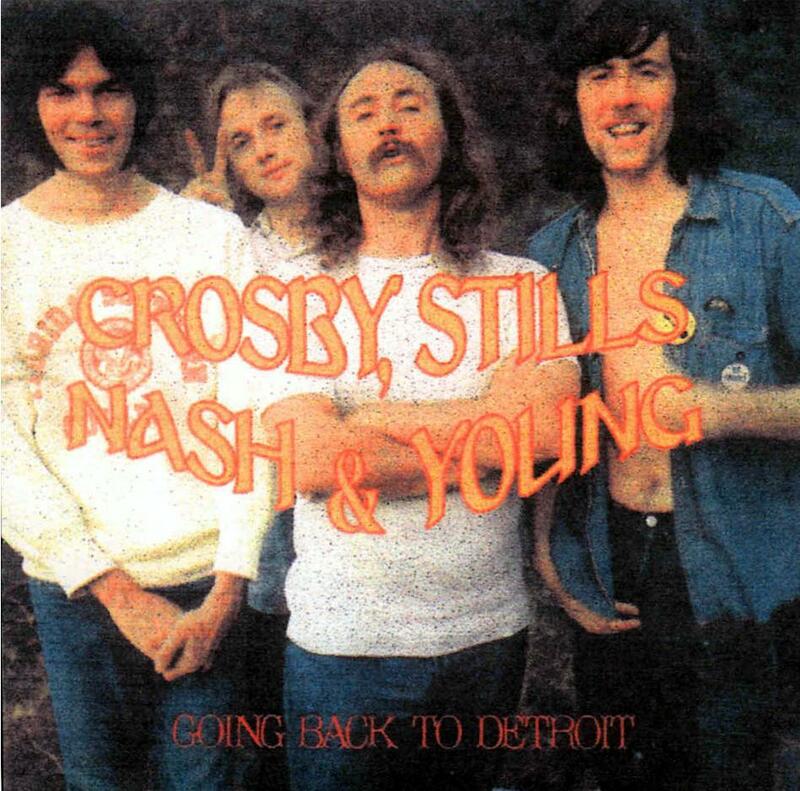 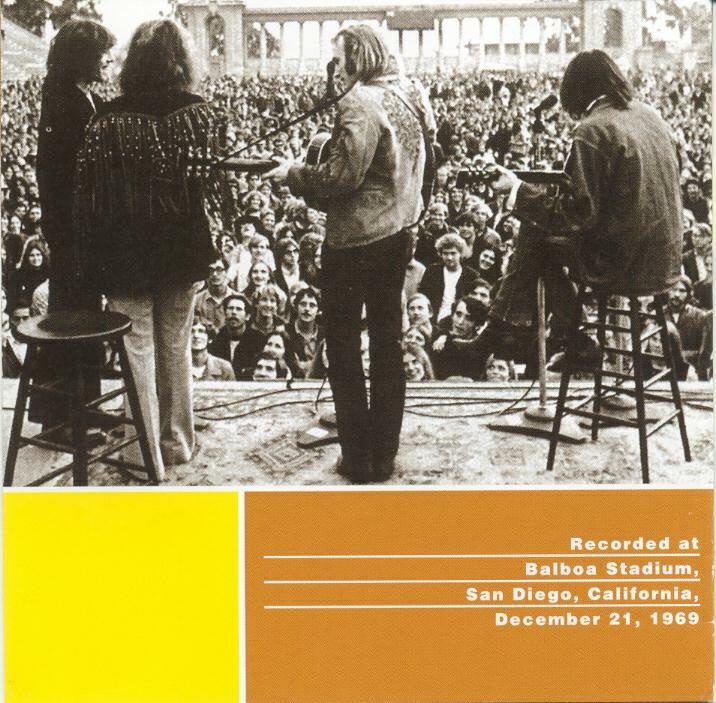 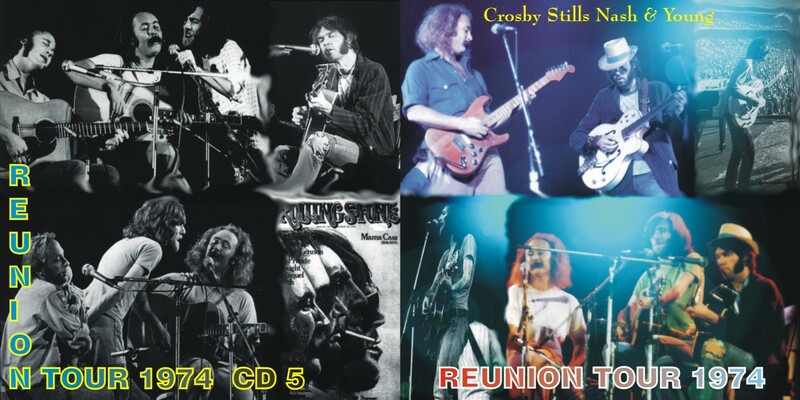 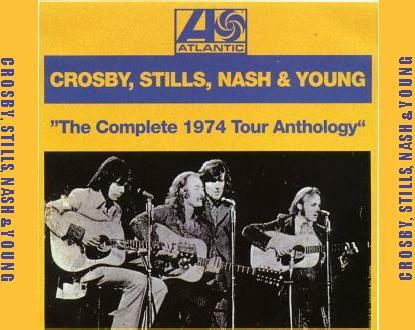 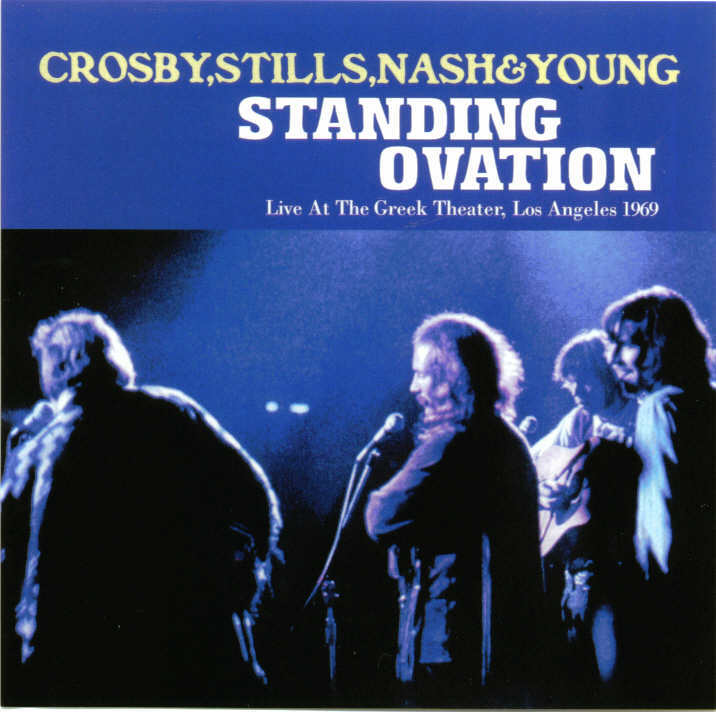 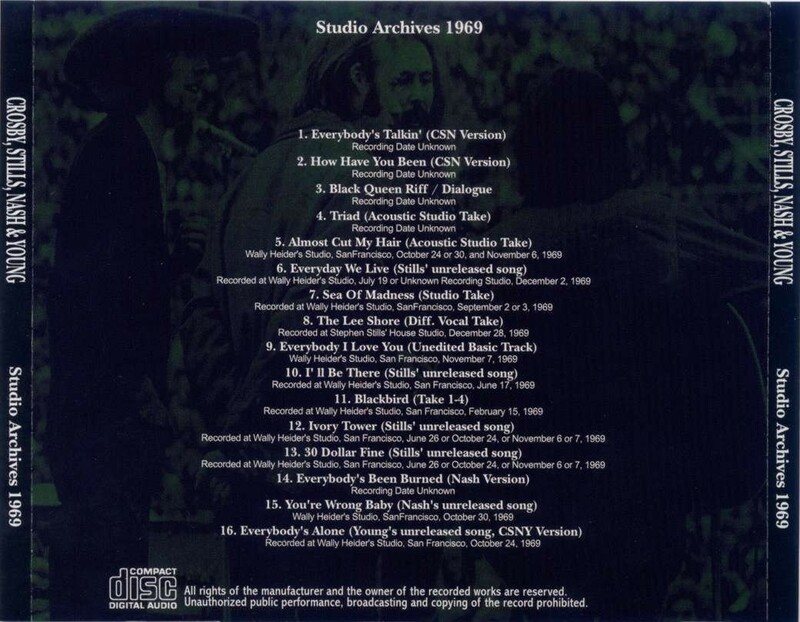 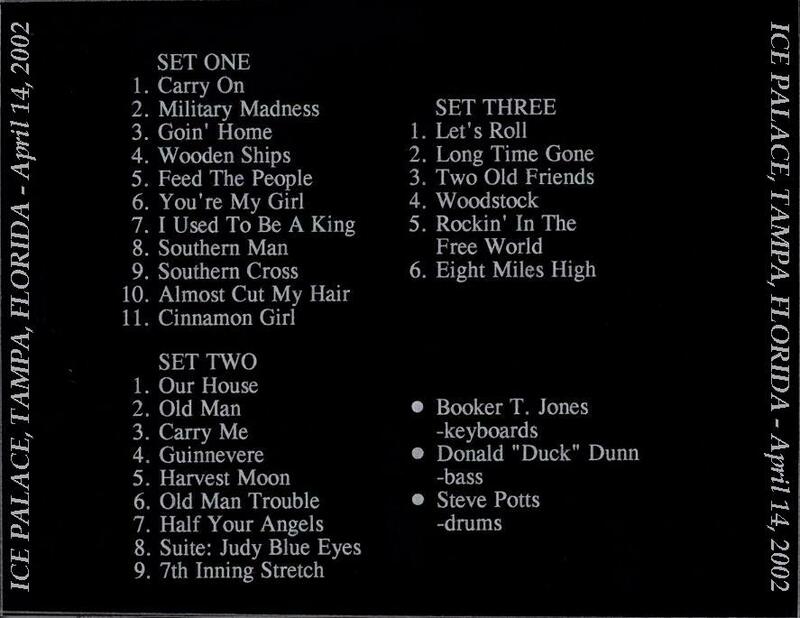 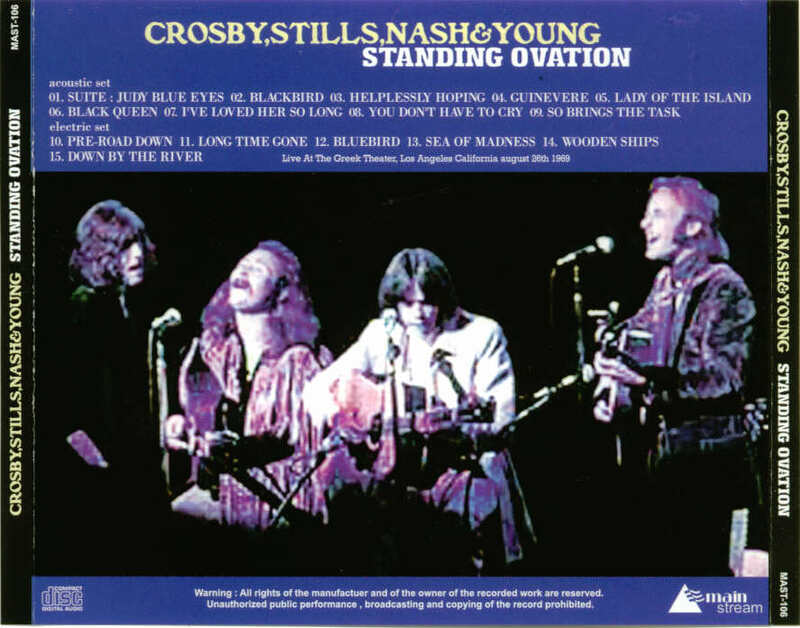 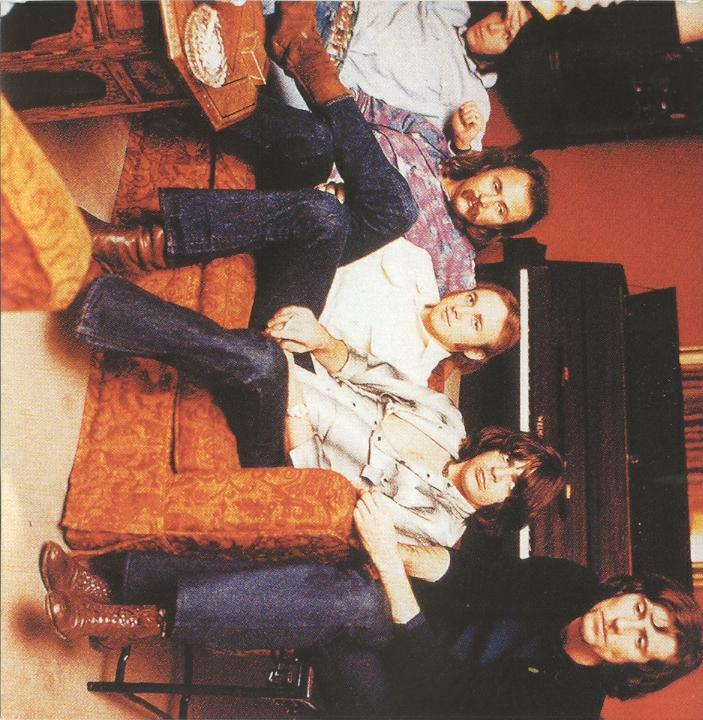 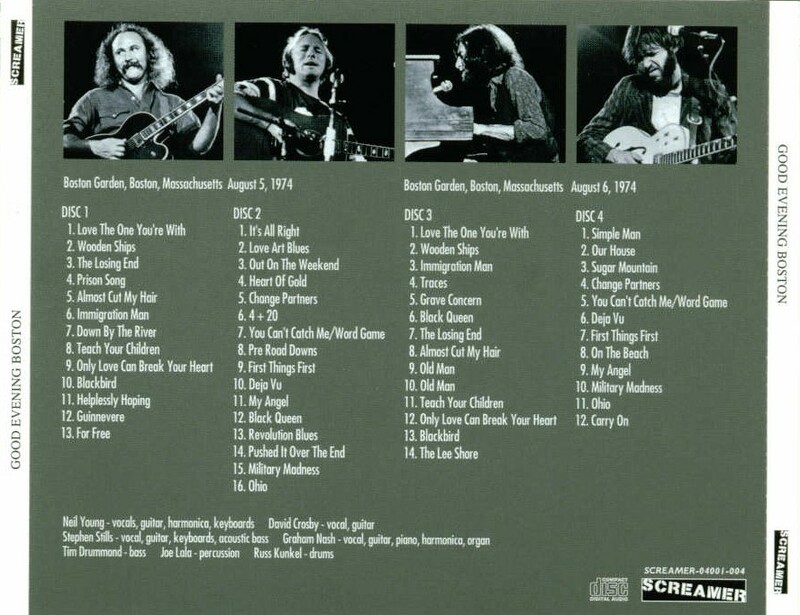 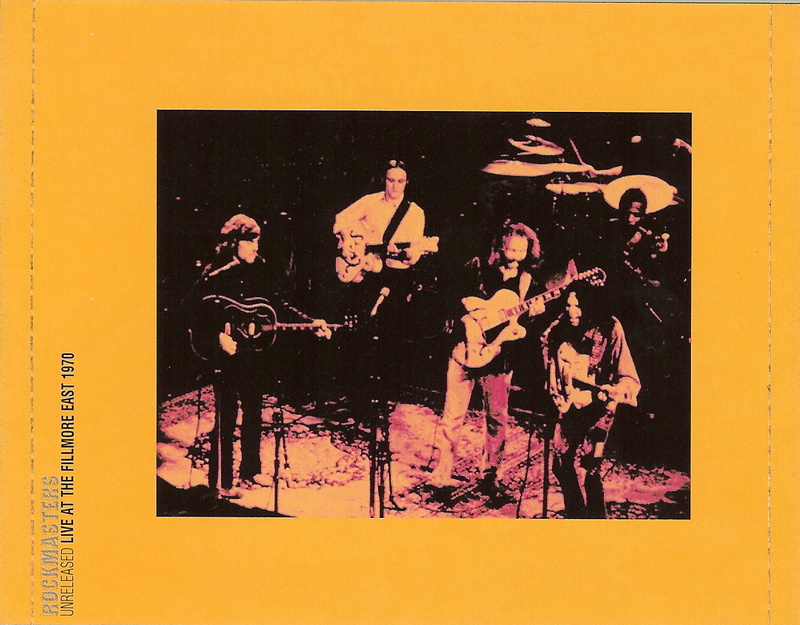 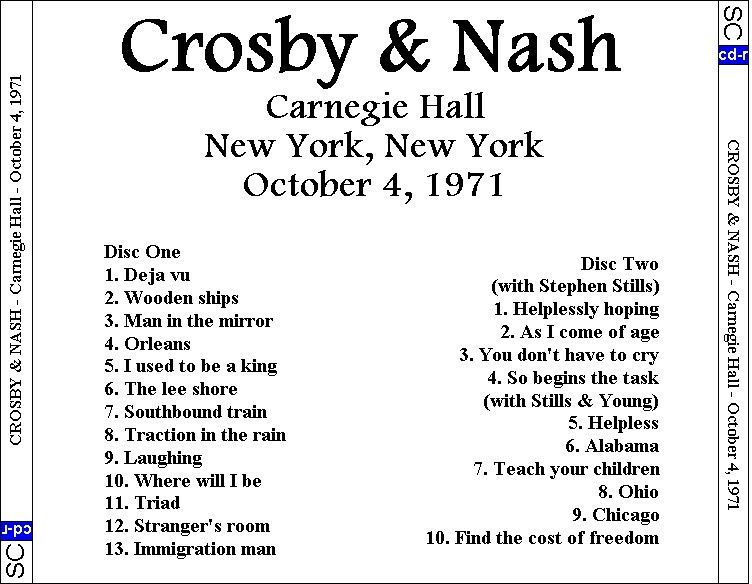 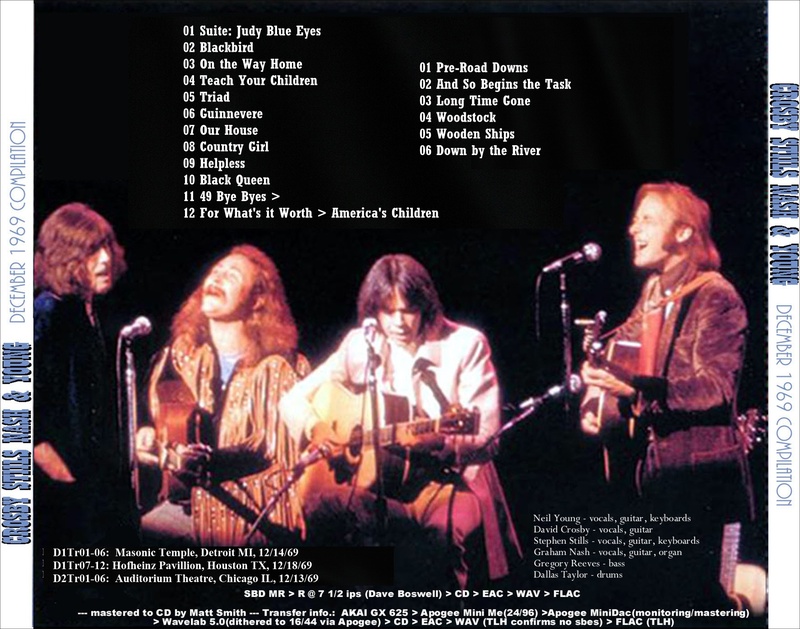 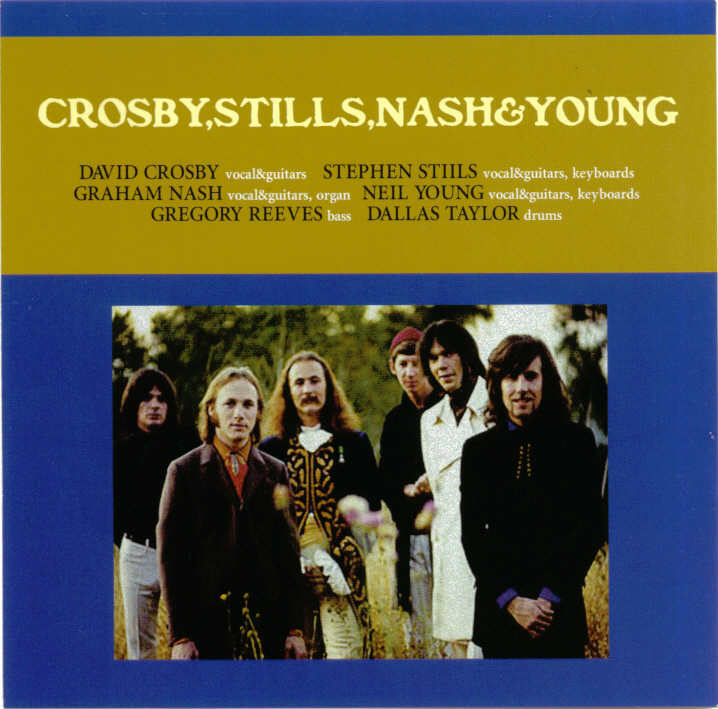 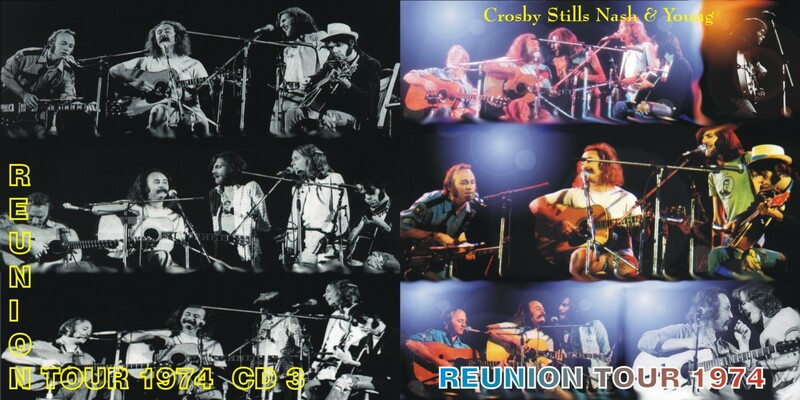 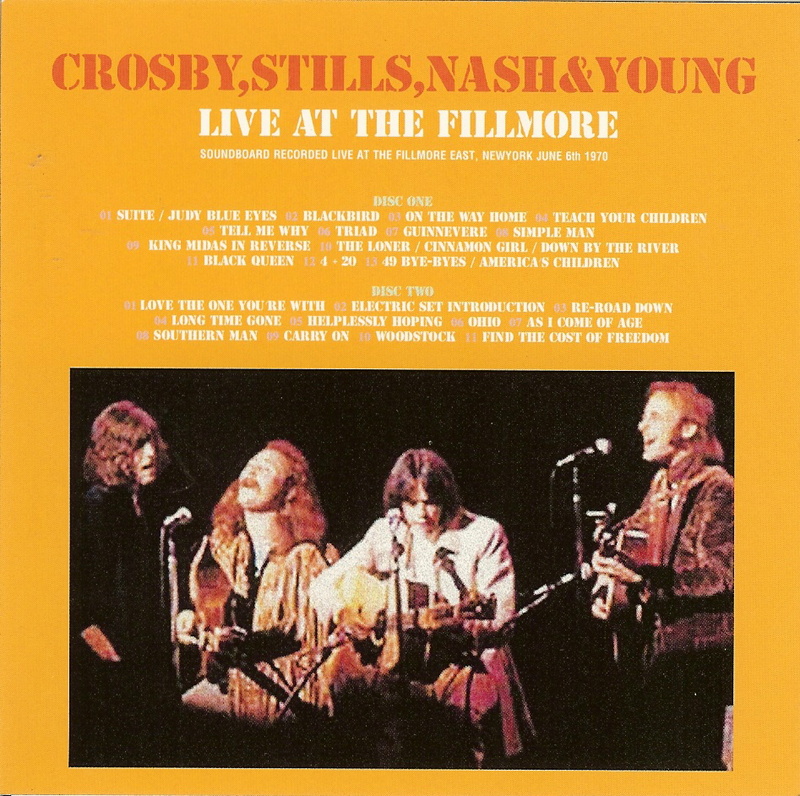 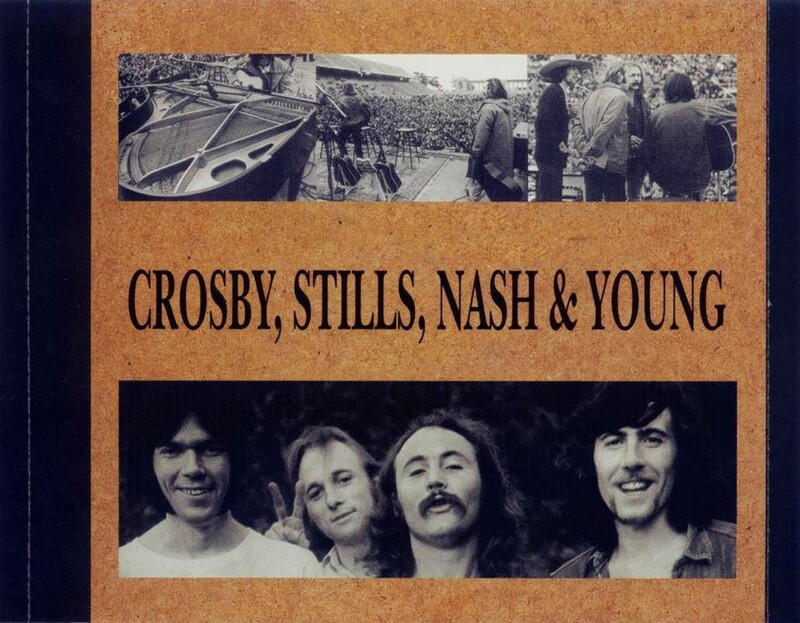 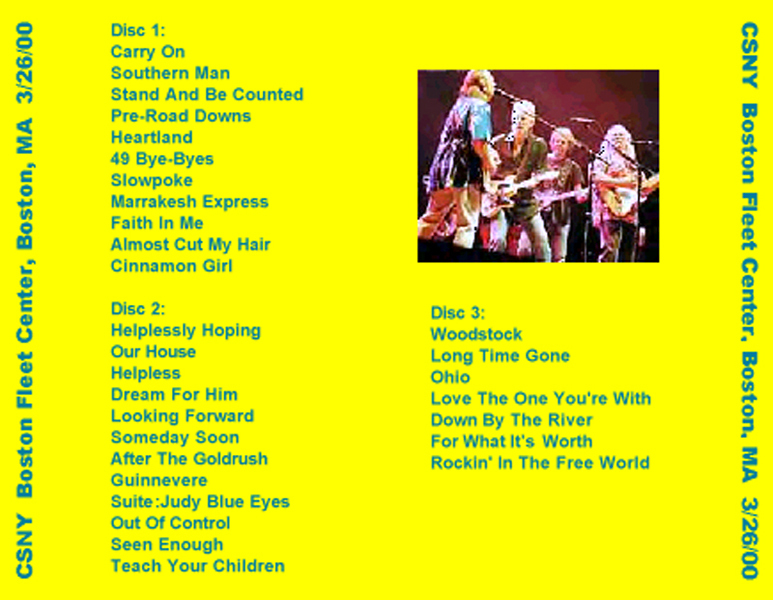 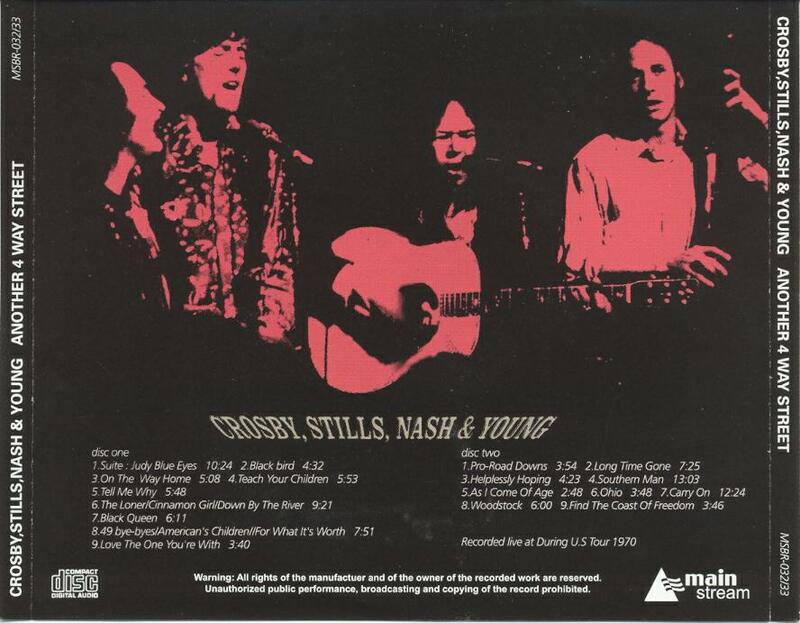 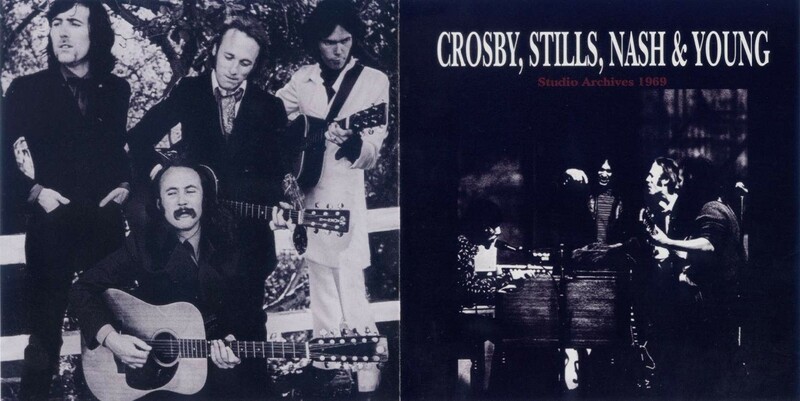 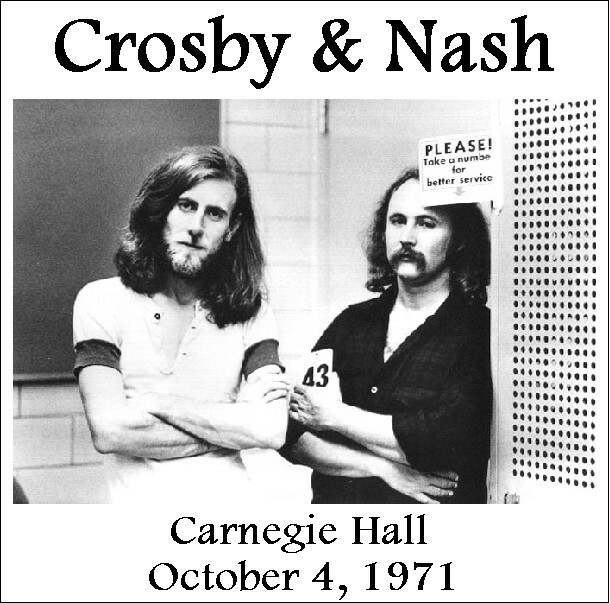 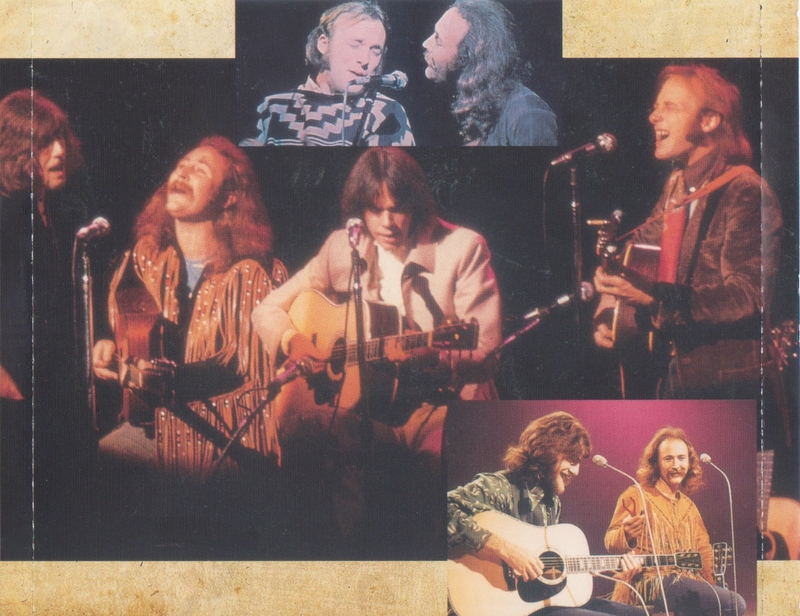 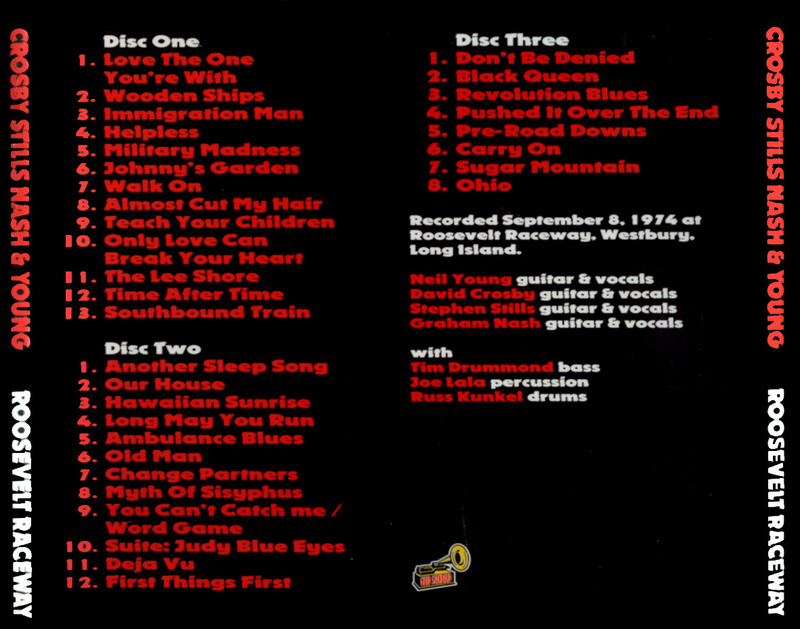 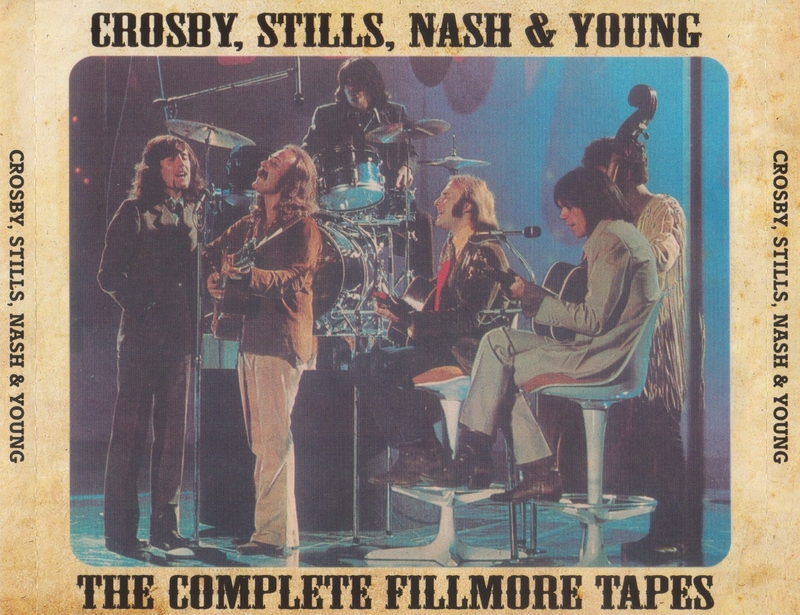 Venue & dates unknown - cover says "Recorded live during U.S. tour 1970"
Note: Disc 2 tracks 1-4 with "guest" Stills. 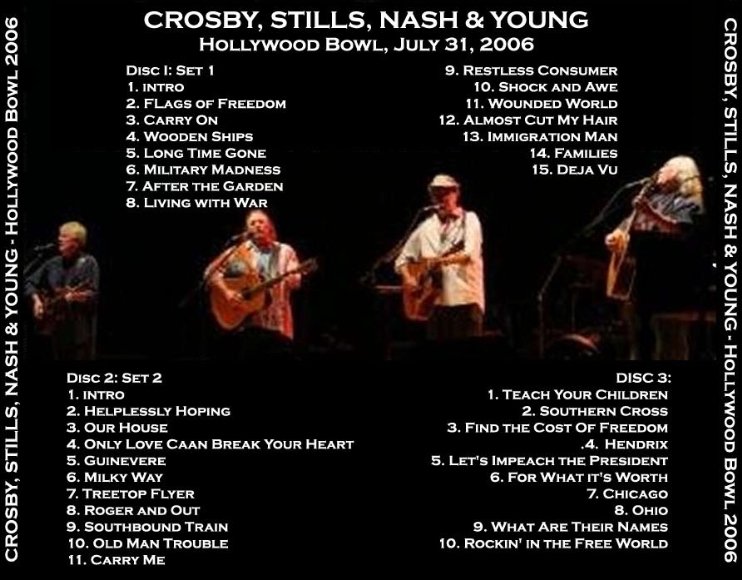 Tracks 5-10 Neil joins in! 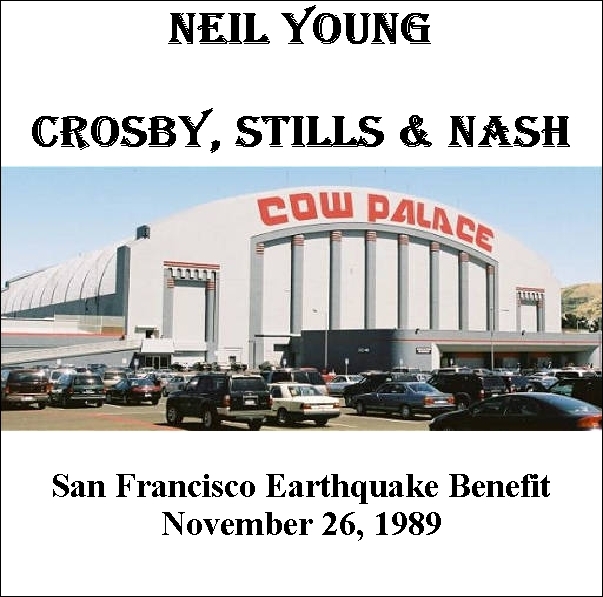 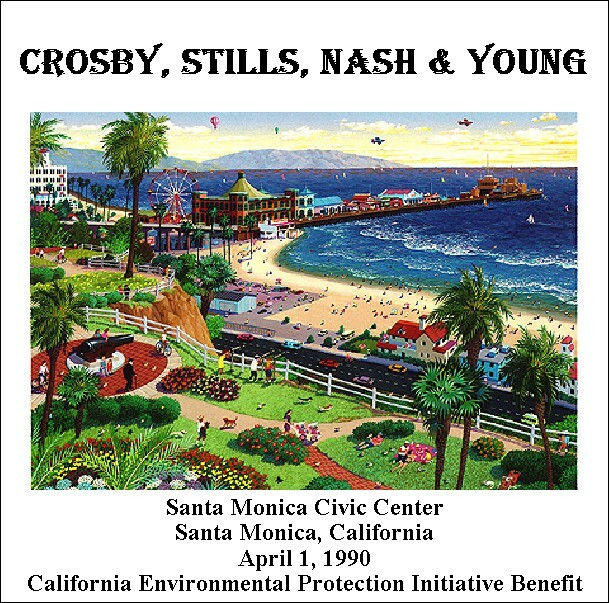 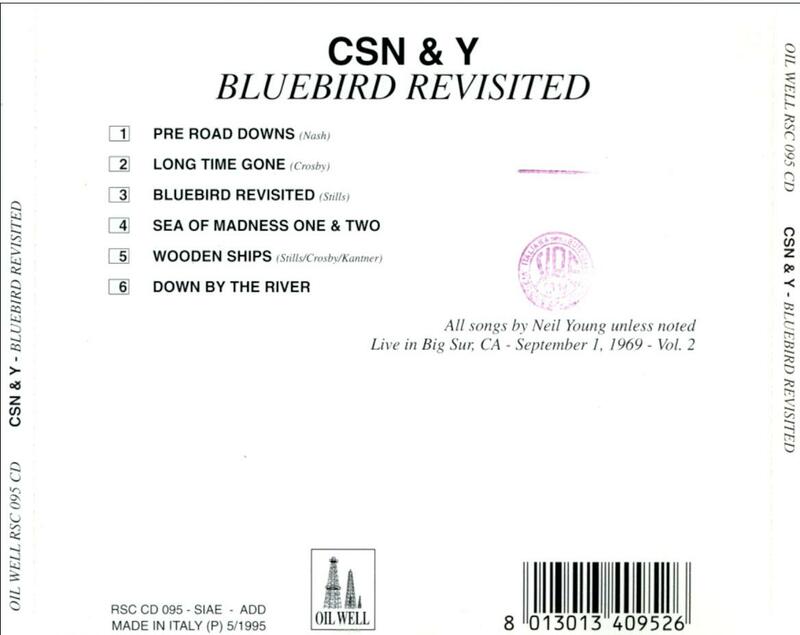 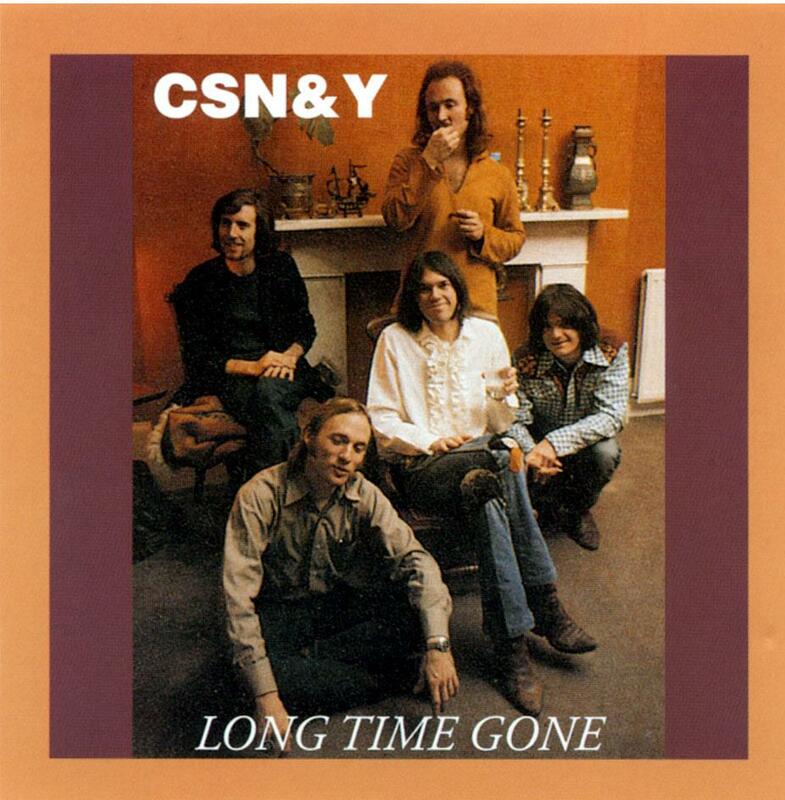 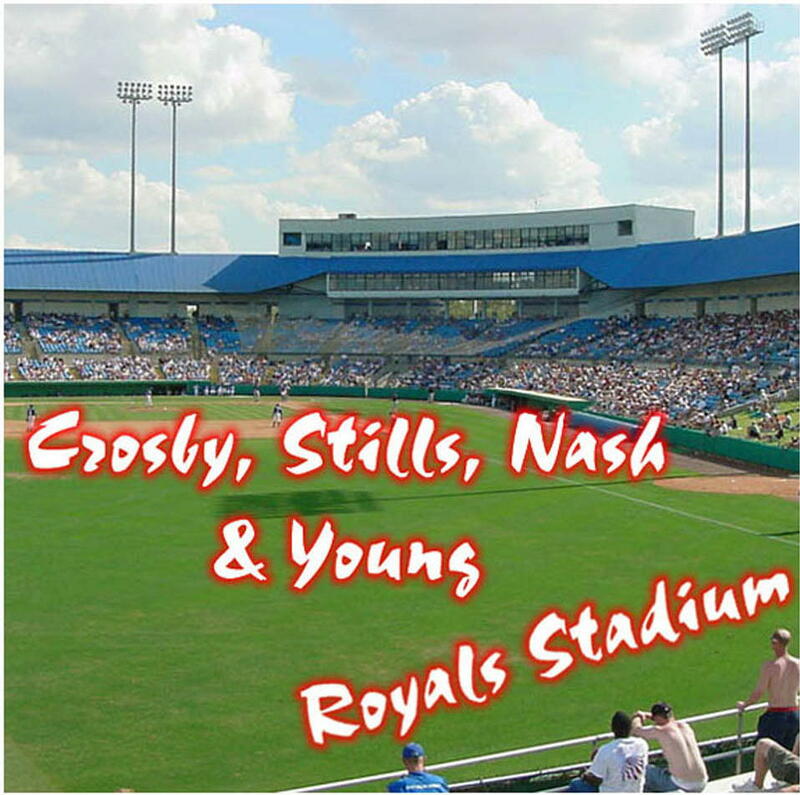 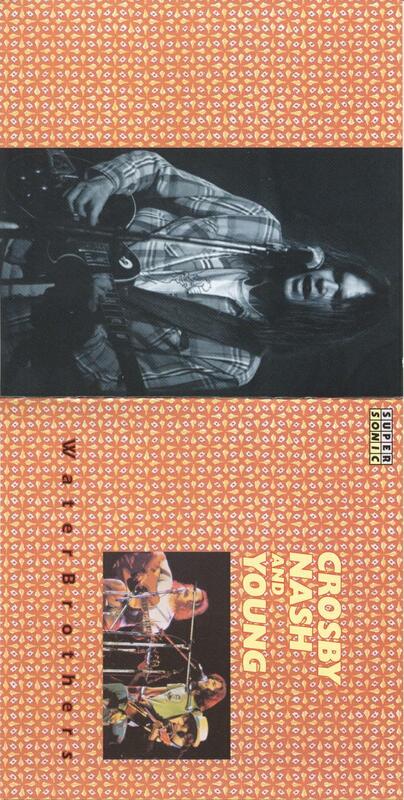 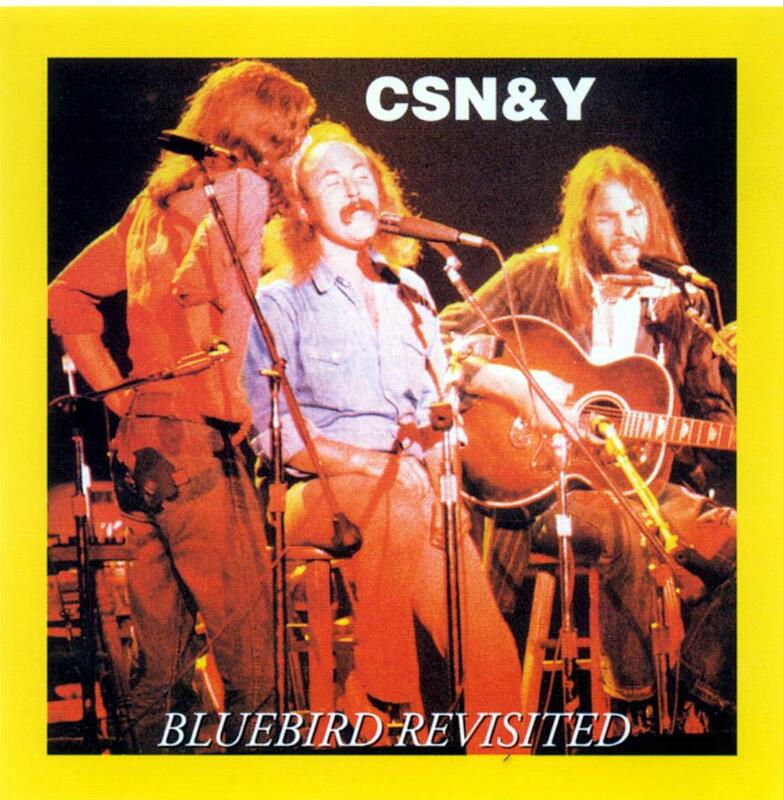 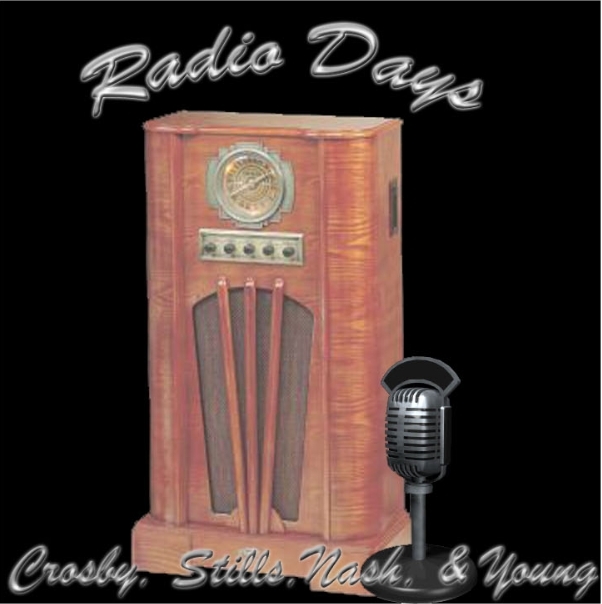 "a brand new Neil Young song!" 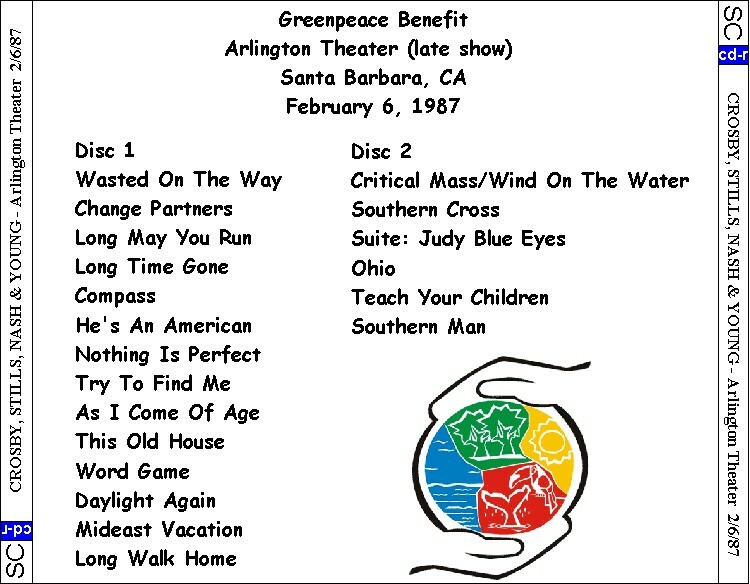 Note: Partial show. 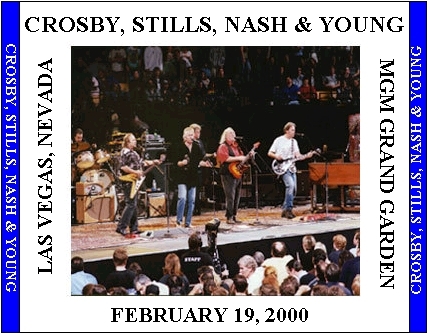 The date shown on the artwork is wrong. 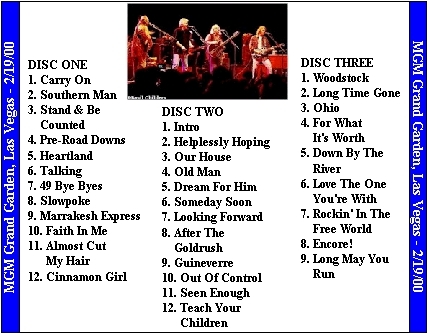 1st song of the 2nd set, Helplessy Hoping, is missing. 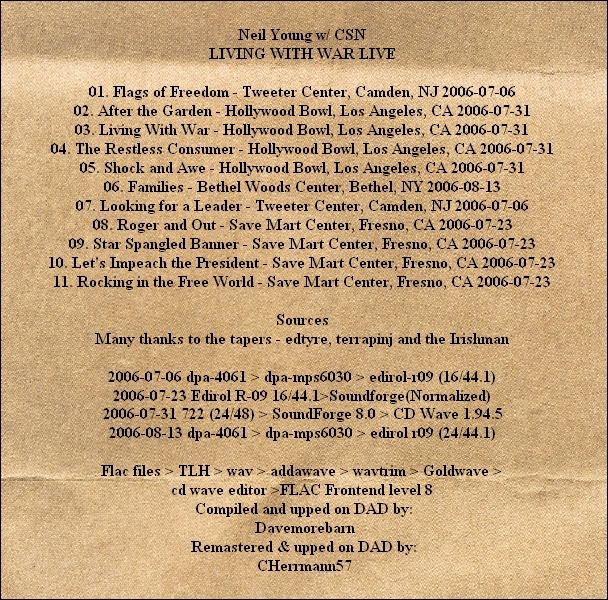 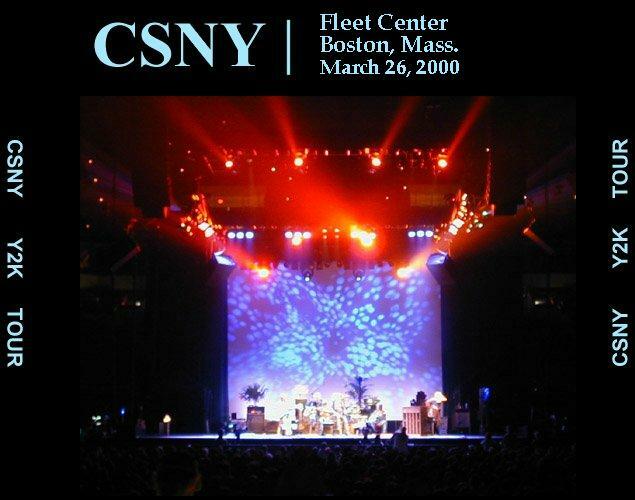 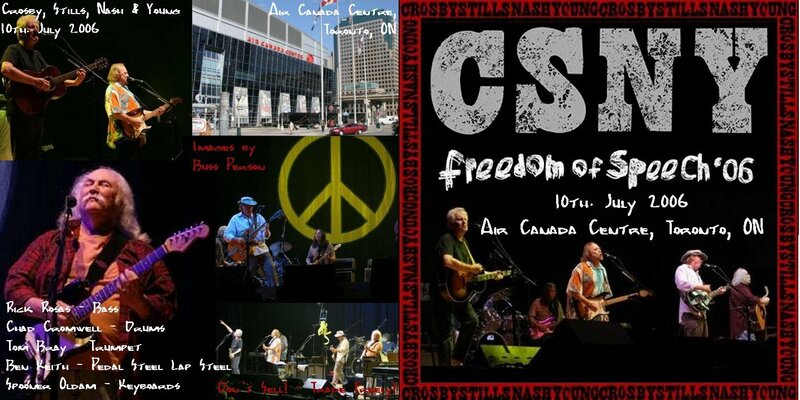 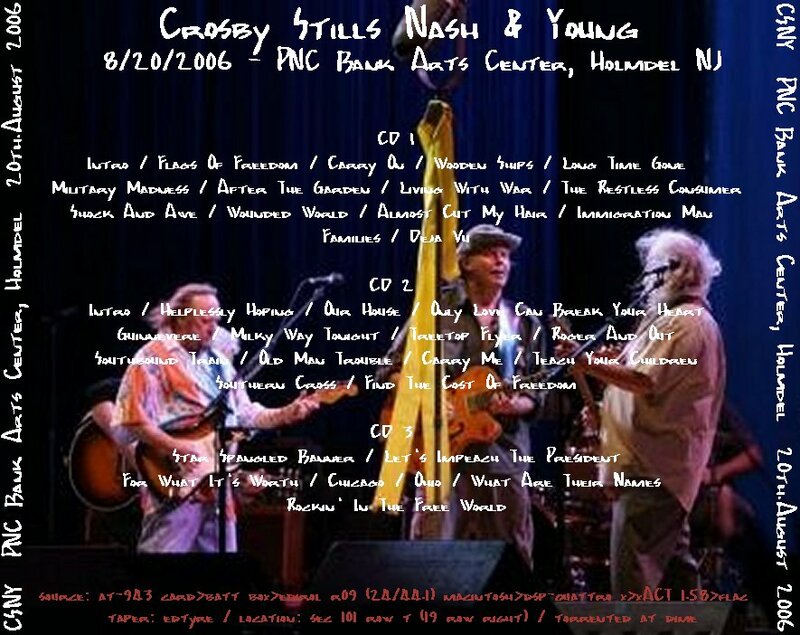 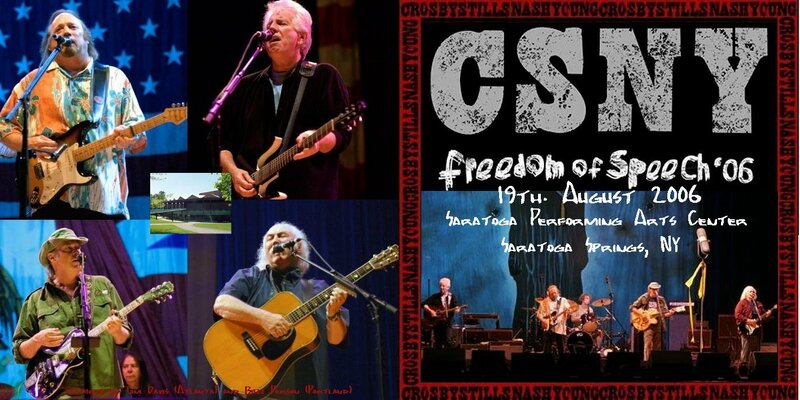 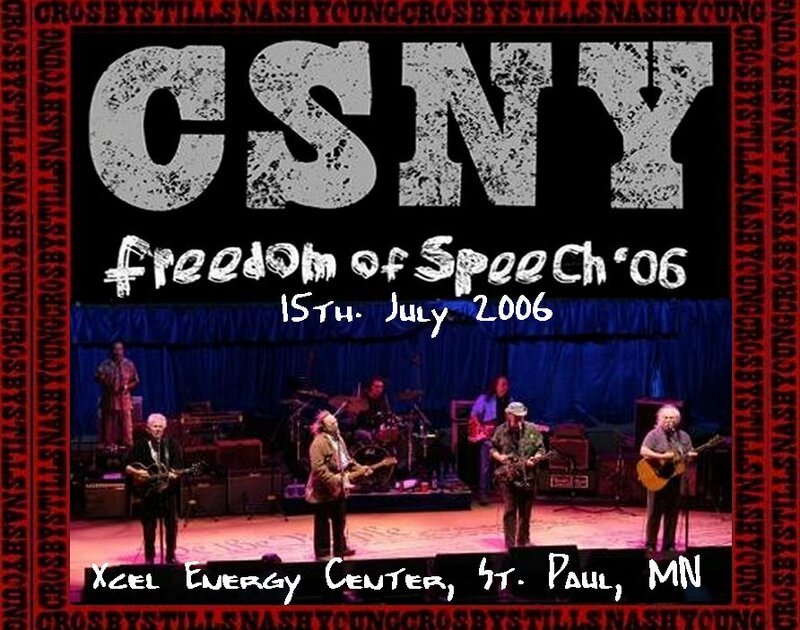 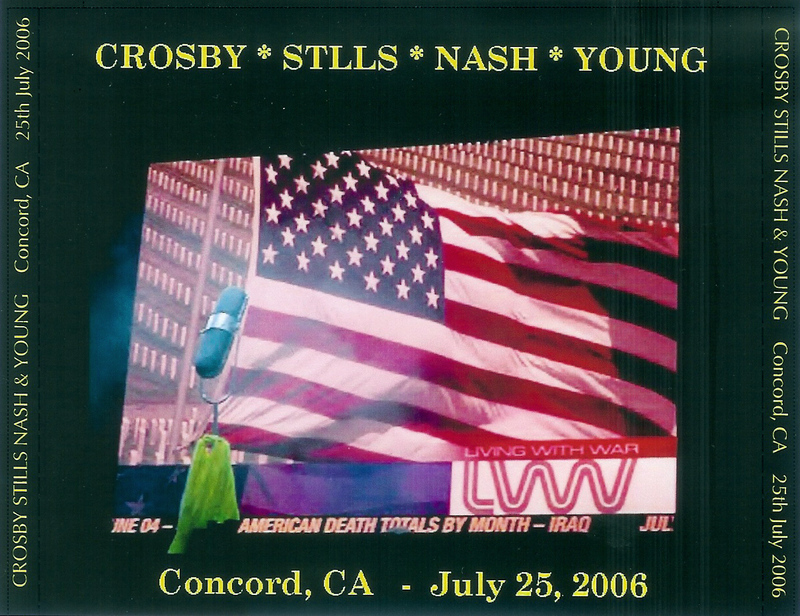 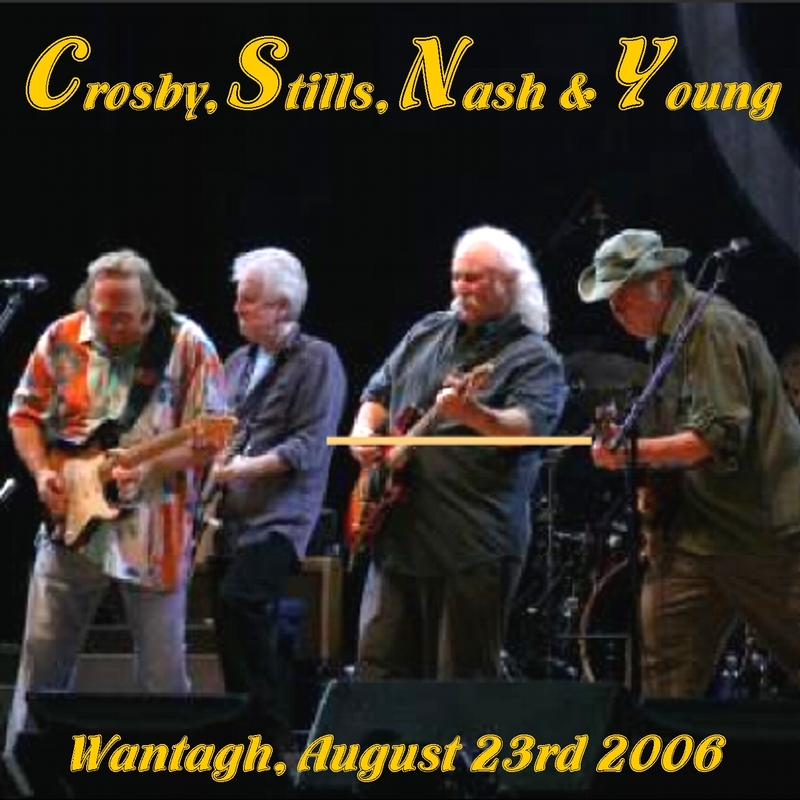 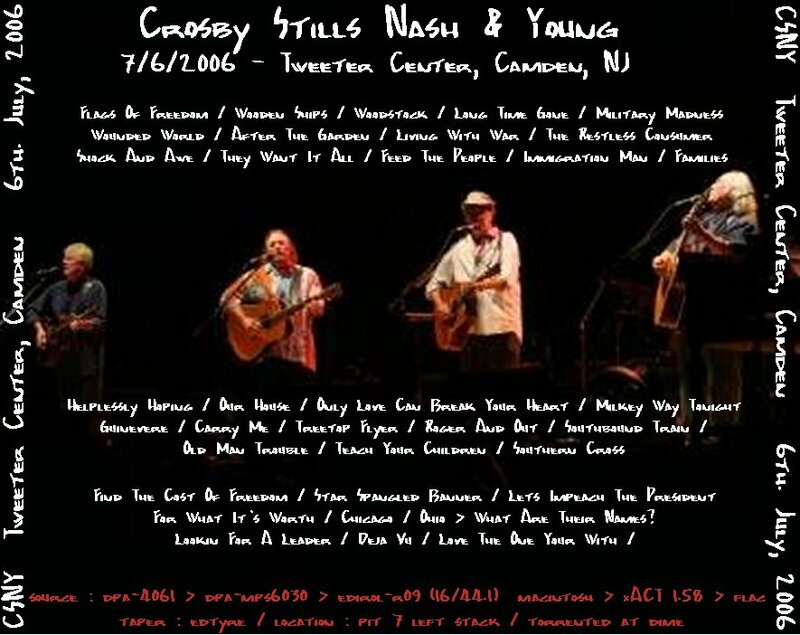 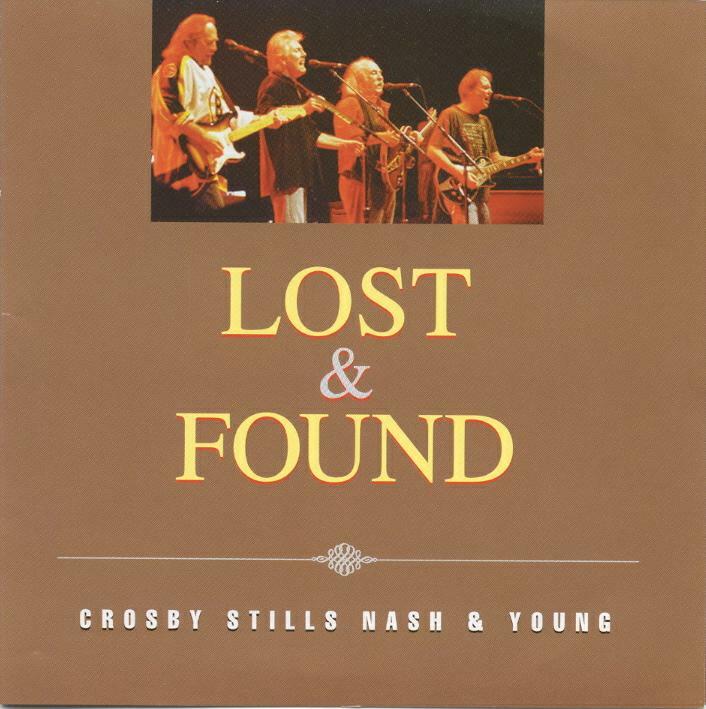 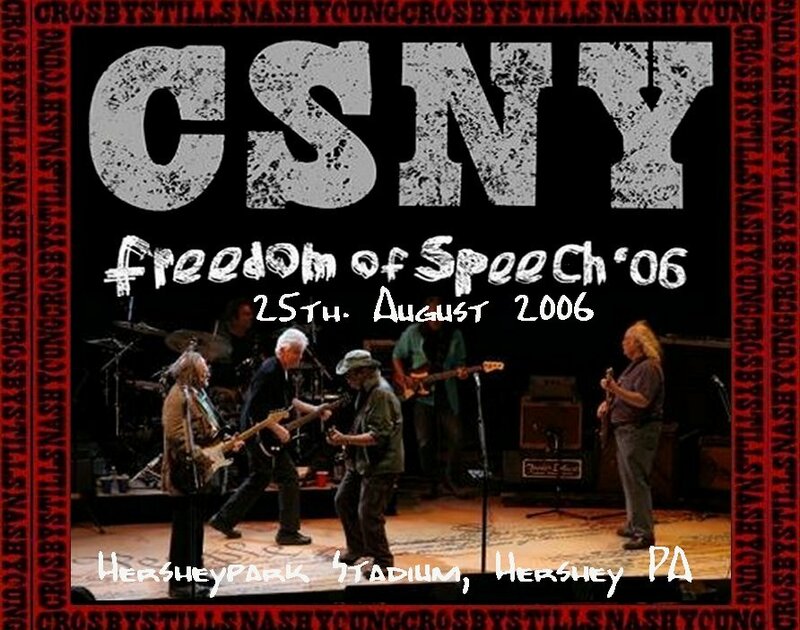 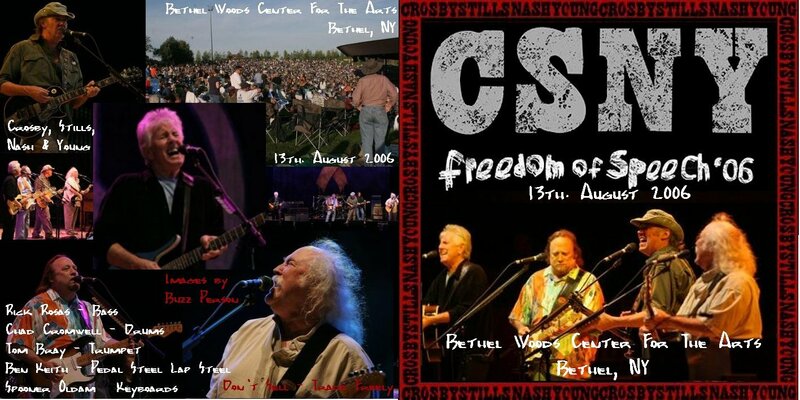 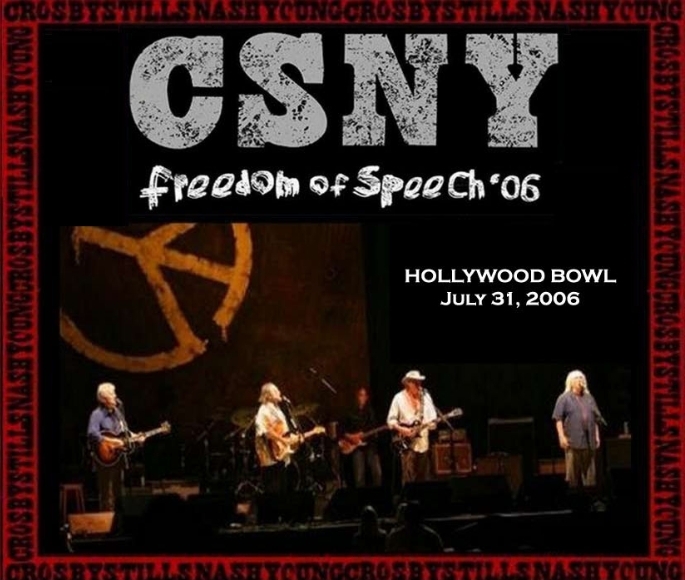 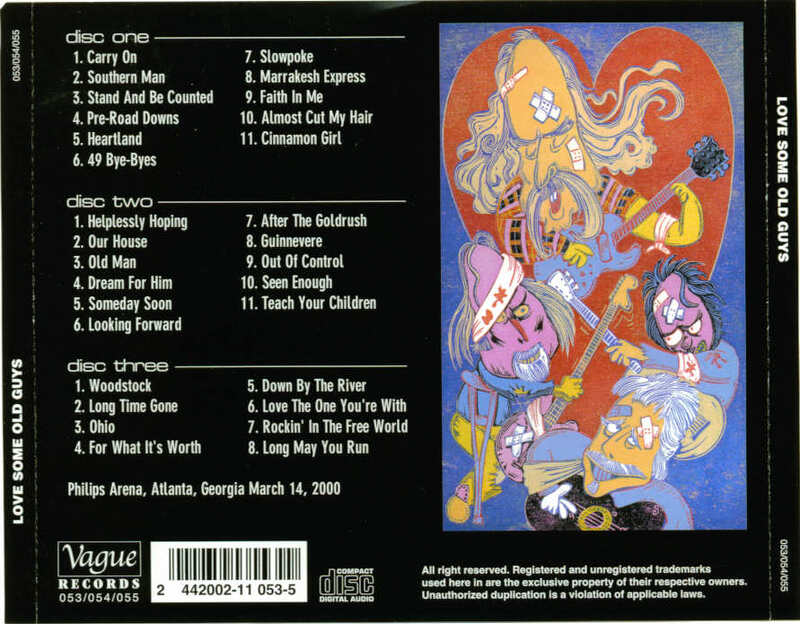 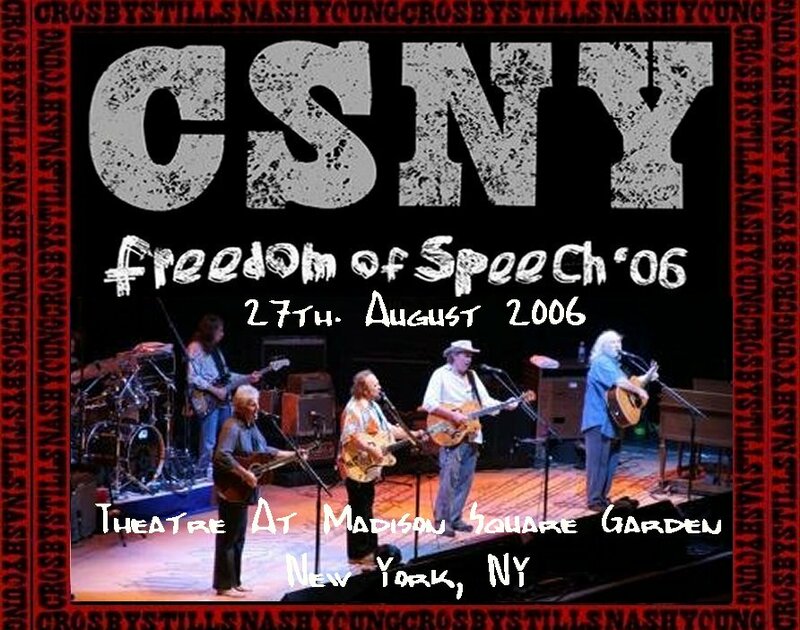 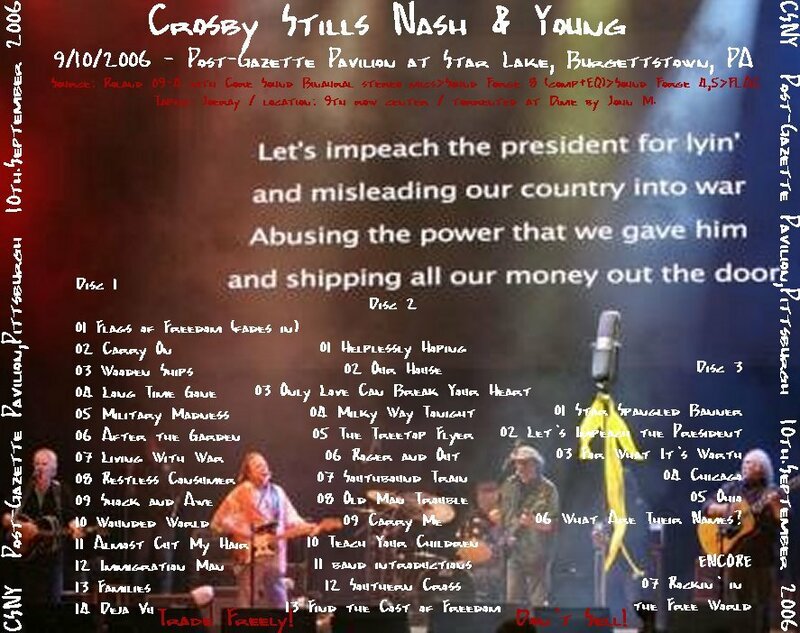 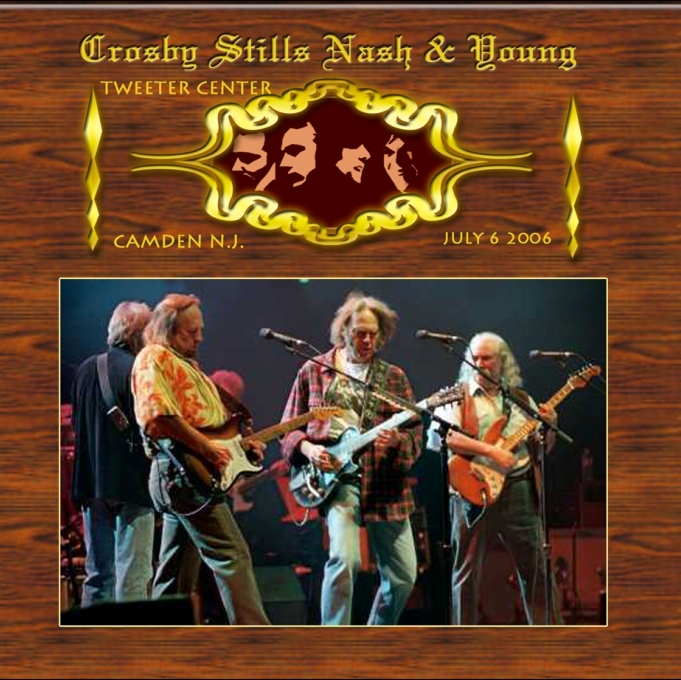 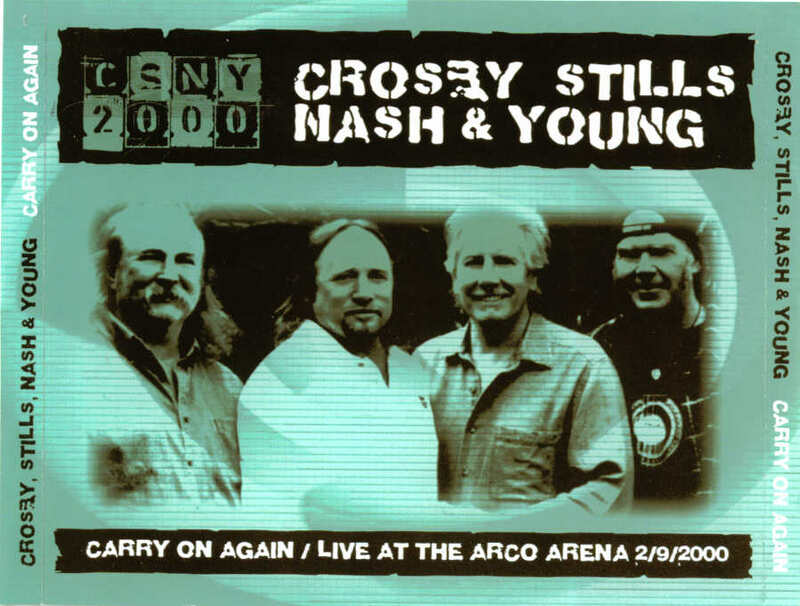 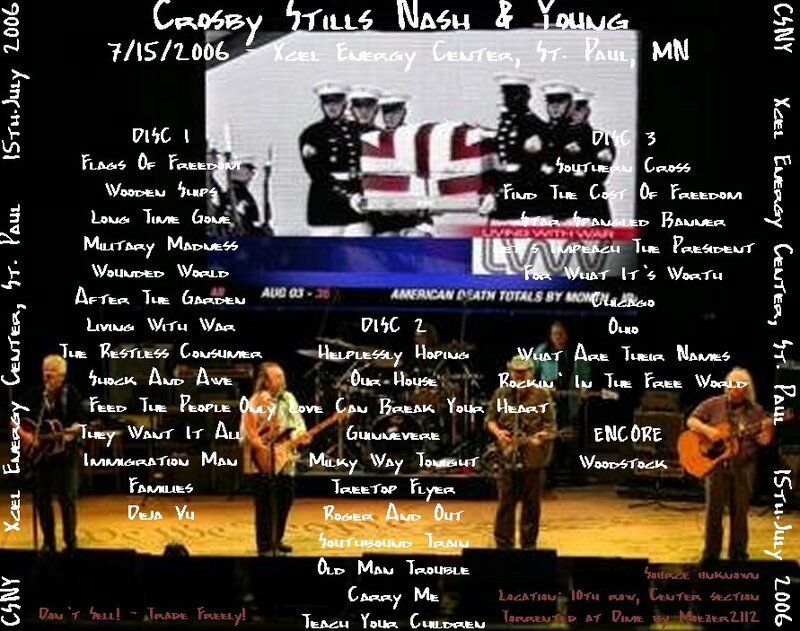 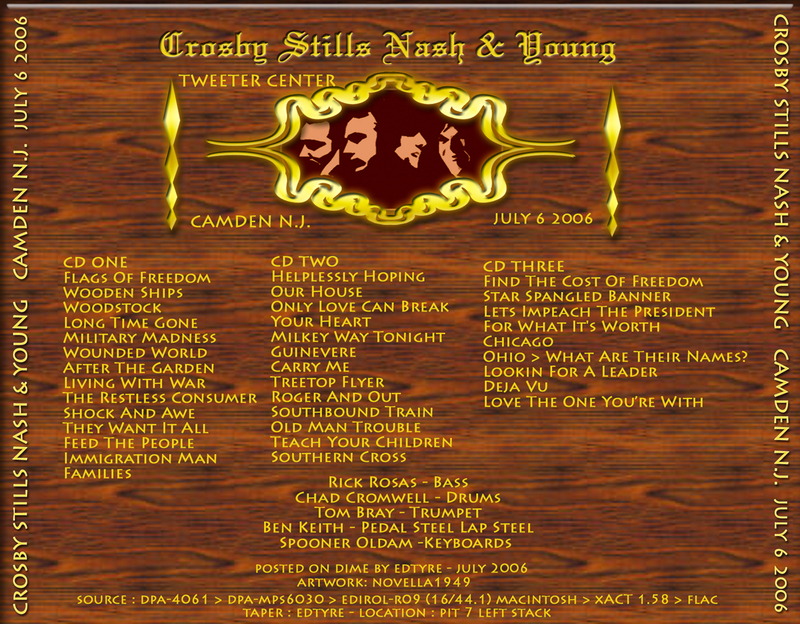 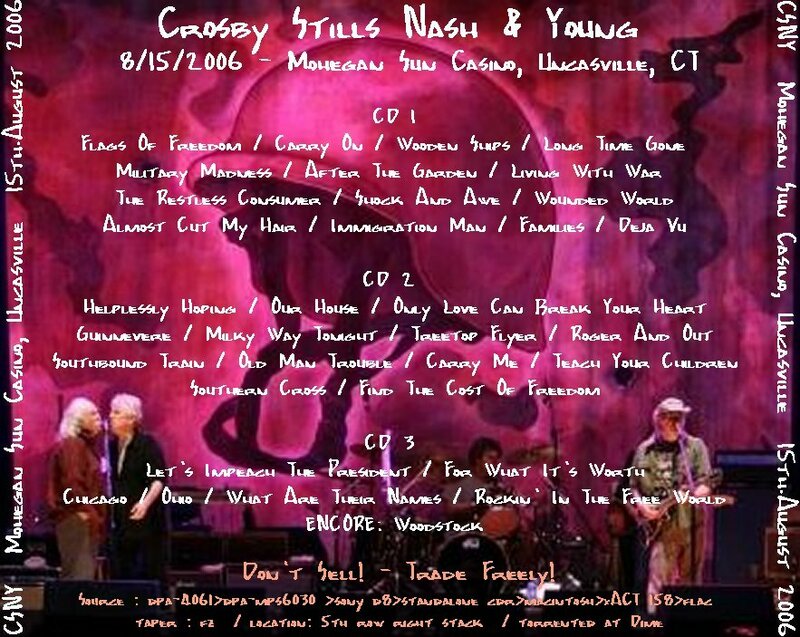 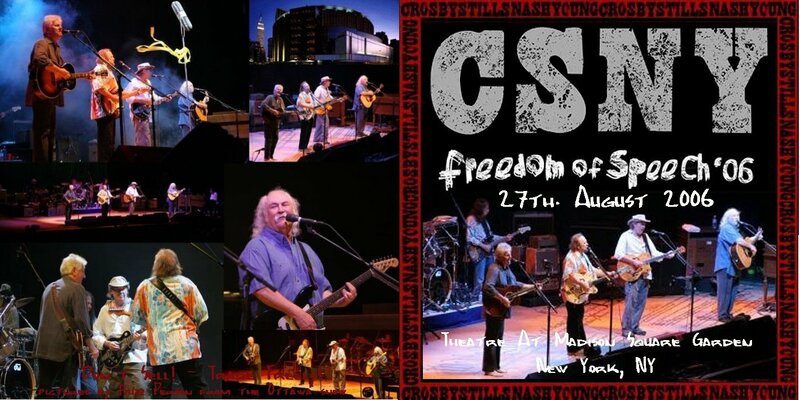 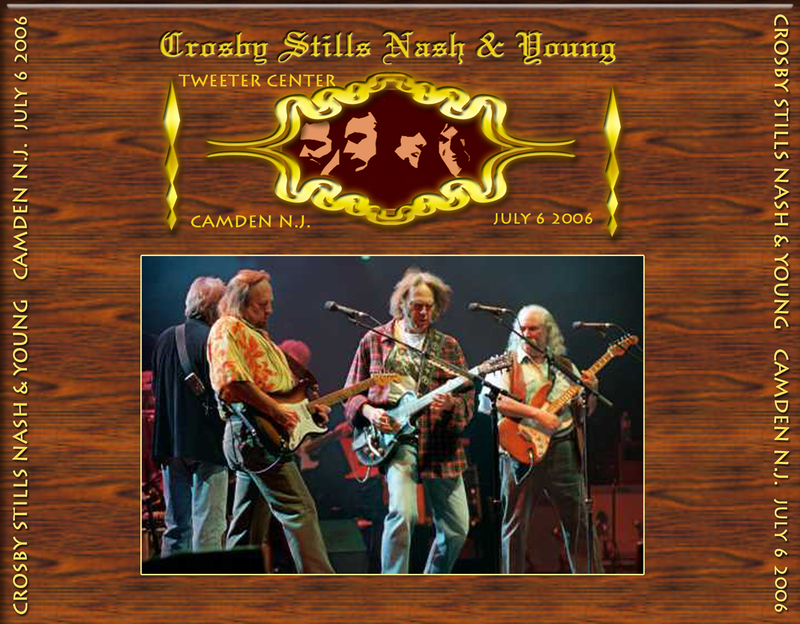 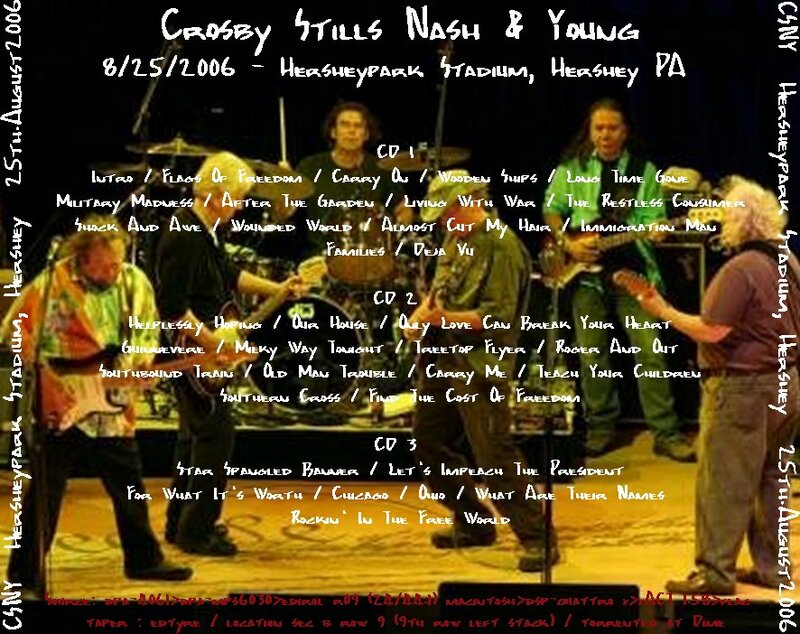 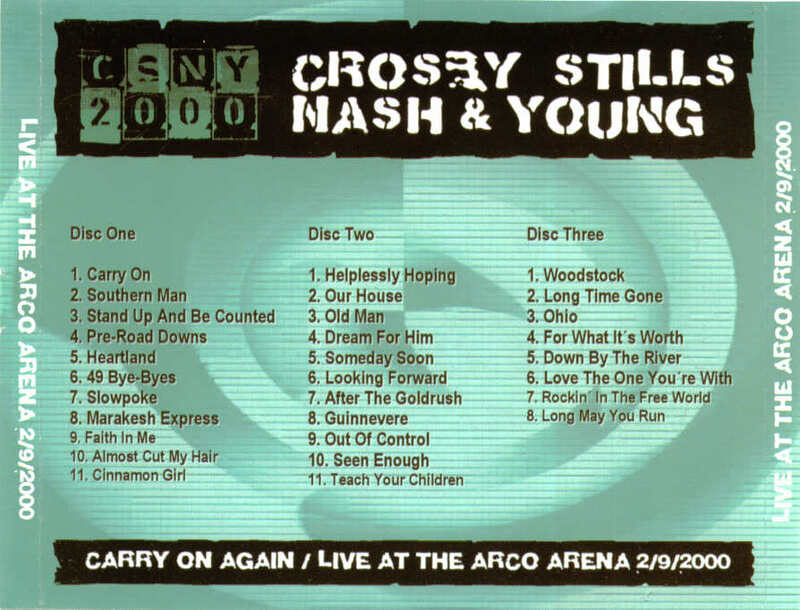 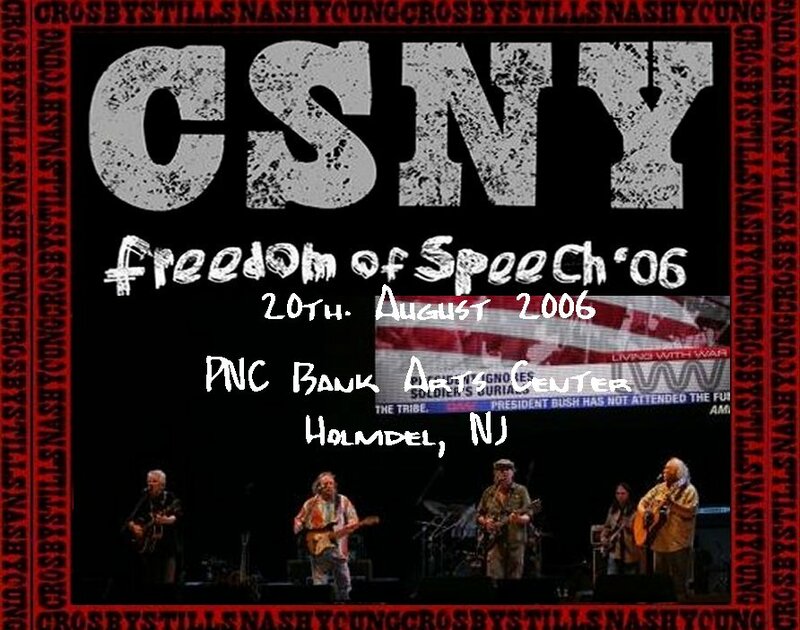 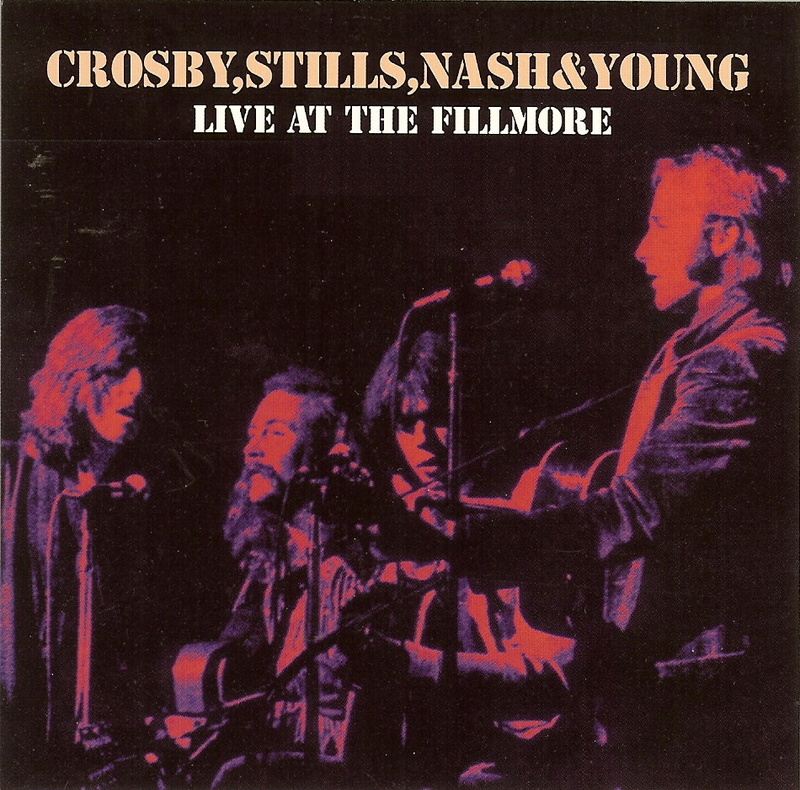 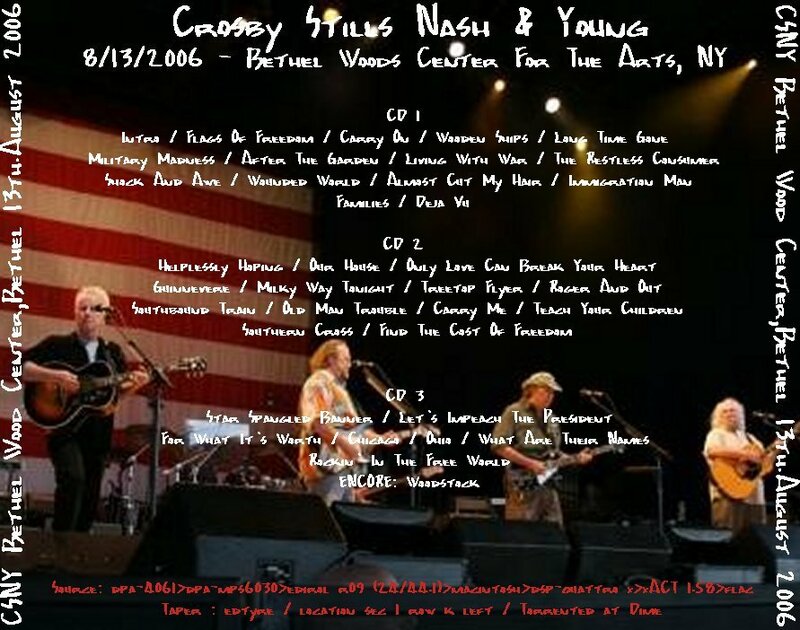 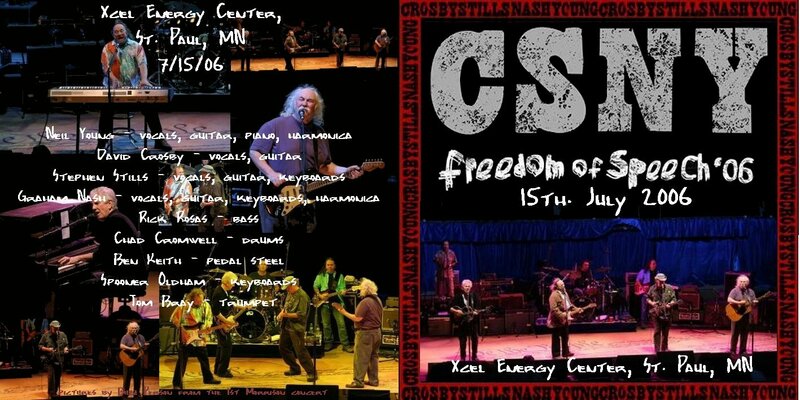 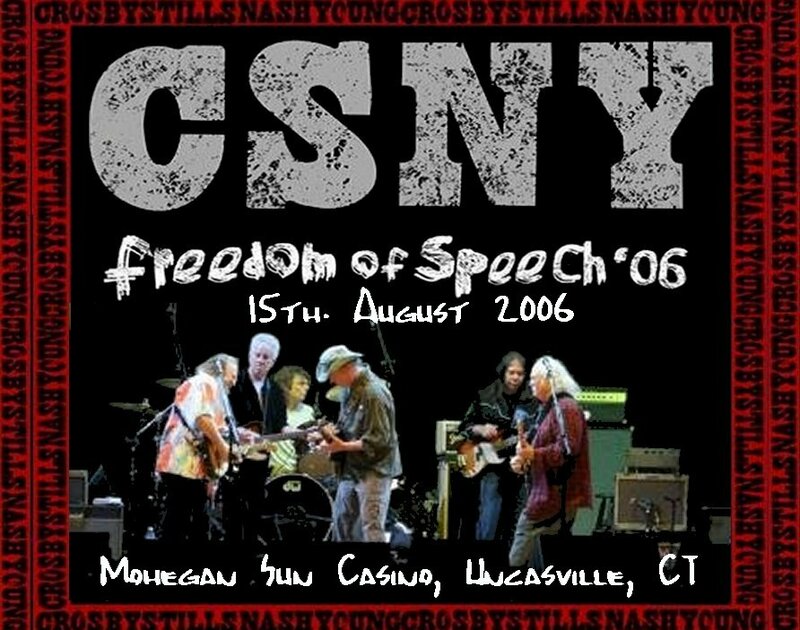 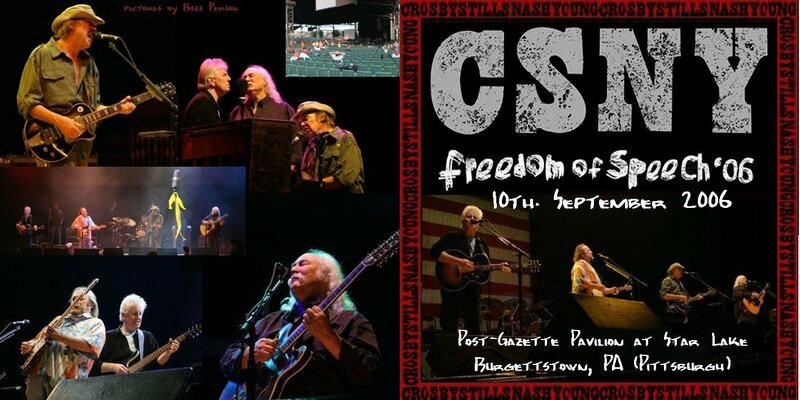 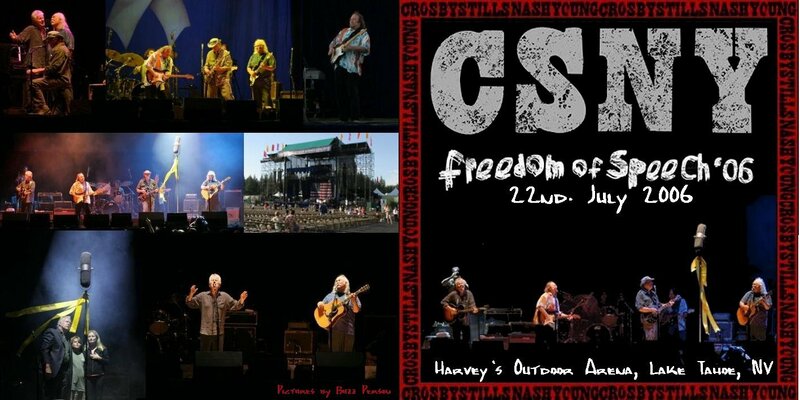 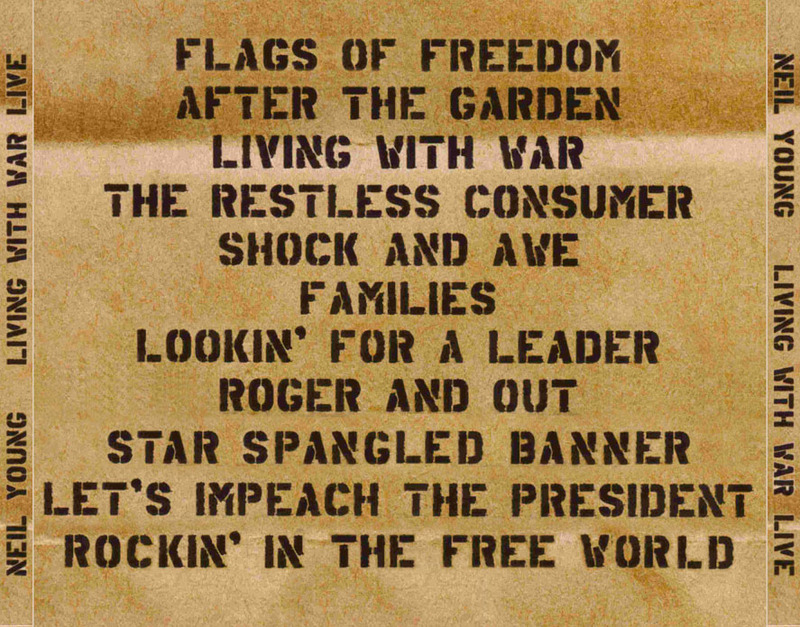 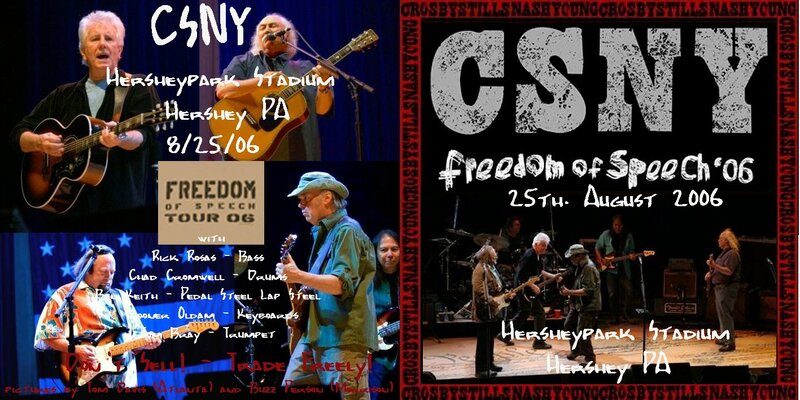 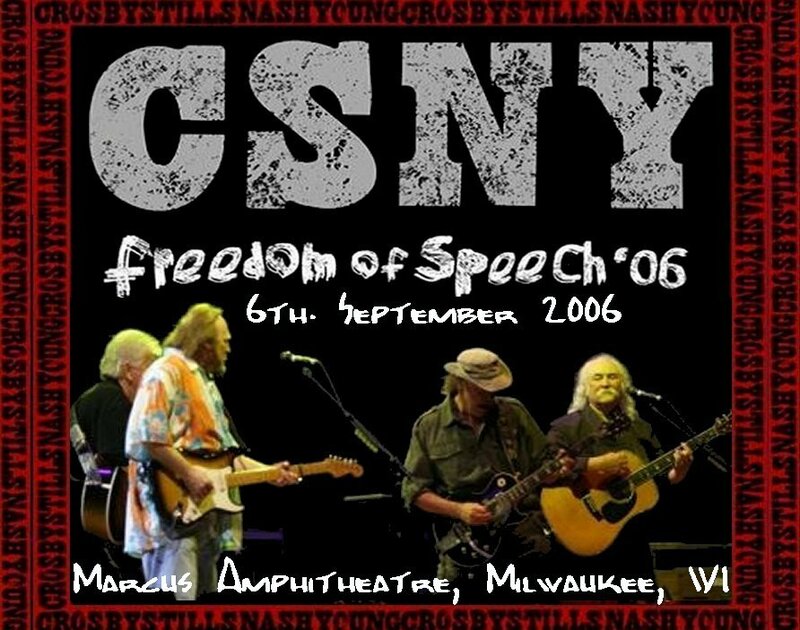 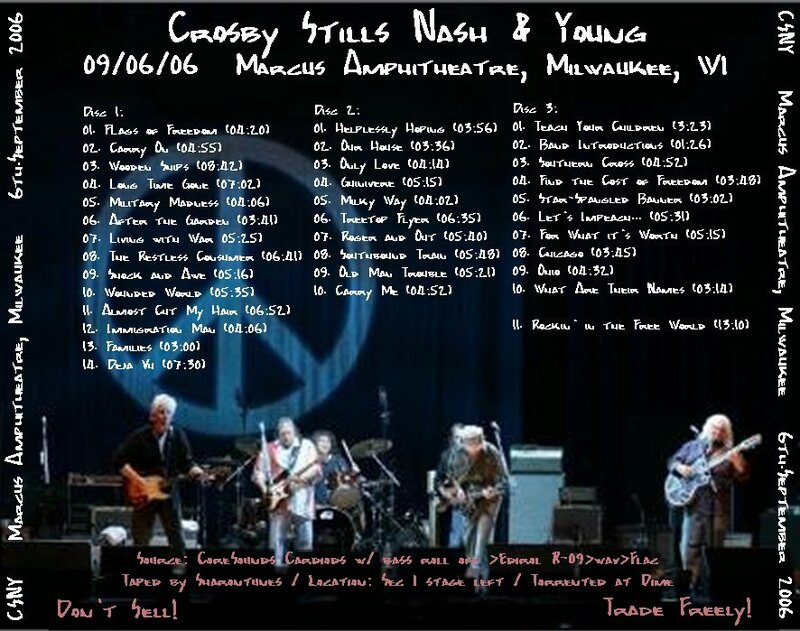 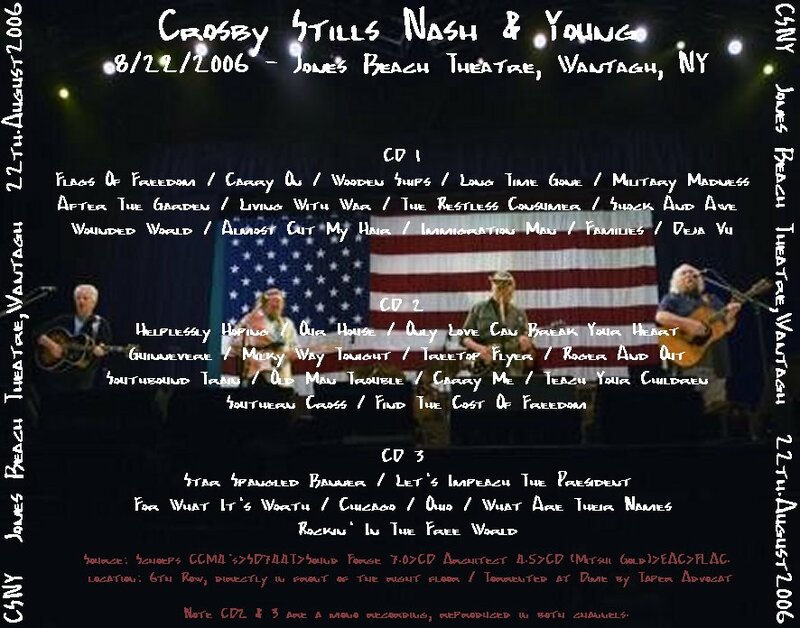 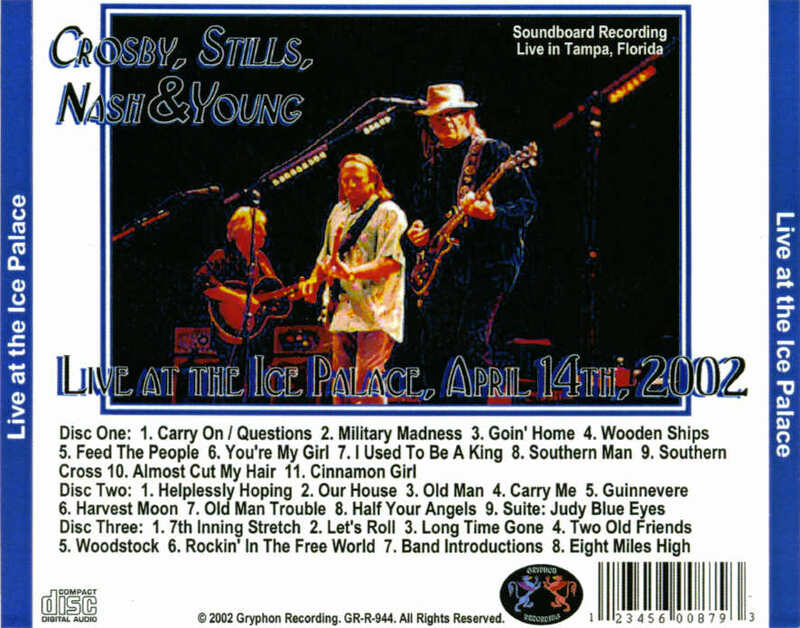 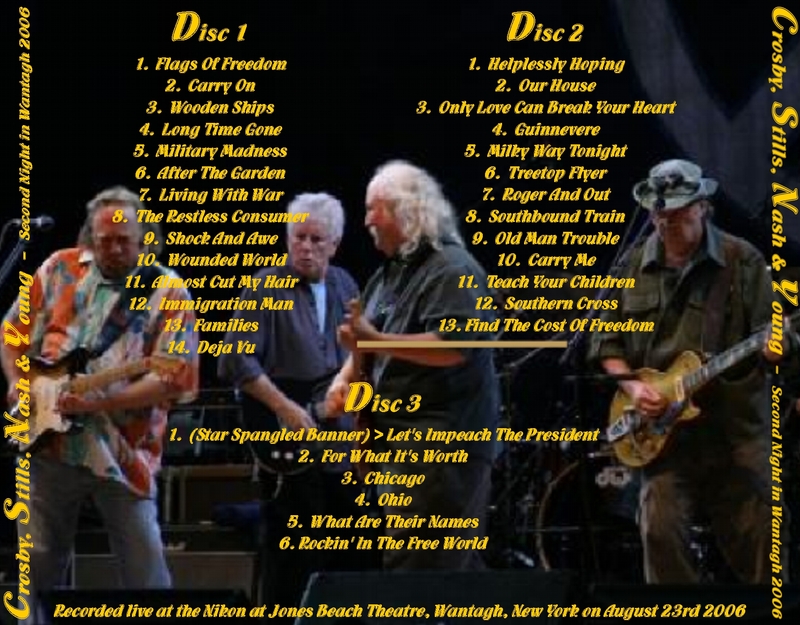 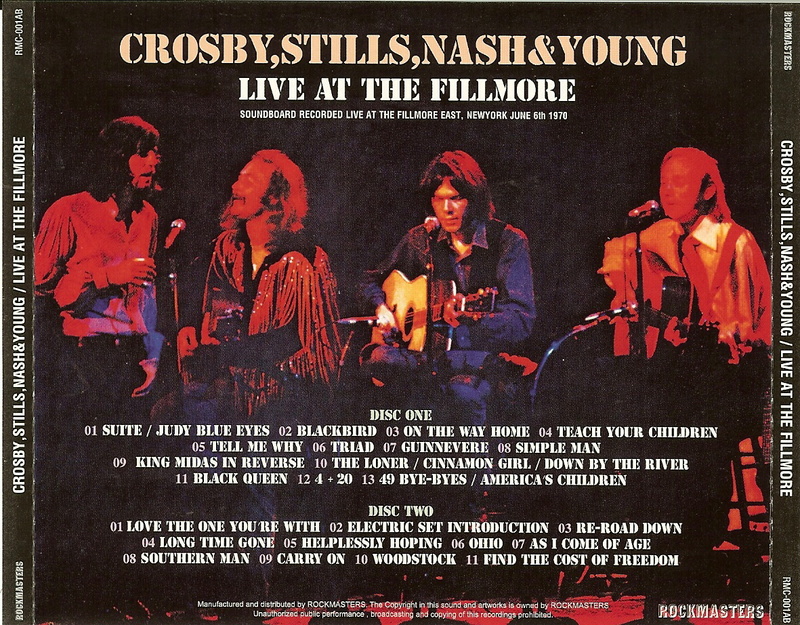 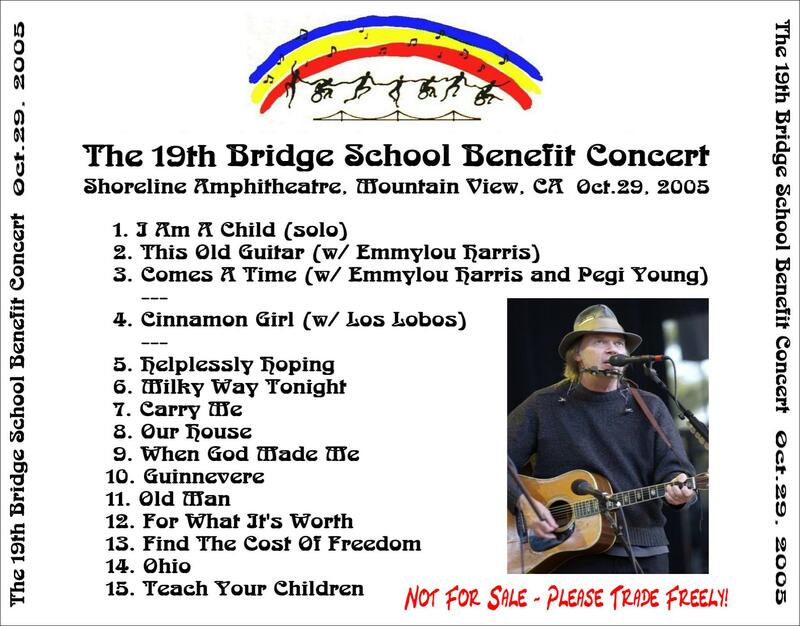 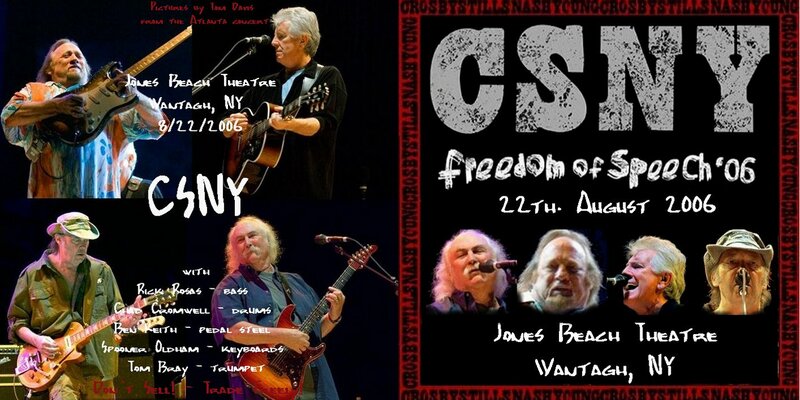 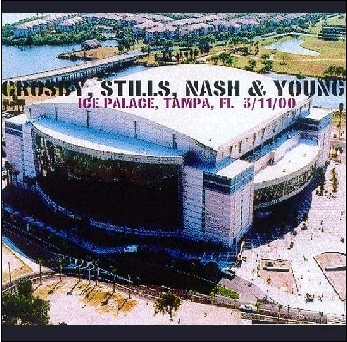 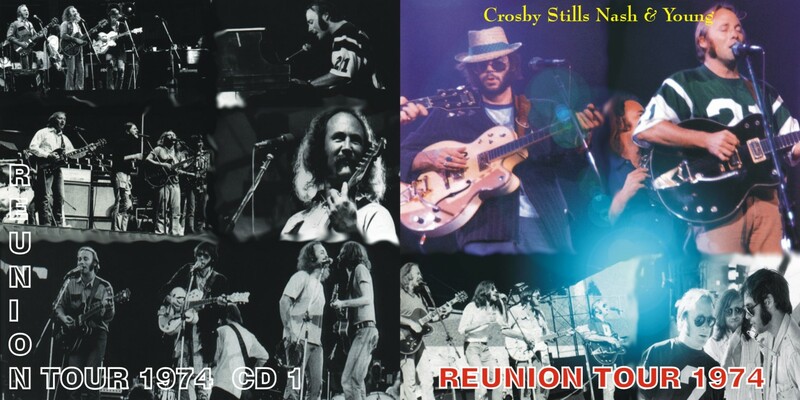 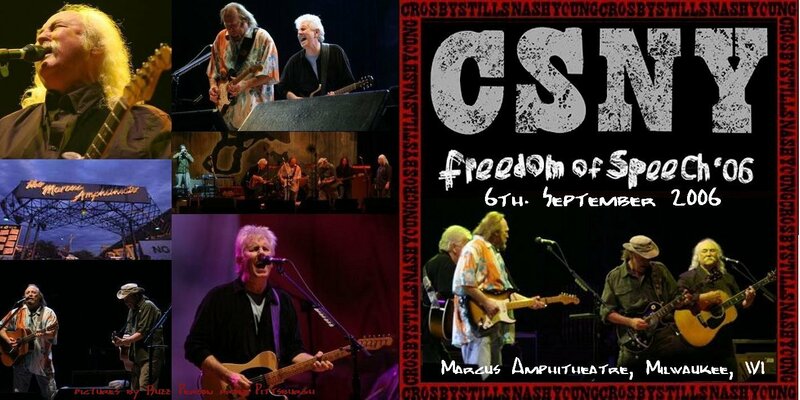 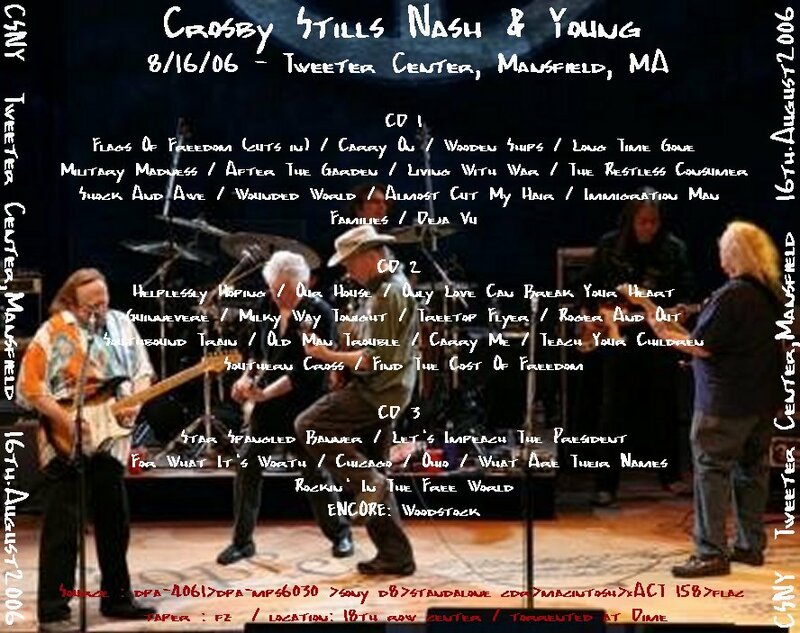 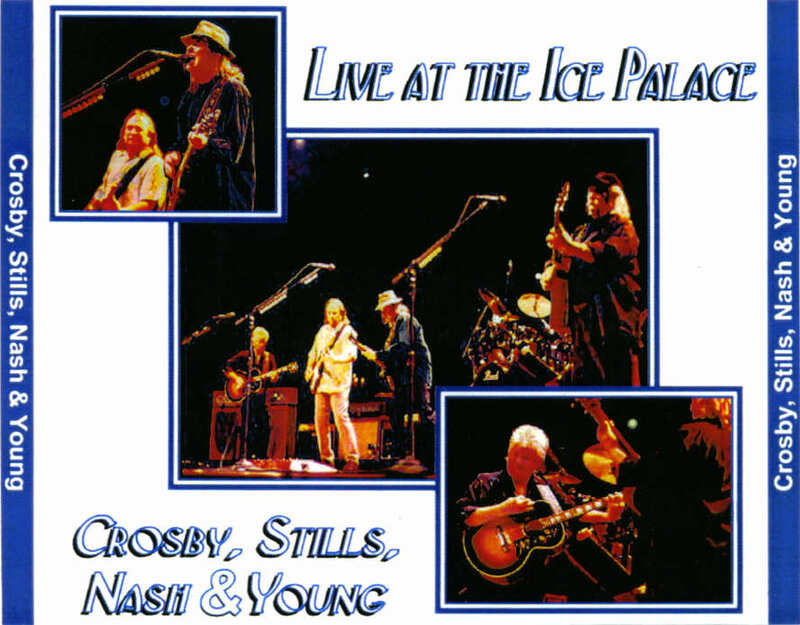 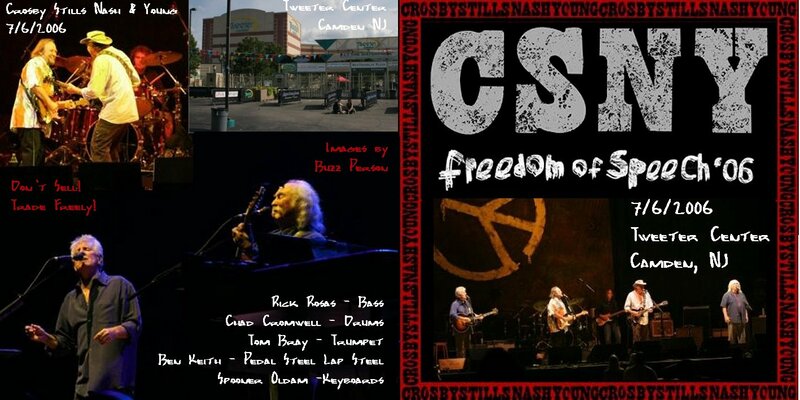 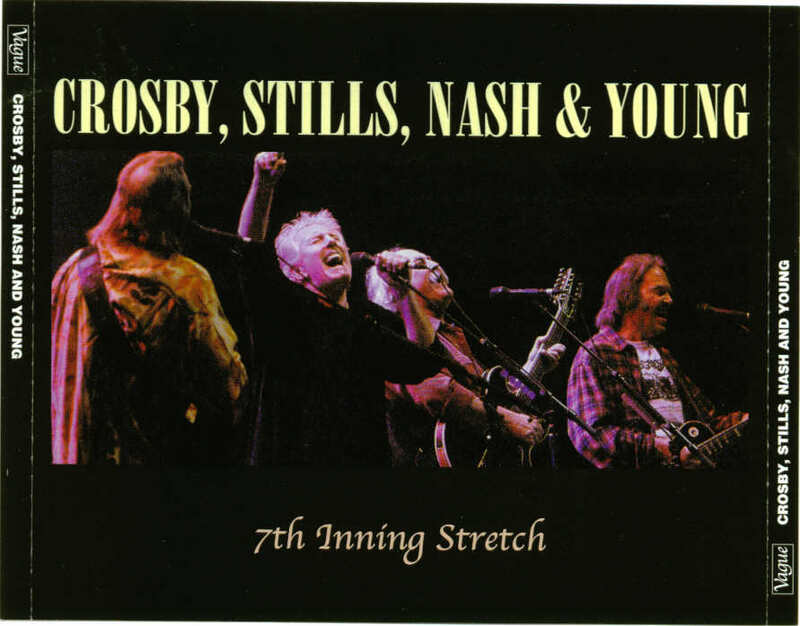 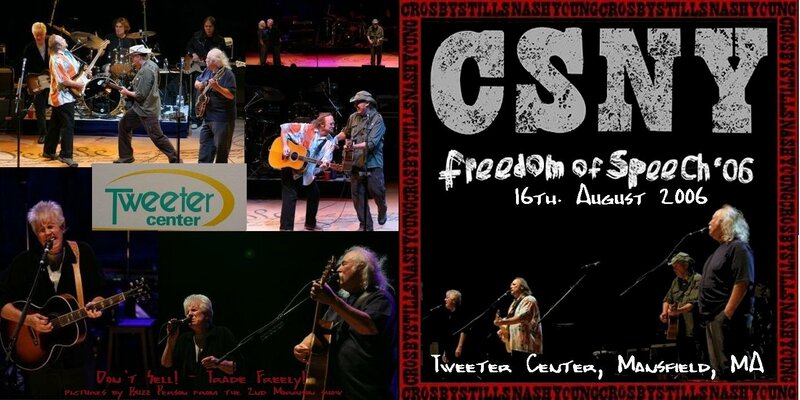 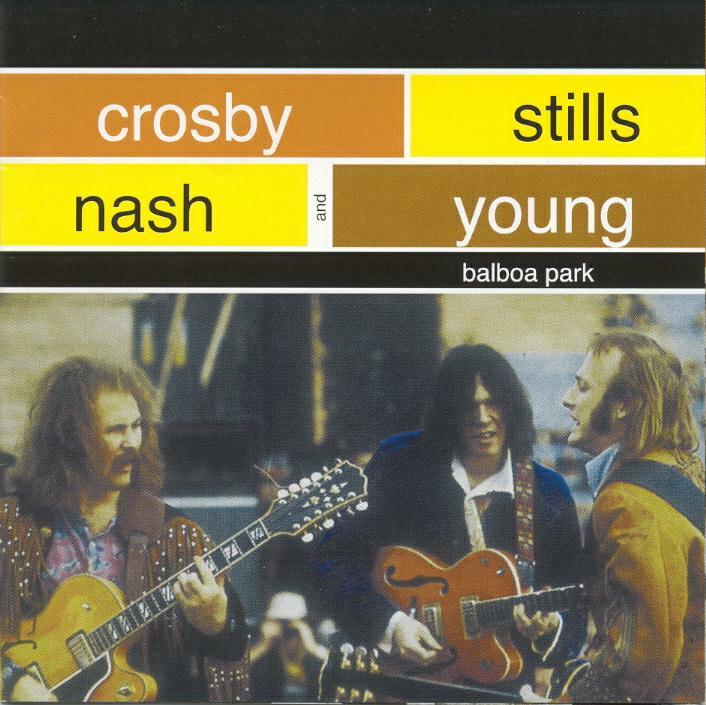 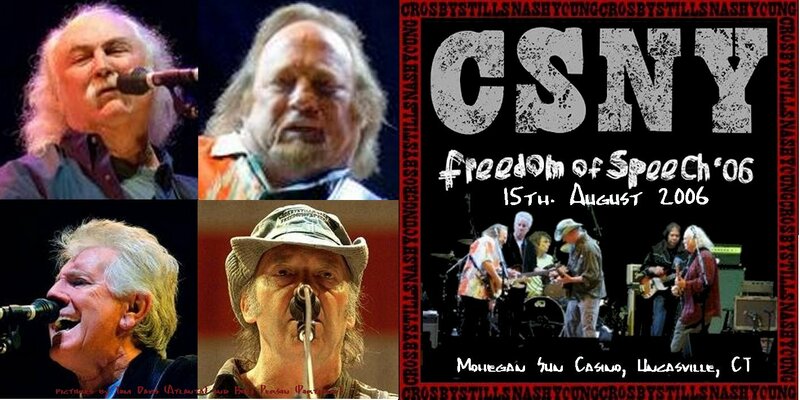 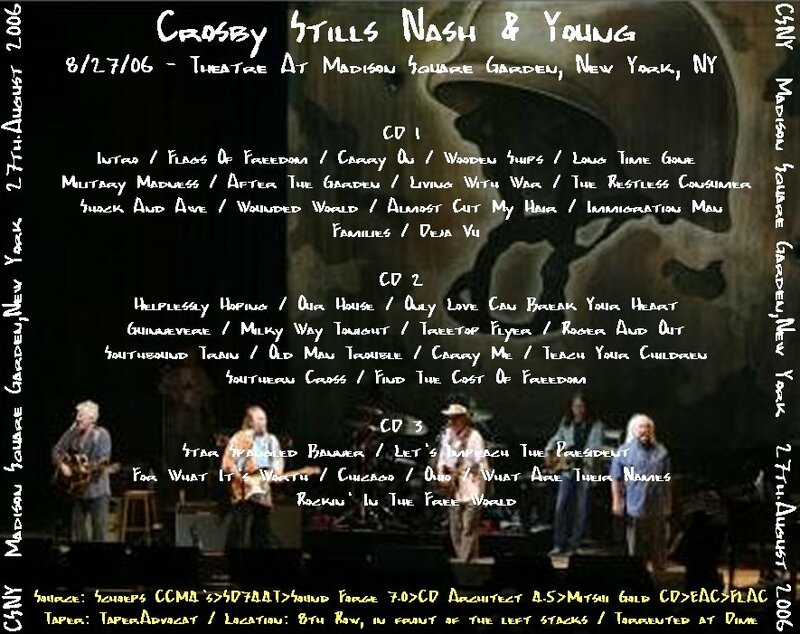 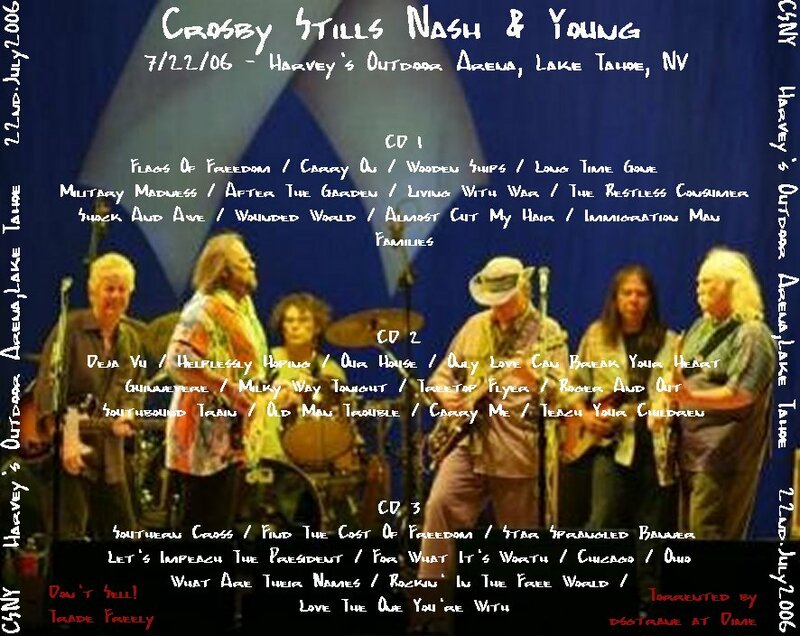 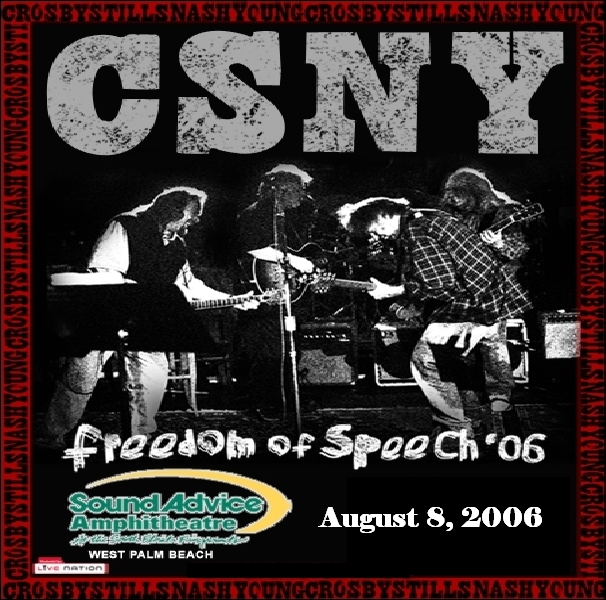 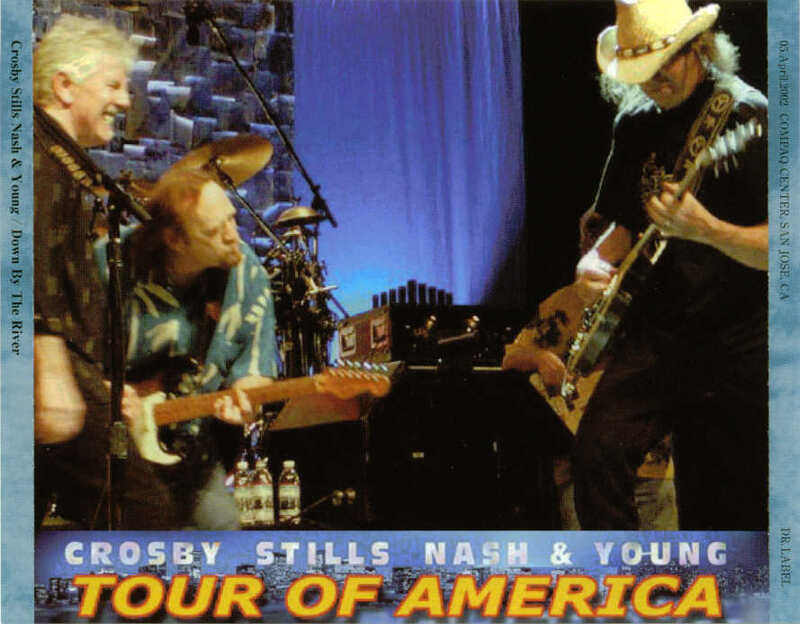 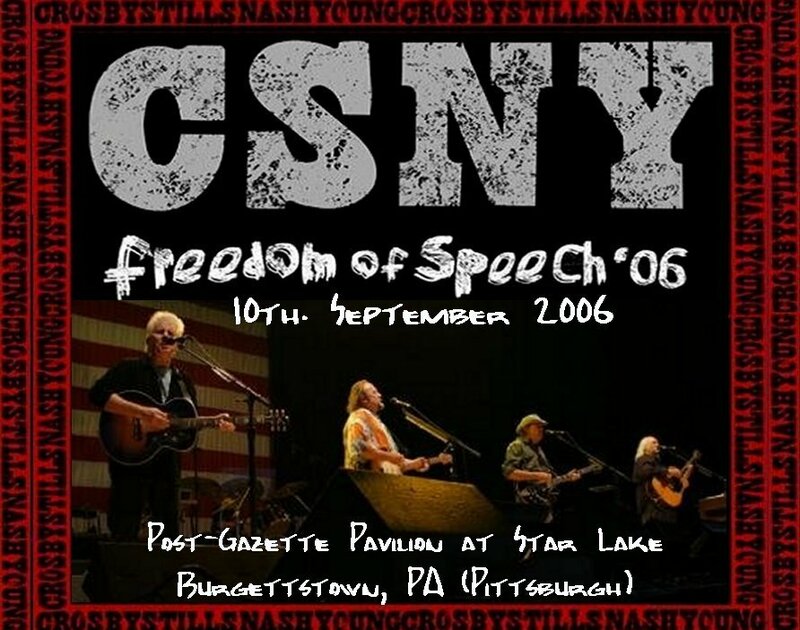 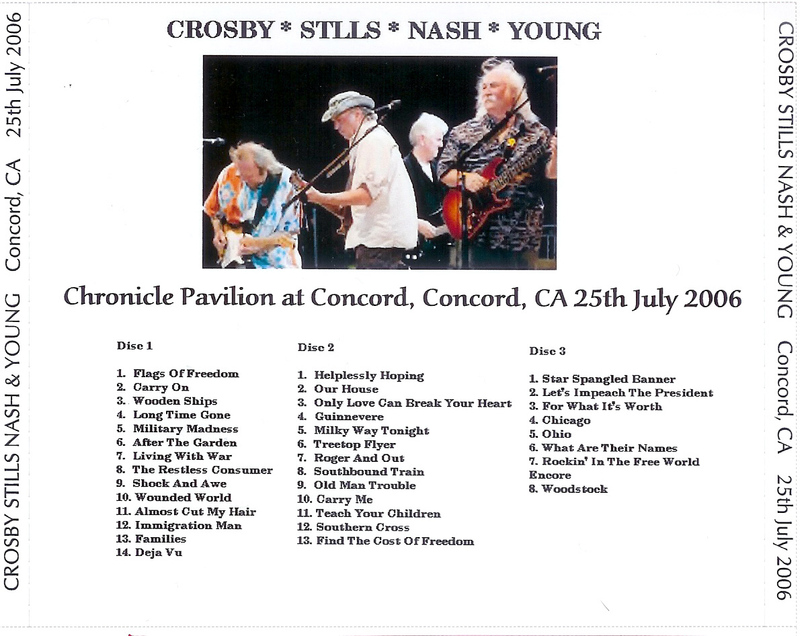 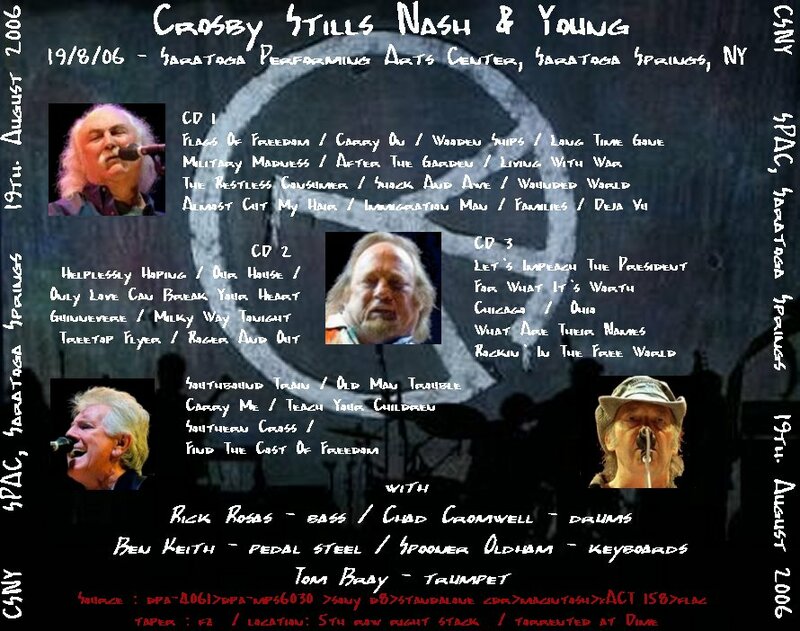 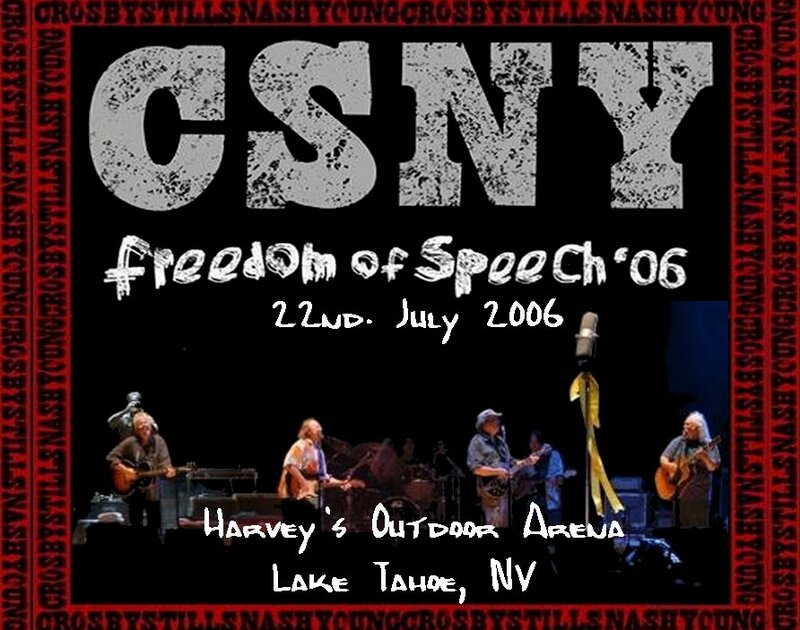 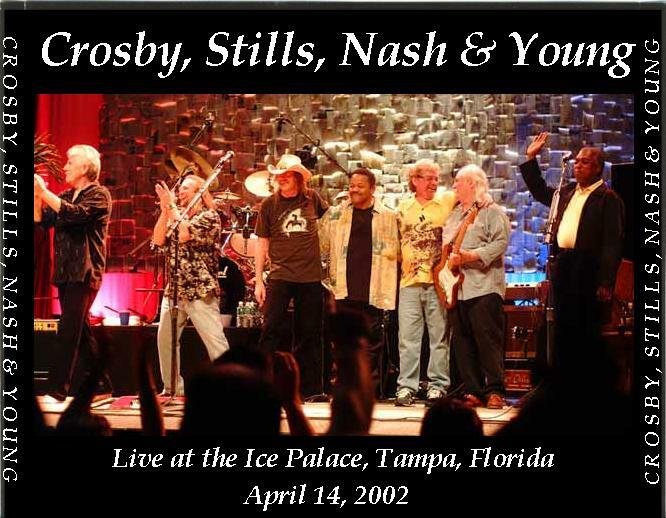 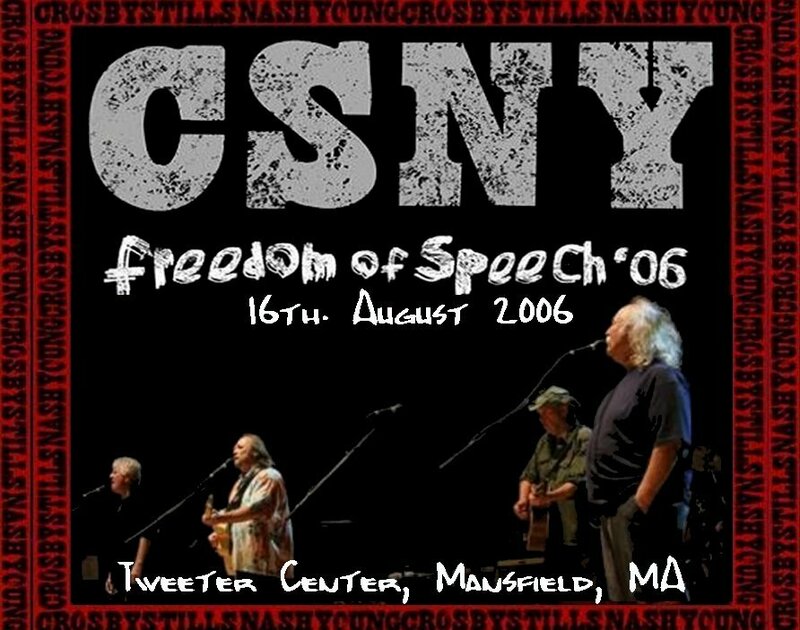 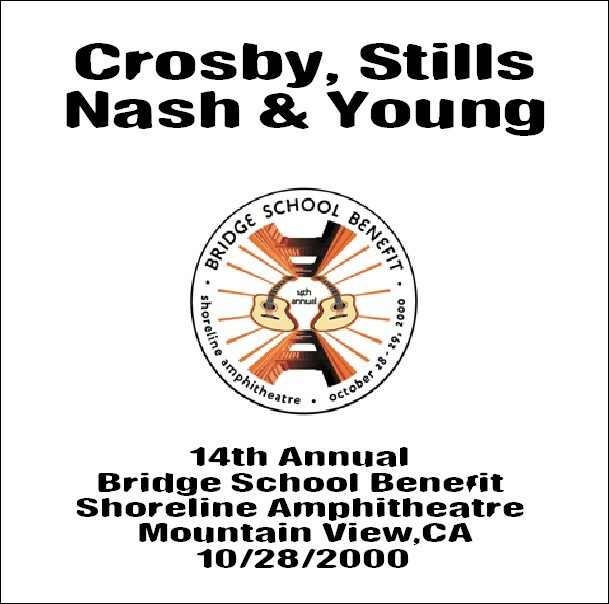 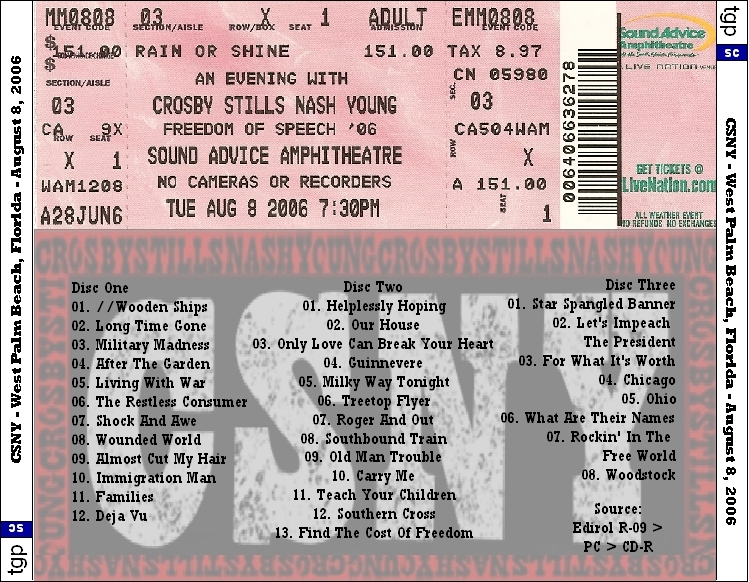 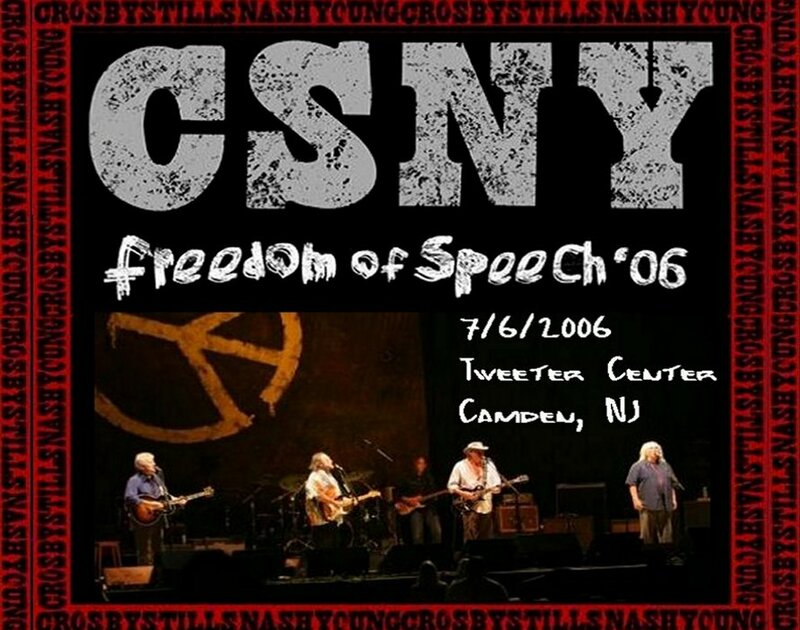 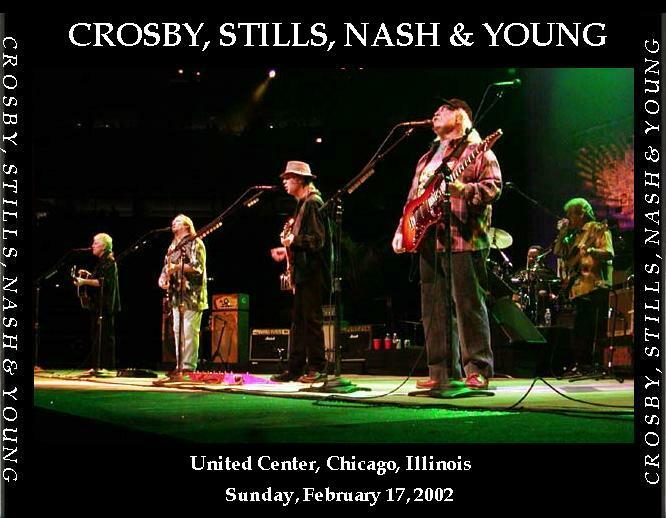 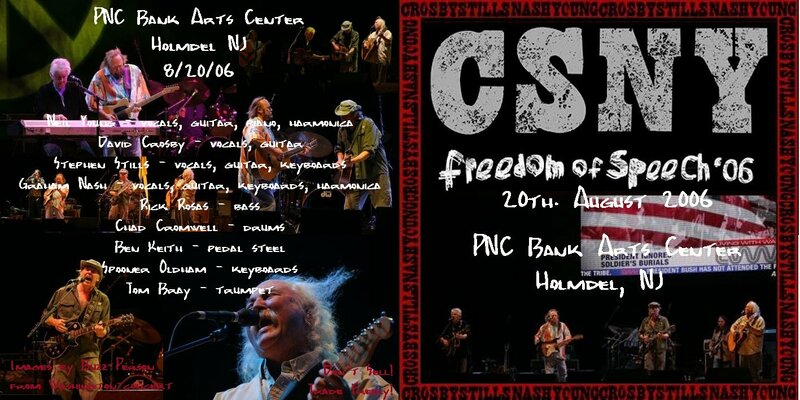 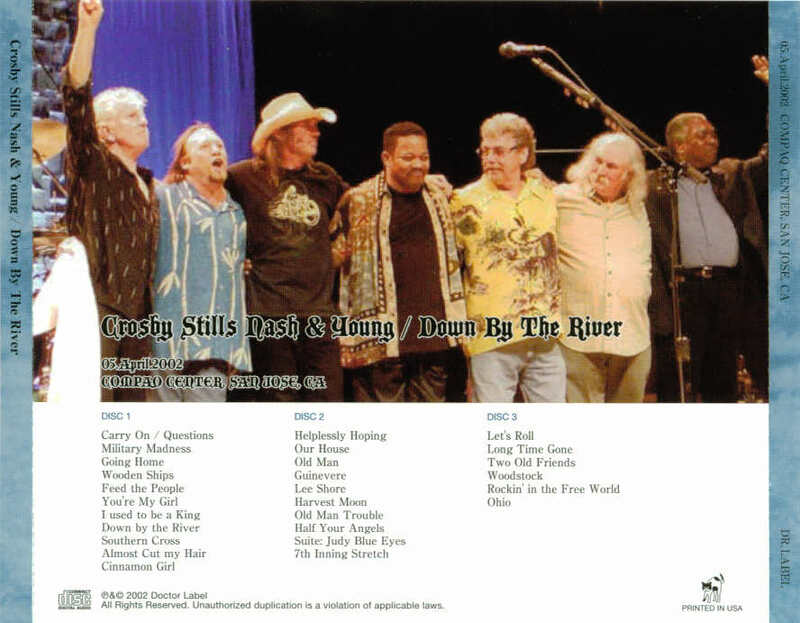 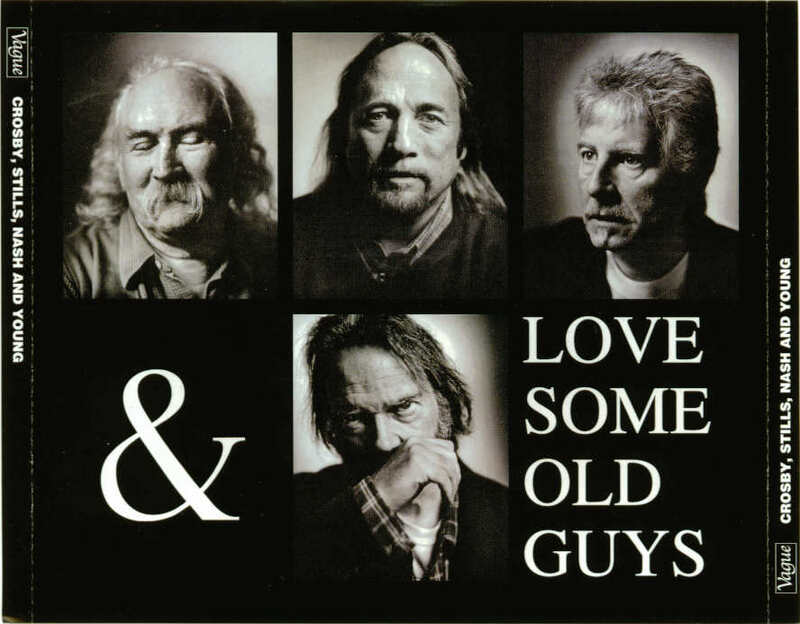 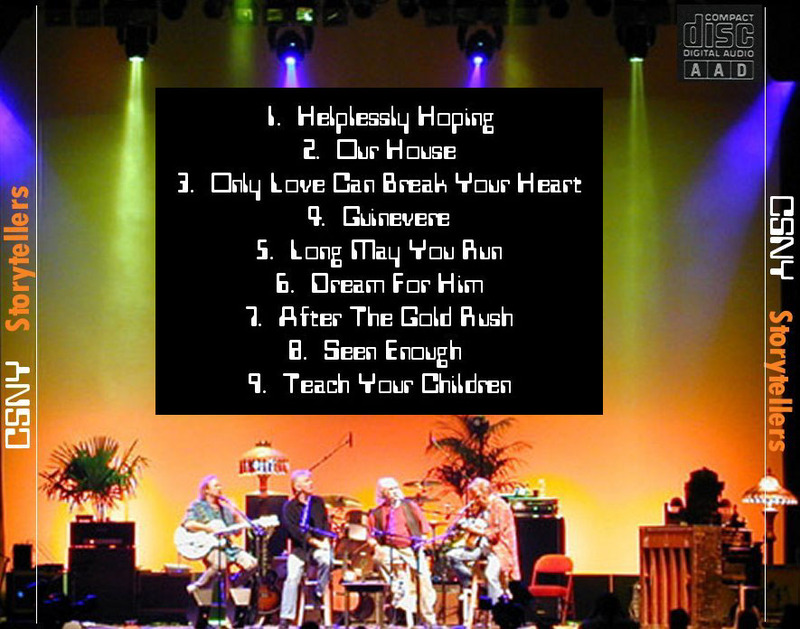 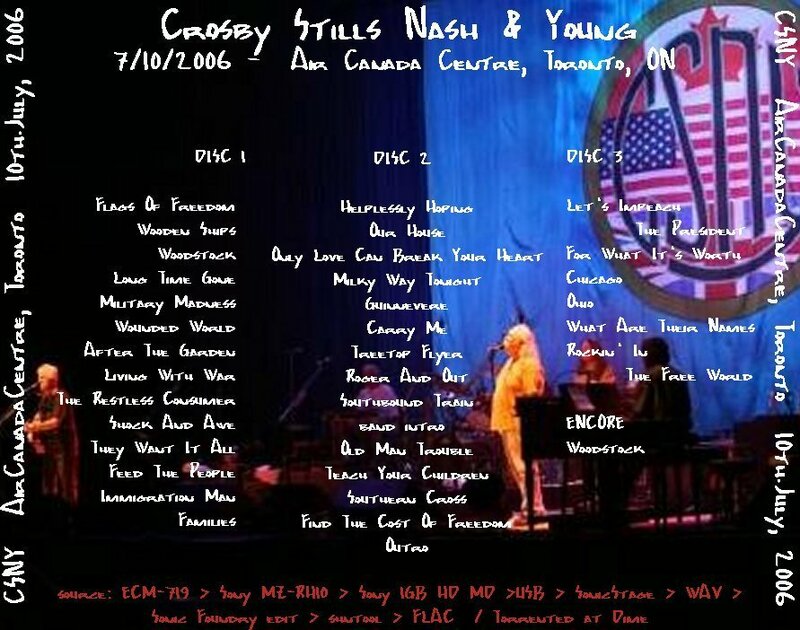 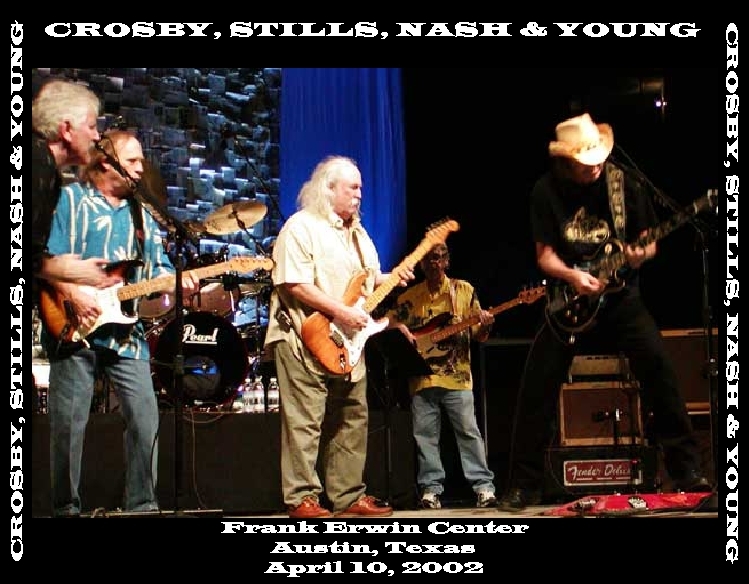 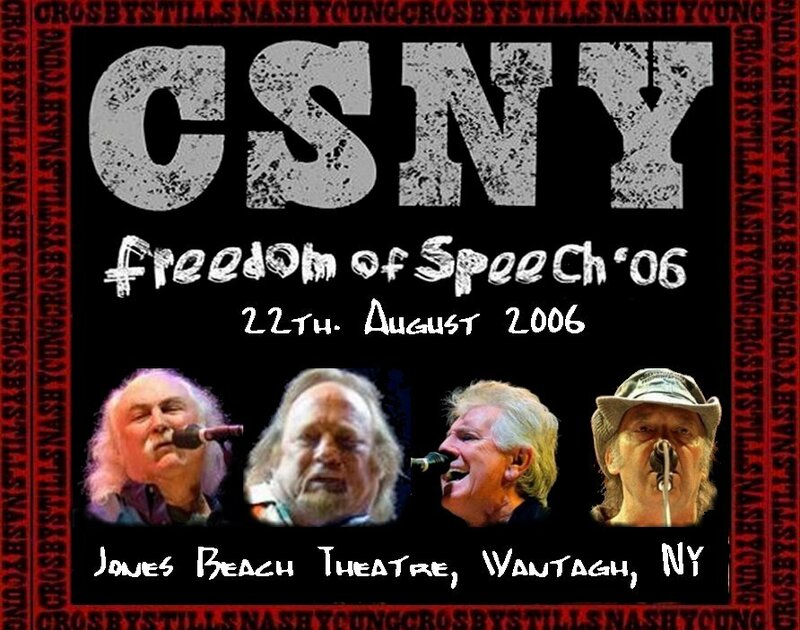 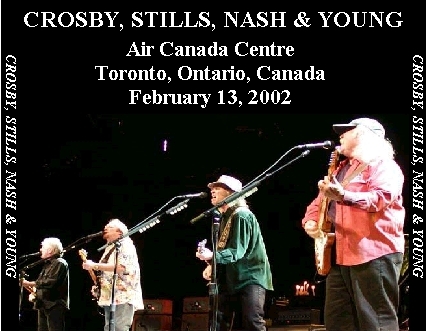 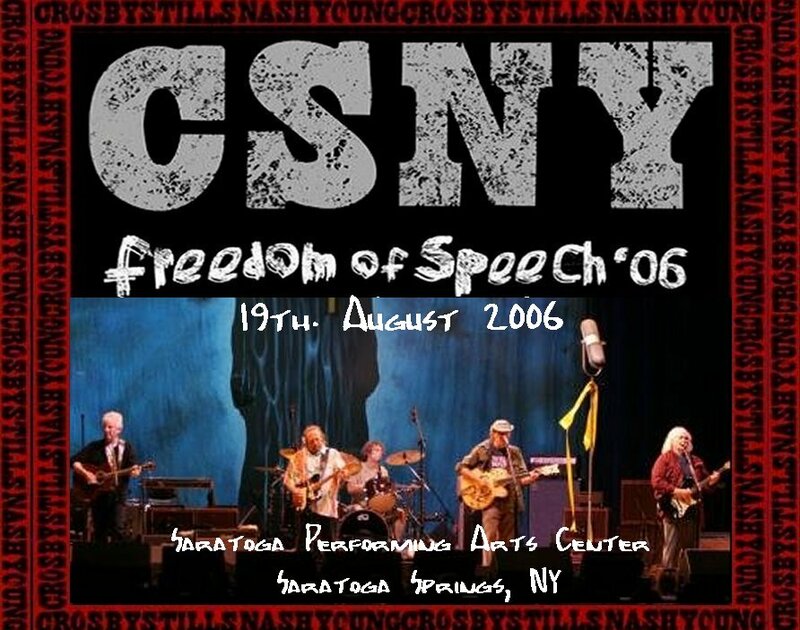 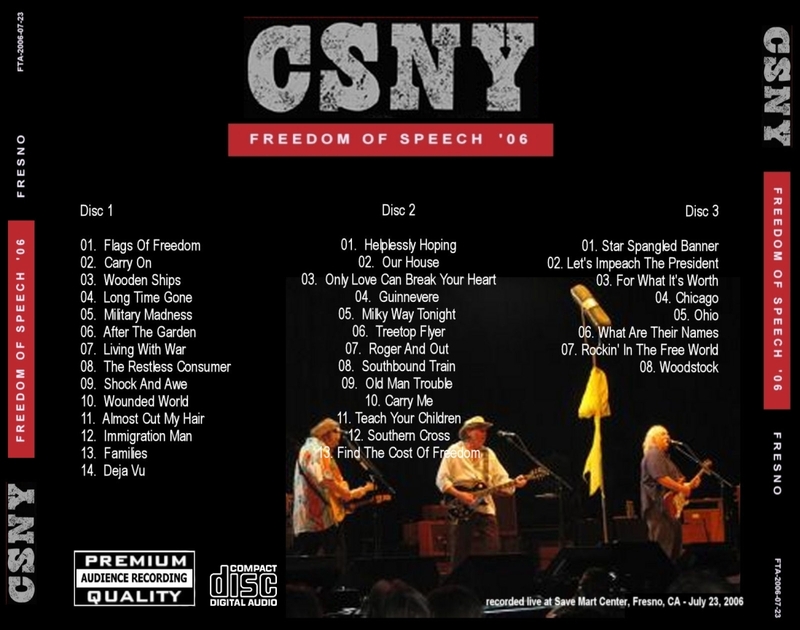 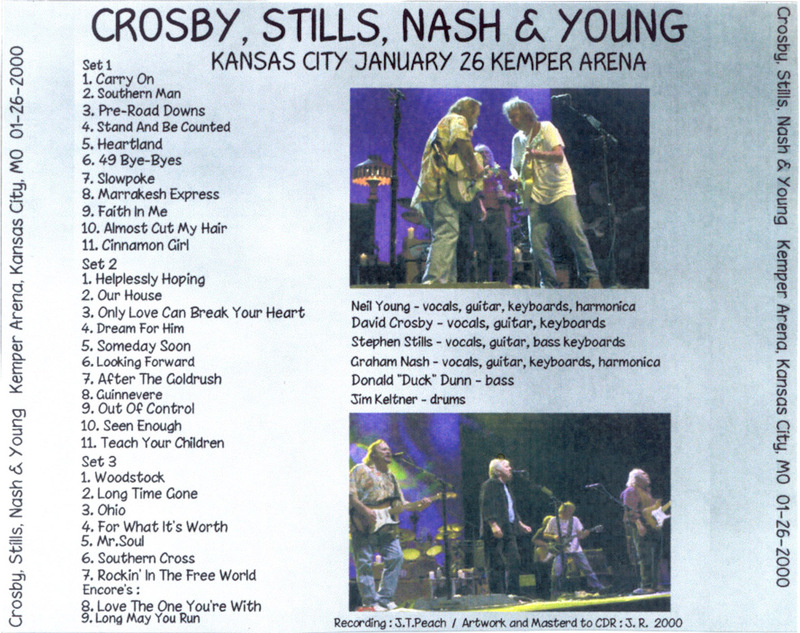 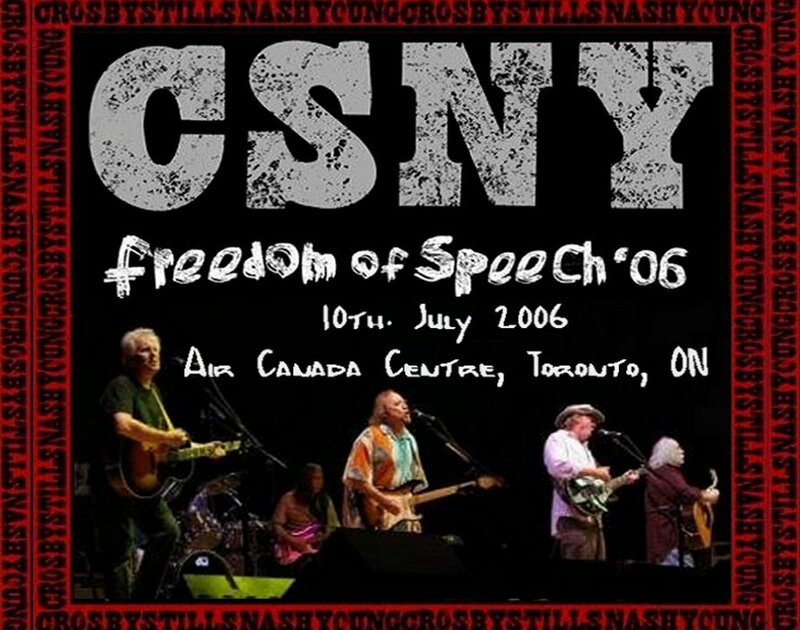 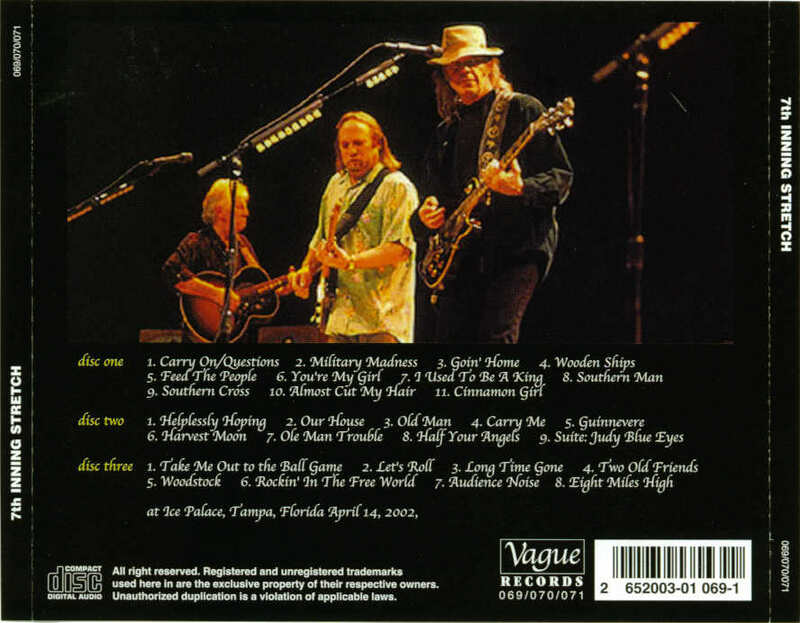 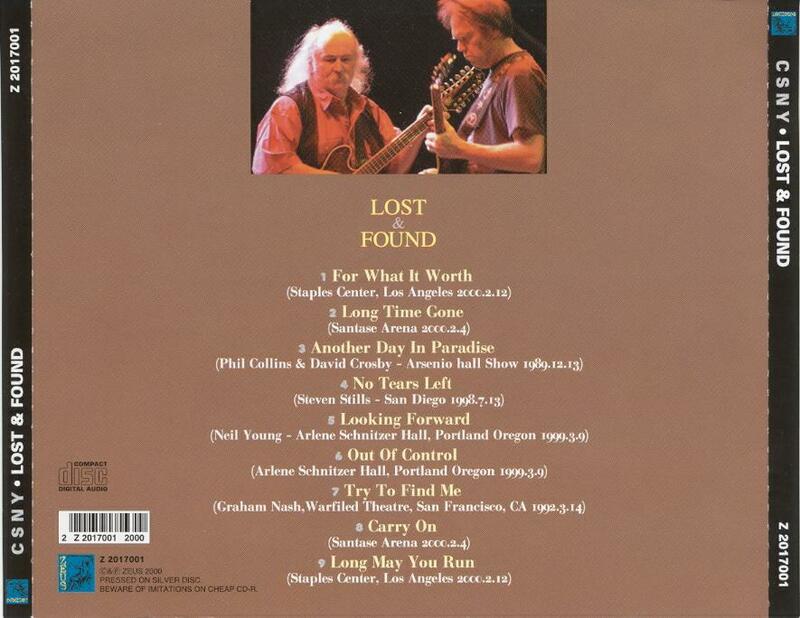 2006 CSNY Freedom of Speech tour. 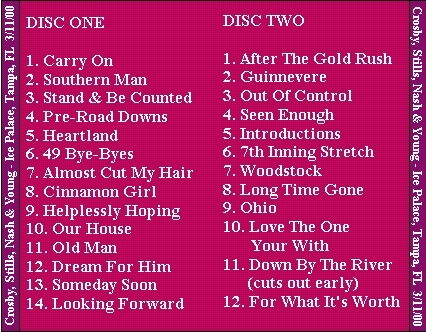 Missing first 2 1/2 songs. 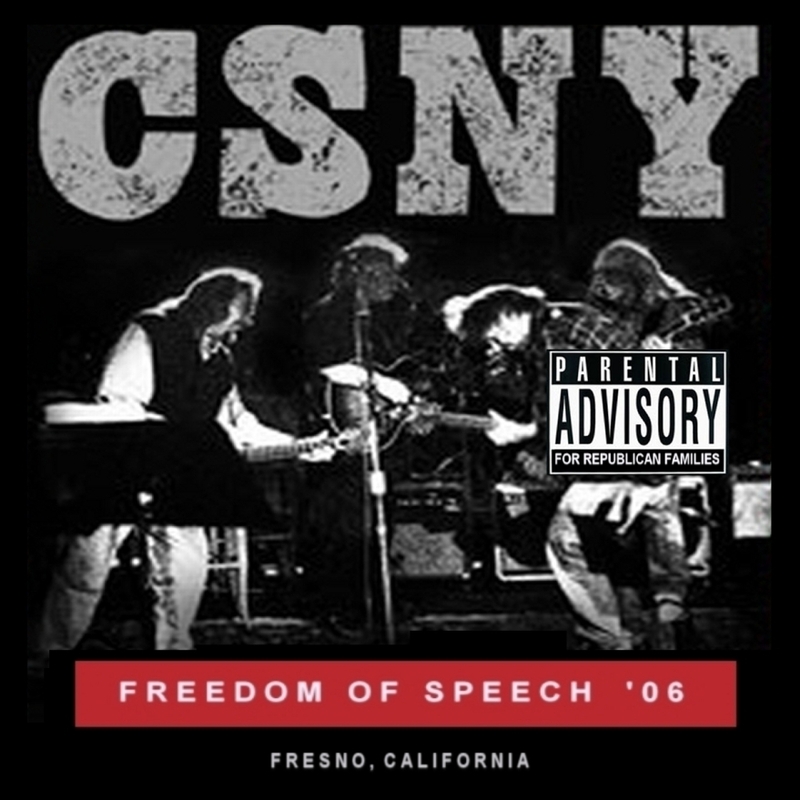 Occasional audience chatter.